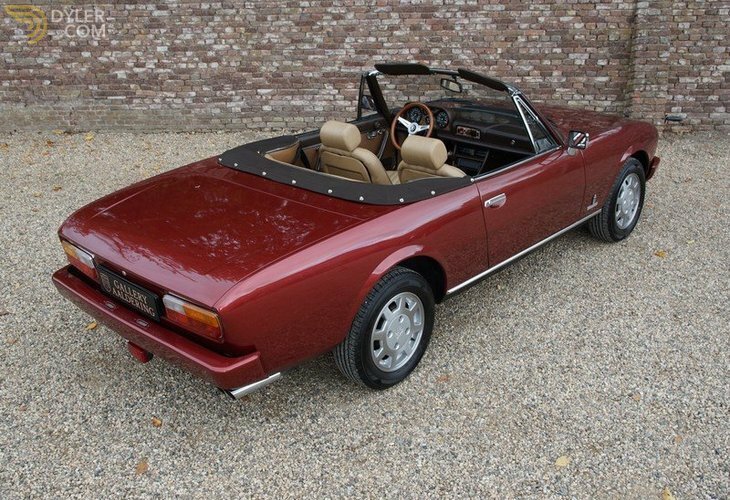 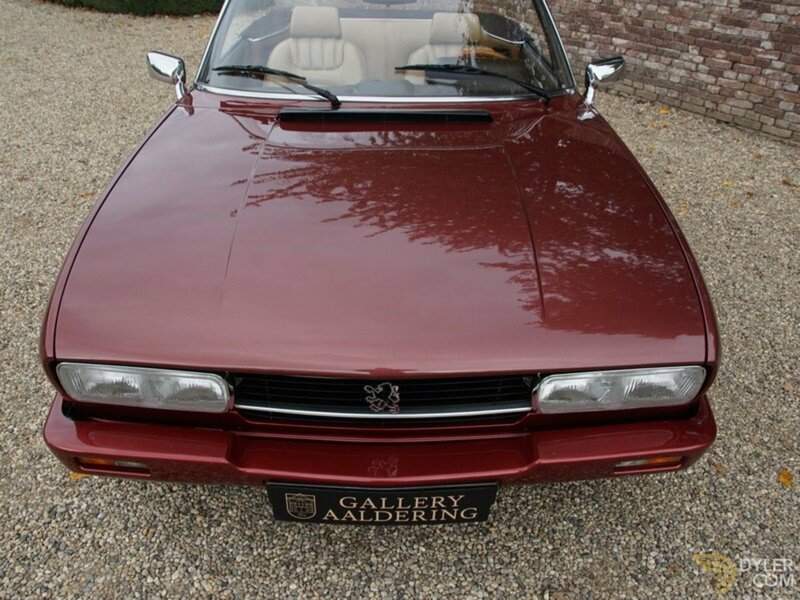 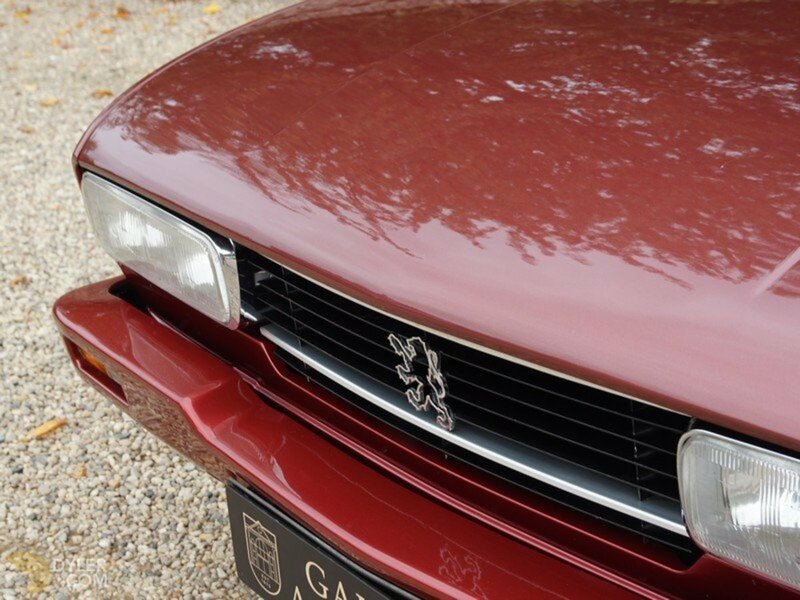 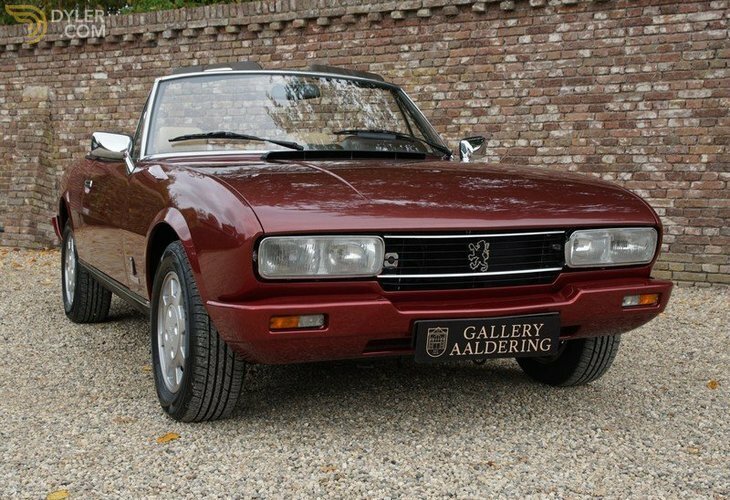 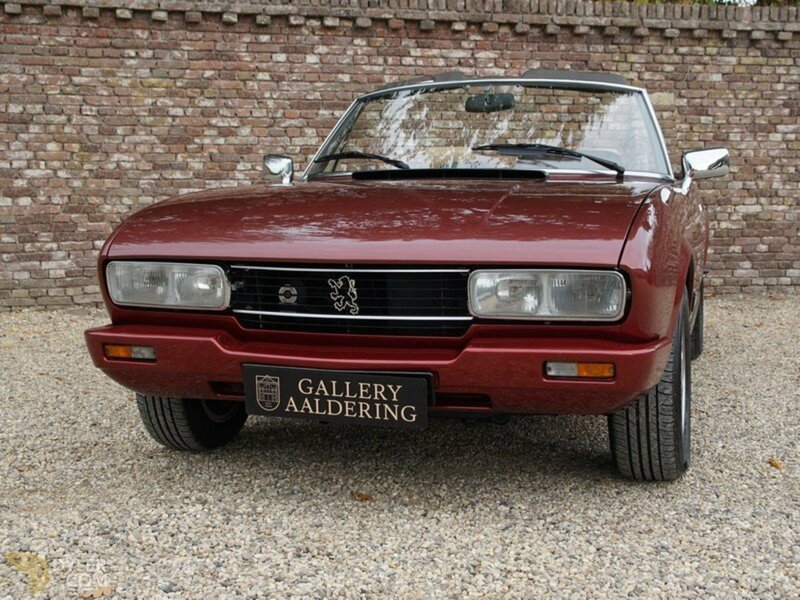 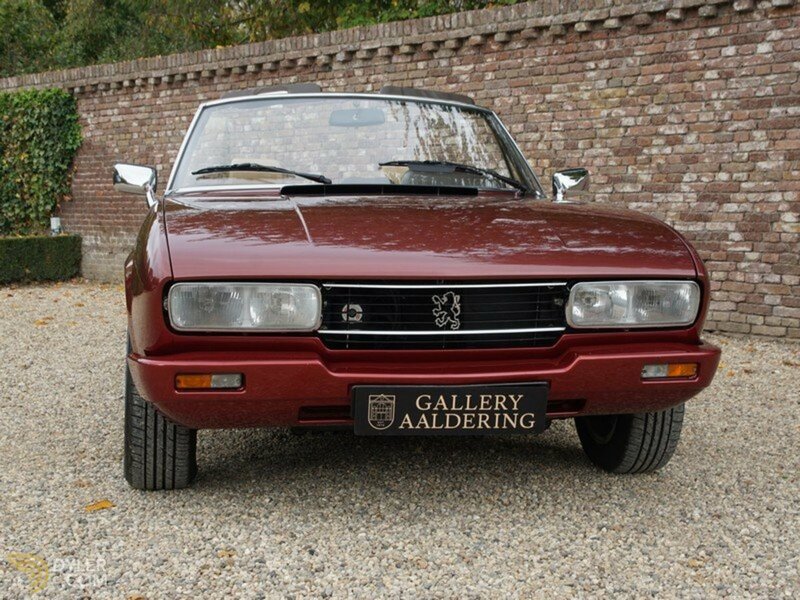 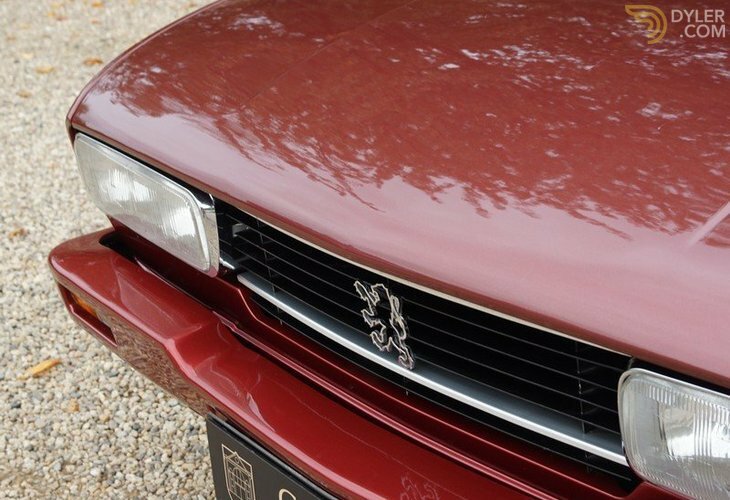 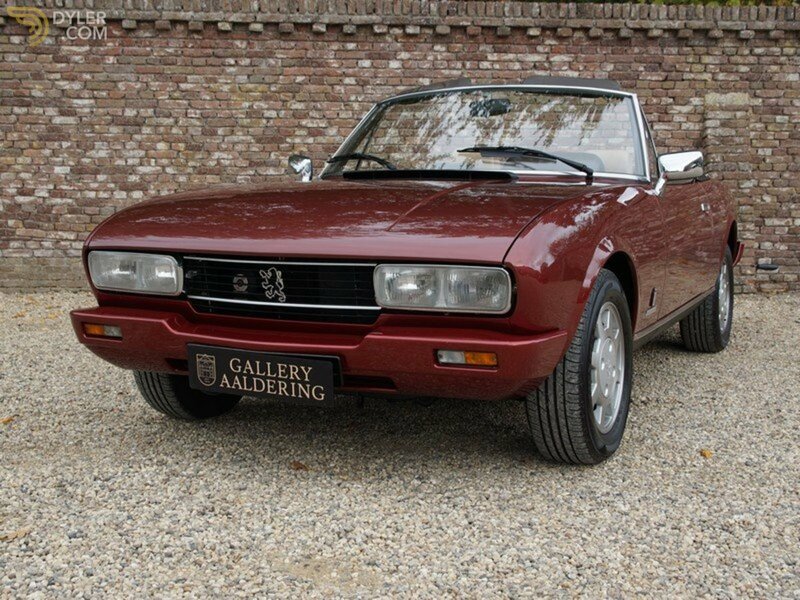 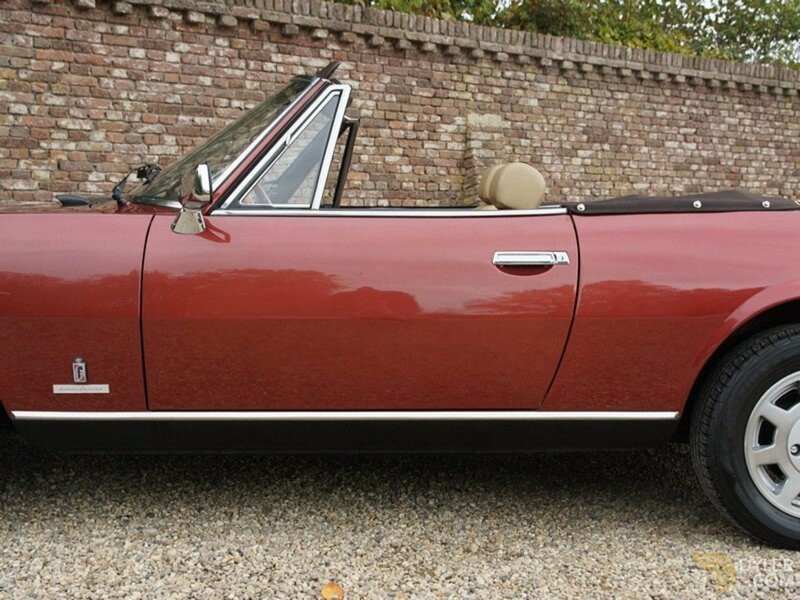 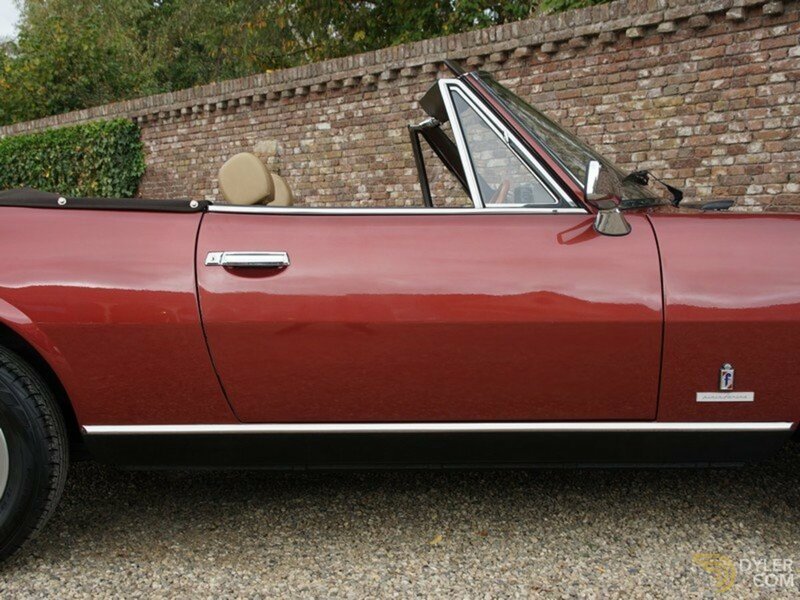 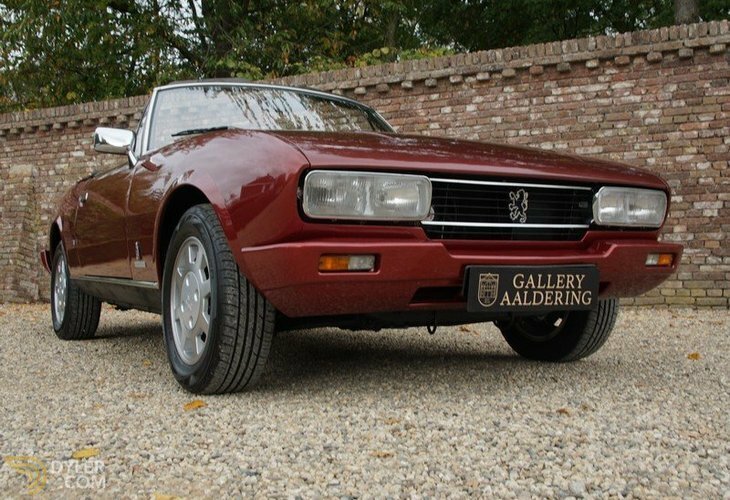 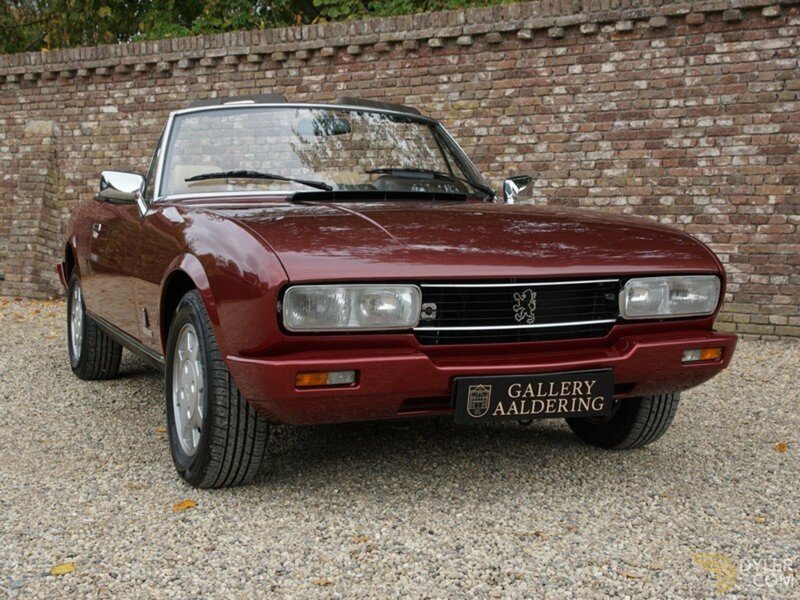 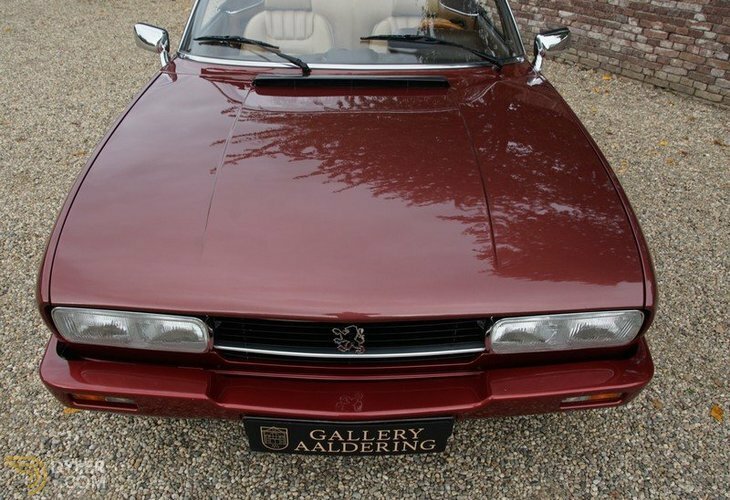 A stunning 1983 Peugeot 504 2.0 TI Monte Carlo convertible, supplied from new in Frankfurt Am Mein, Germany on the 22nd February 1983. 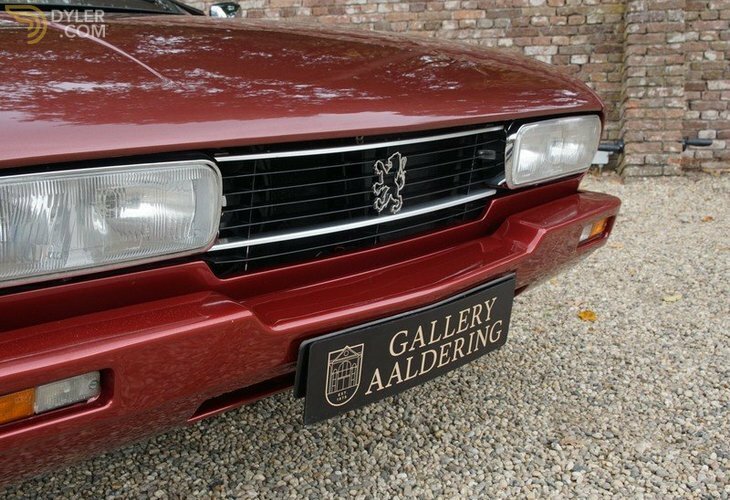 This is one of the last models produced. 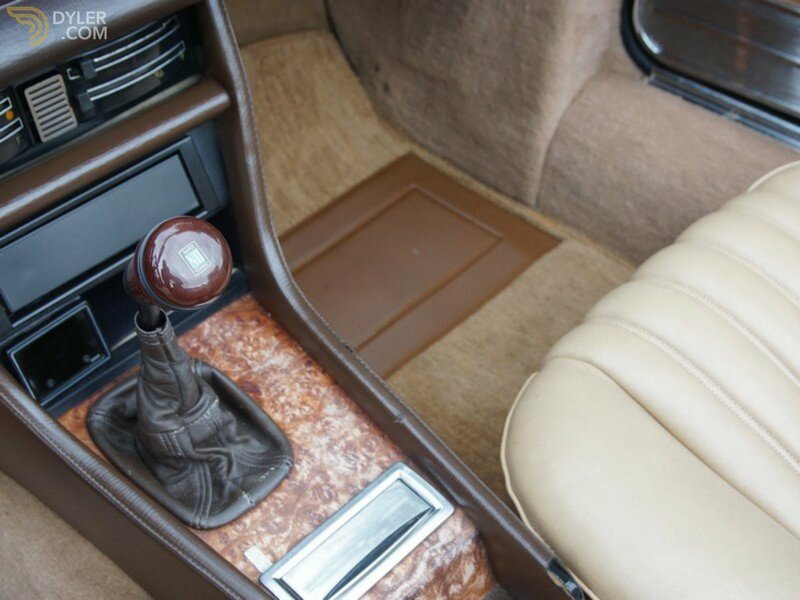 It has the large Monte Carlo clocks and a 5-speed gearbox! 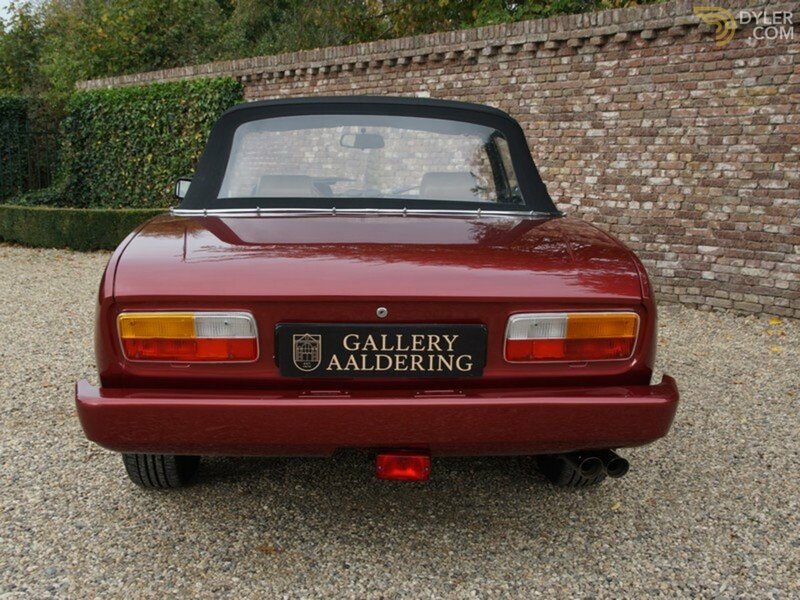 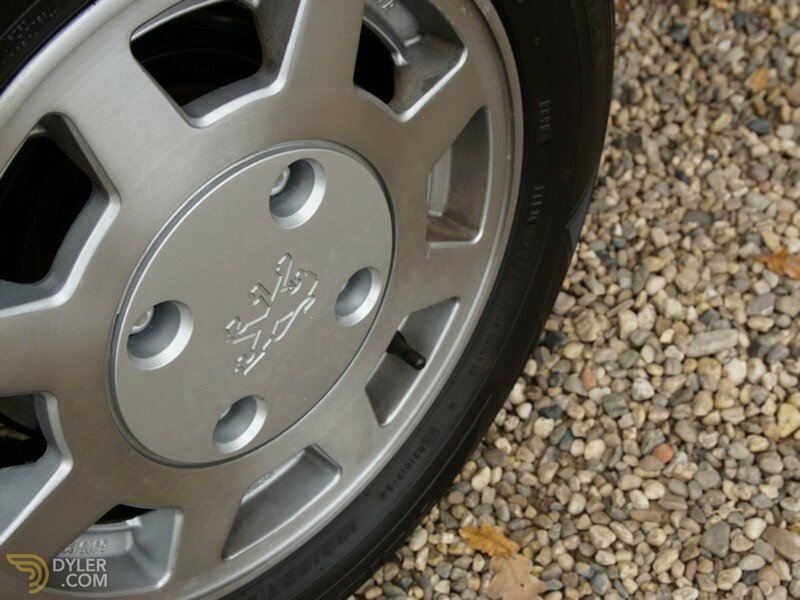 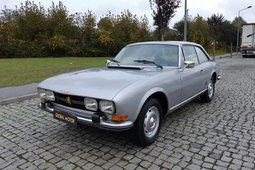 The 504 remained in Germany where it was restored in about 2005. 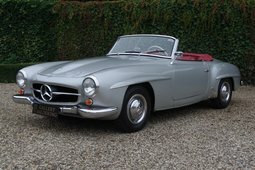 In 2008 it was sold and exported to Dublin. 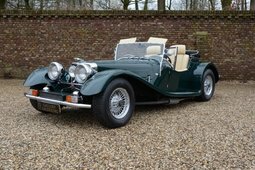 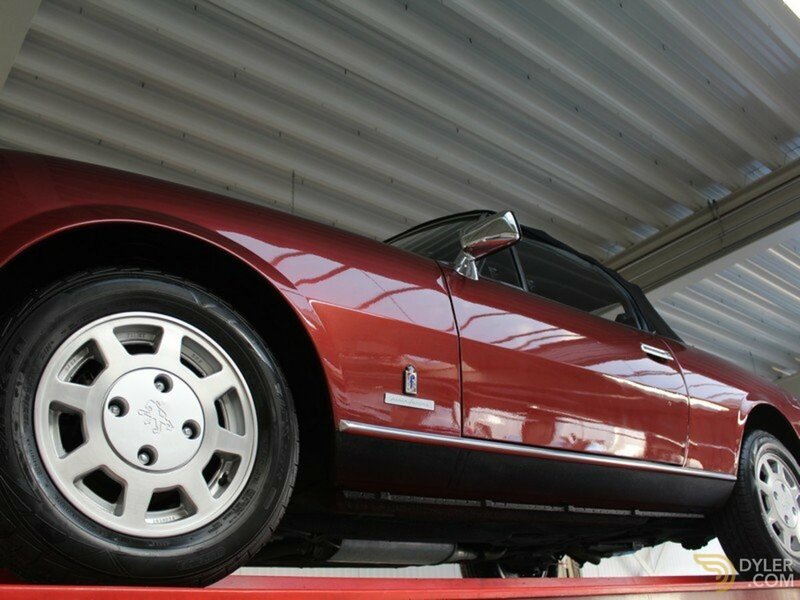 In 2012 the car was exported to England. 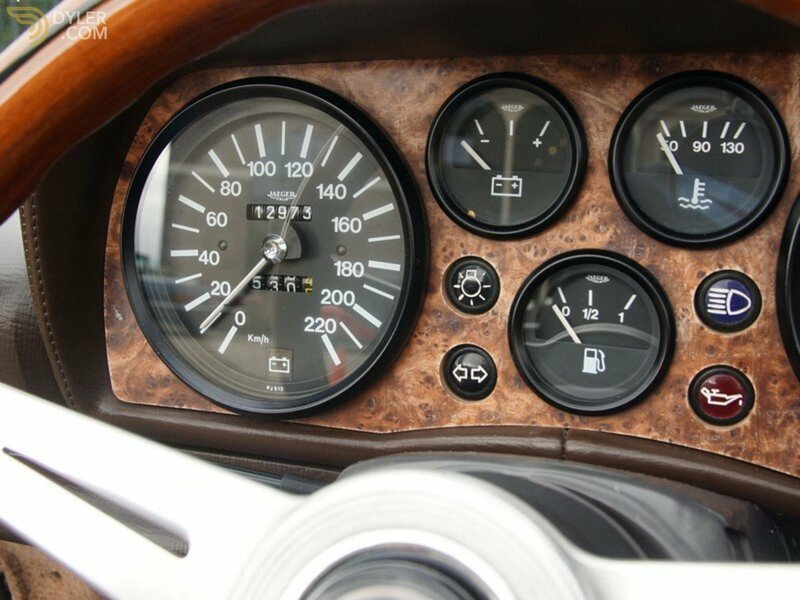 This car has done 116,000 km and is fully accessorised. 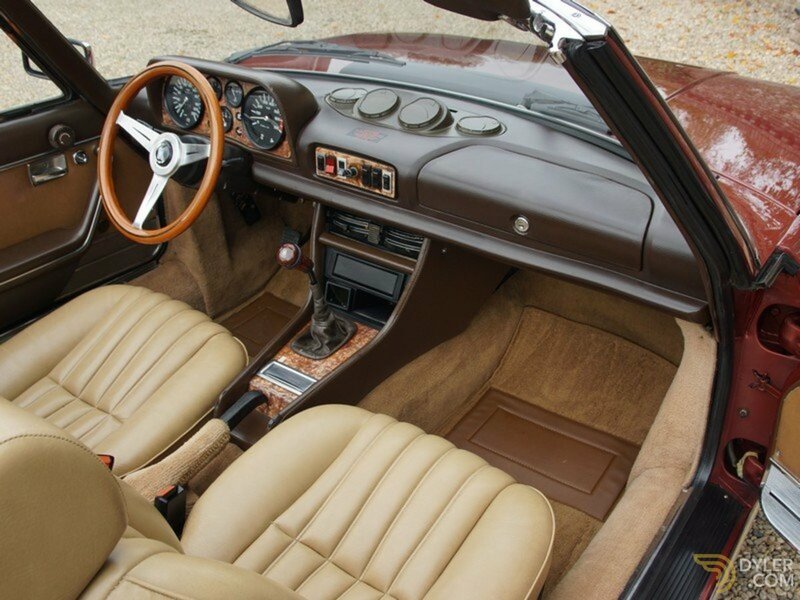 In addition to the injection engine and 5-speed gearbox, it has electric windows, light alloys, Nardi steering wheel, Nardi gearstick and Abarth exhaust silencer. 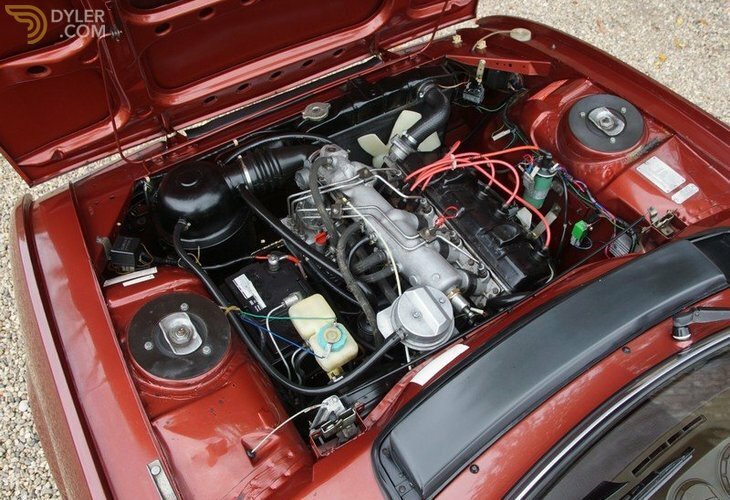 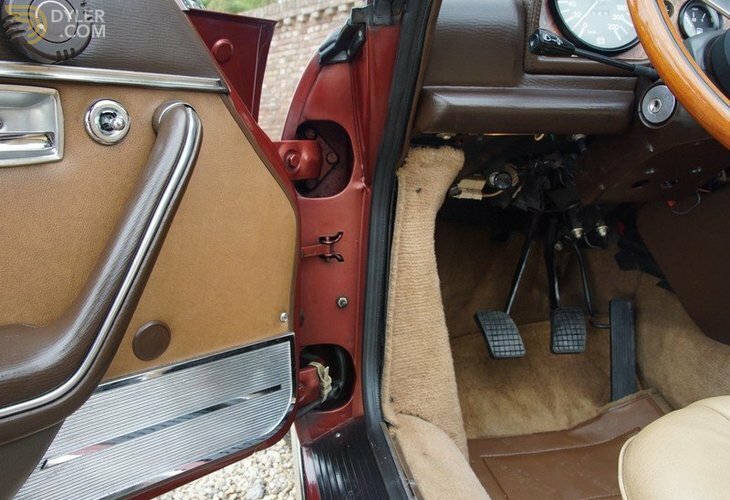 Thanks to years of meticulous maintenance, this car is in absolute concourse condition. 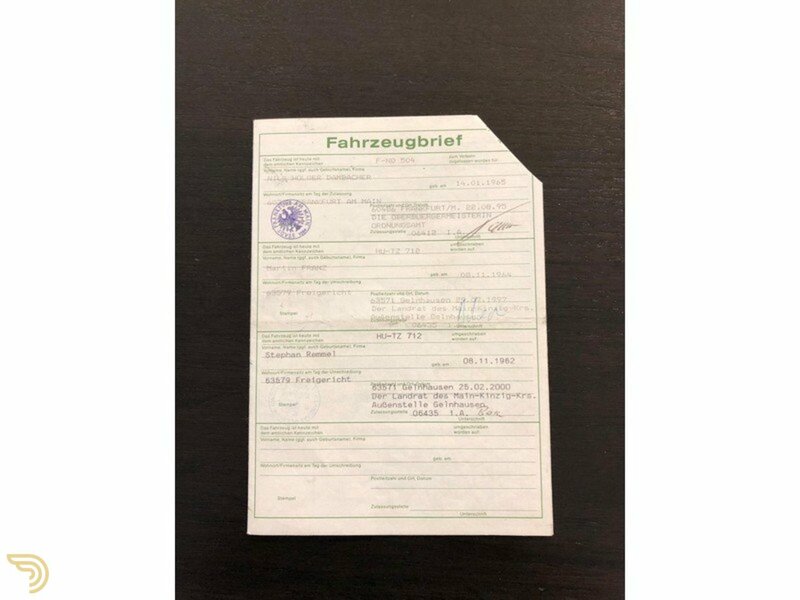 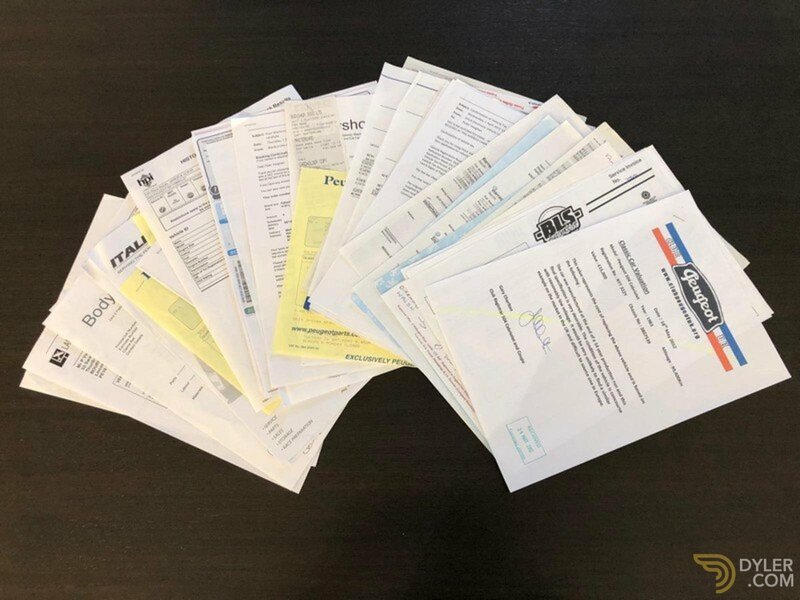 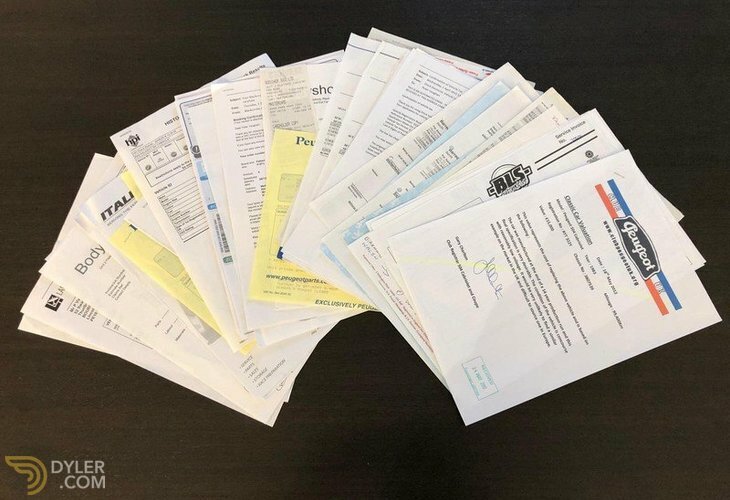 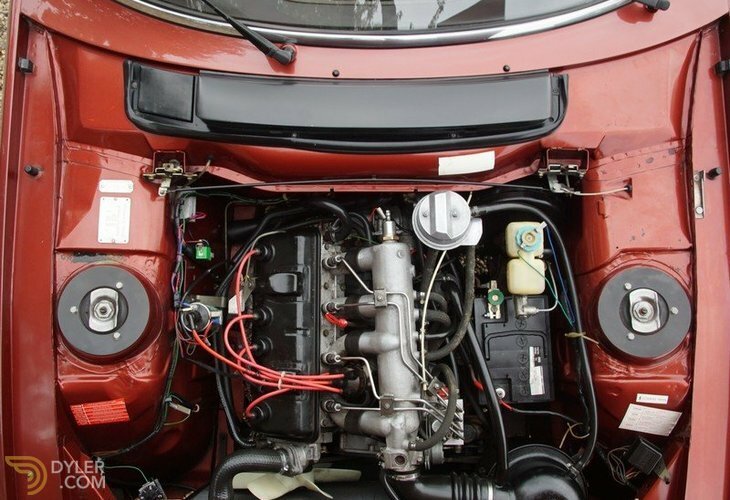 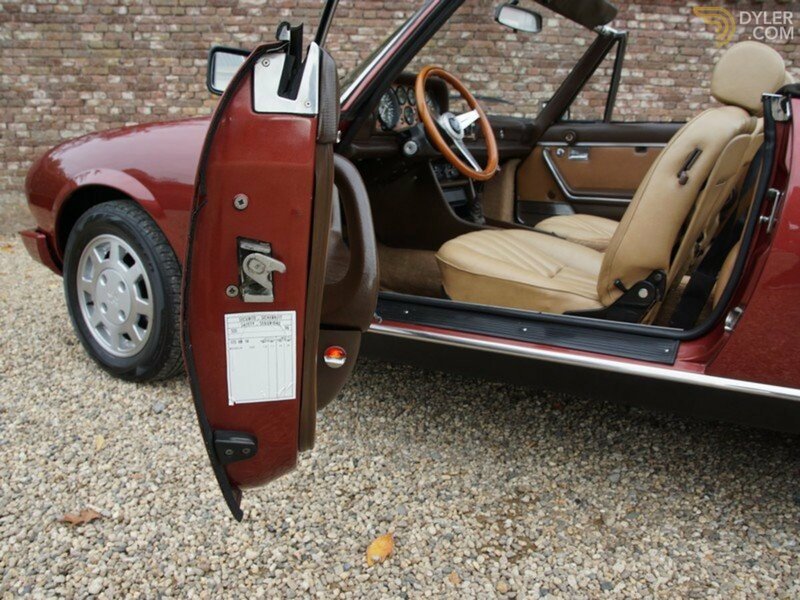 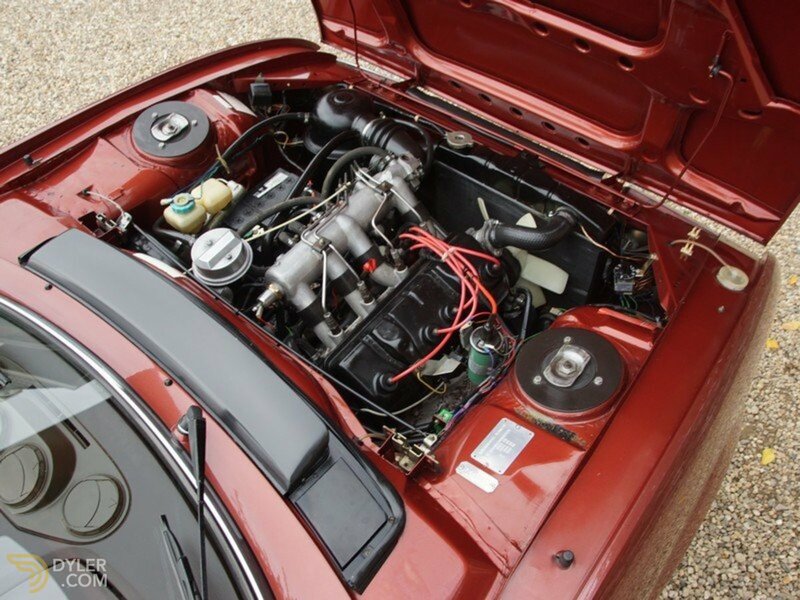 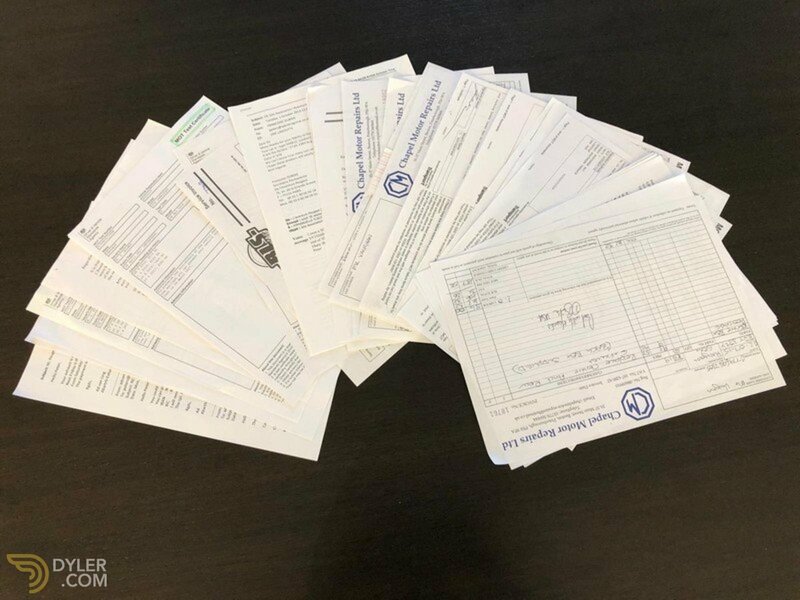 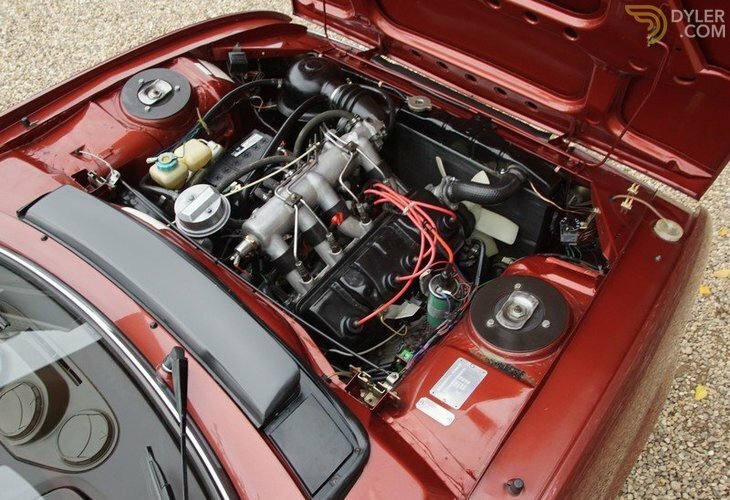 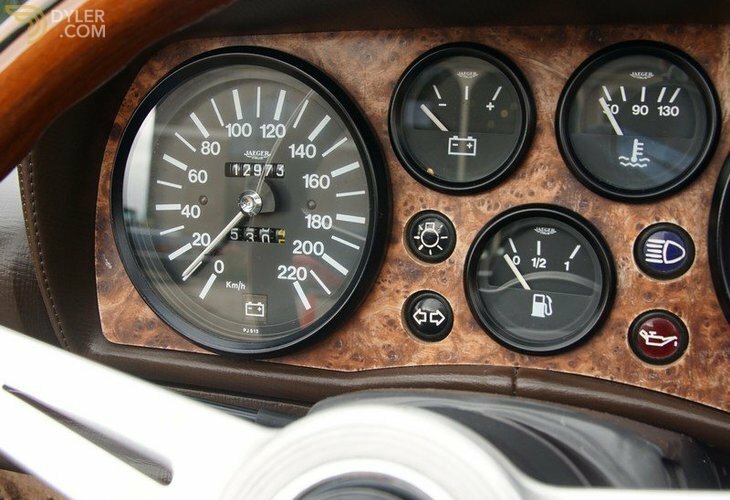 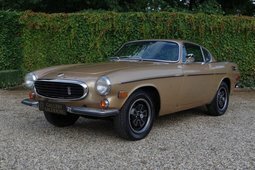 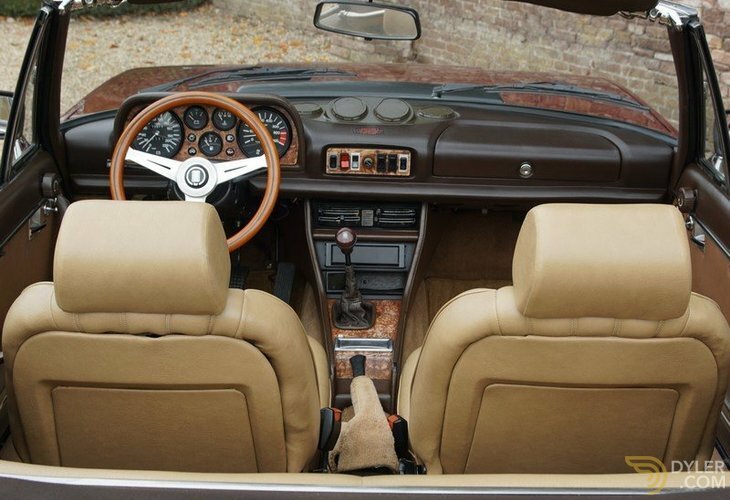 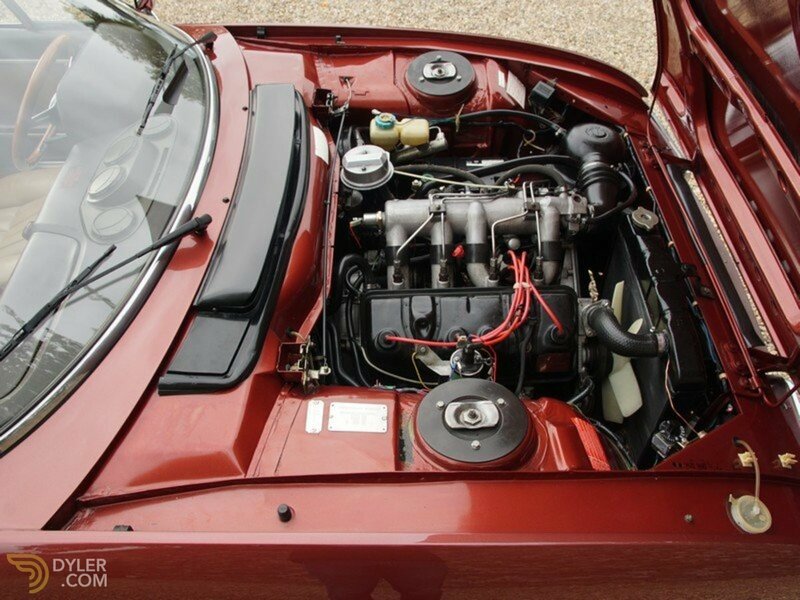 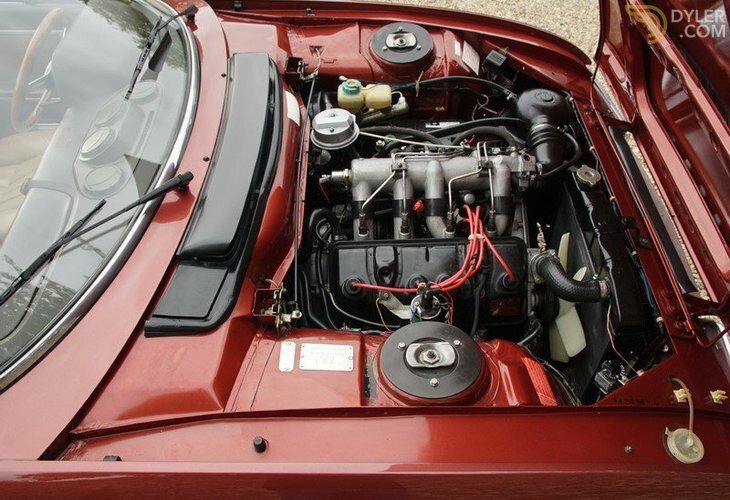 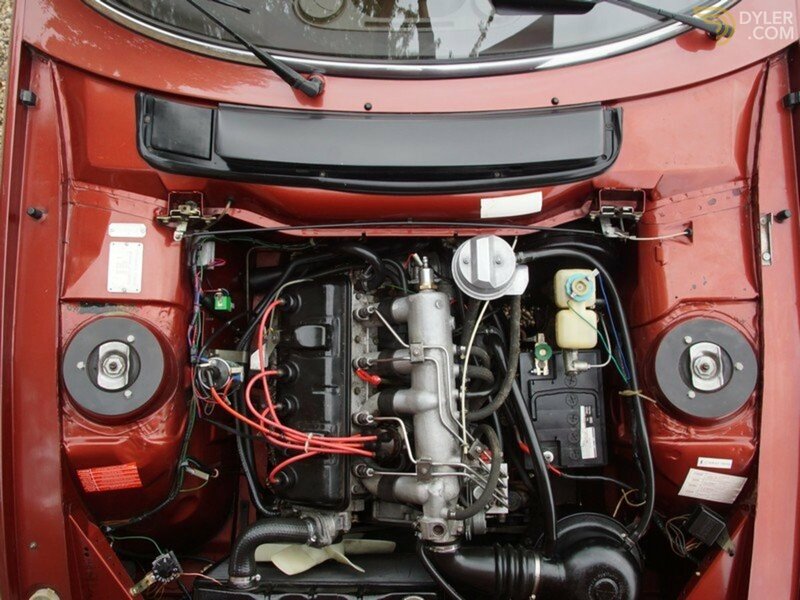 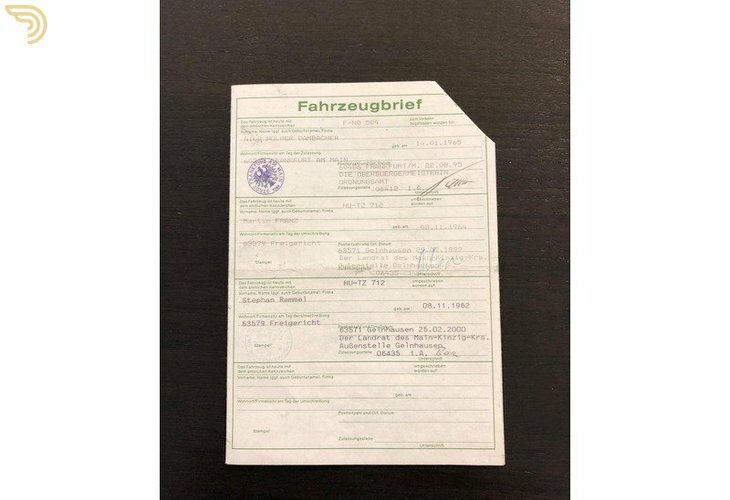 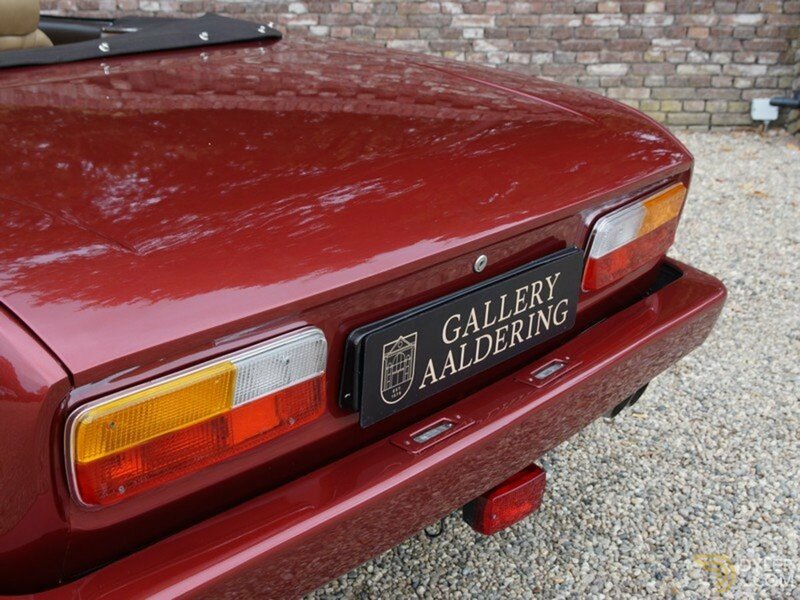 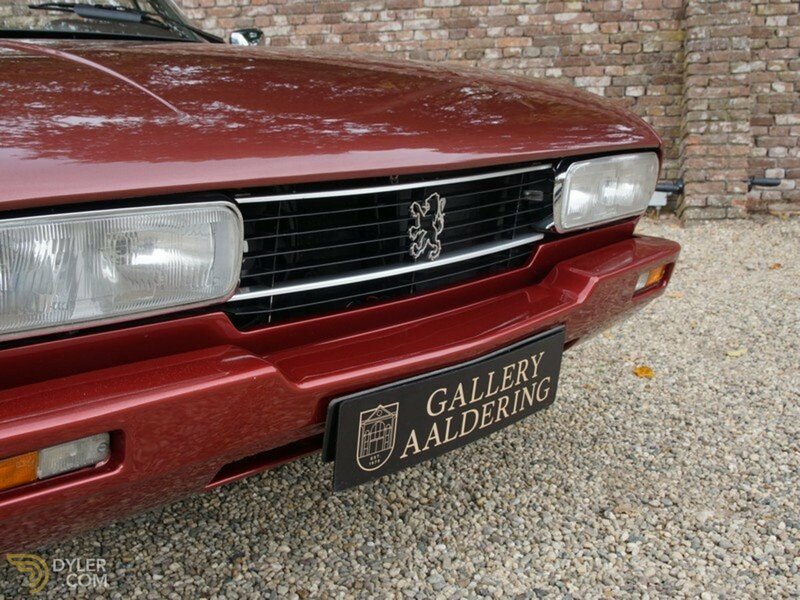 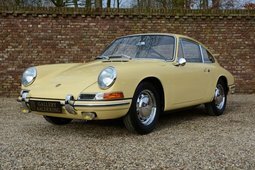 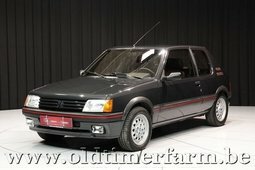 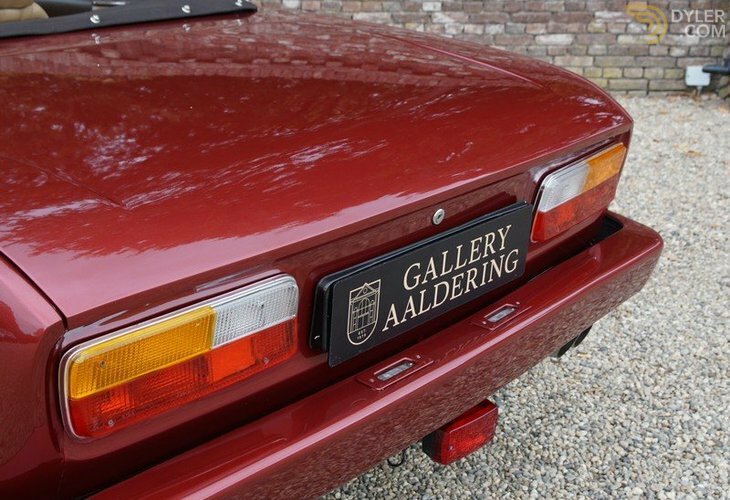 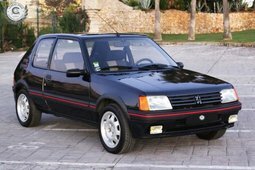 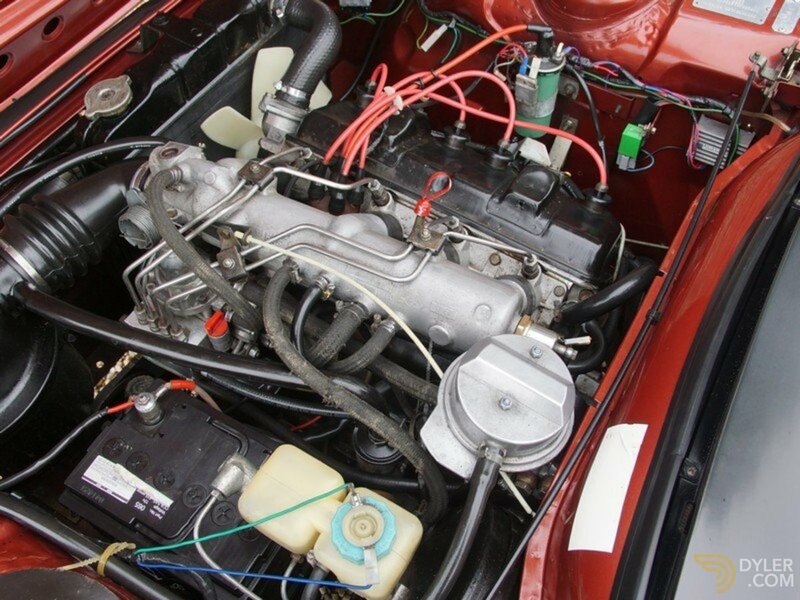 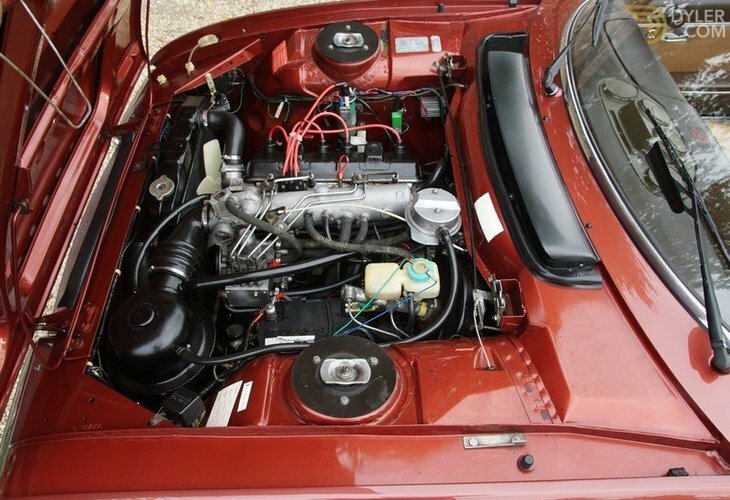 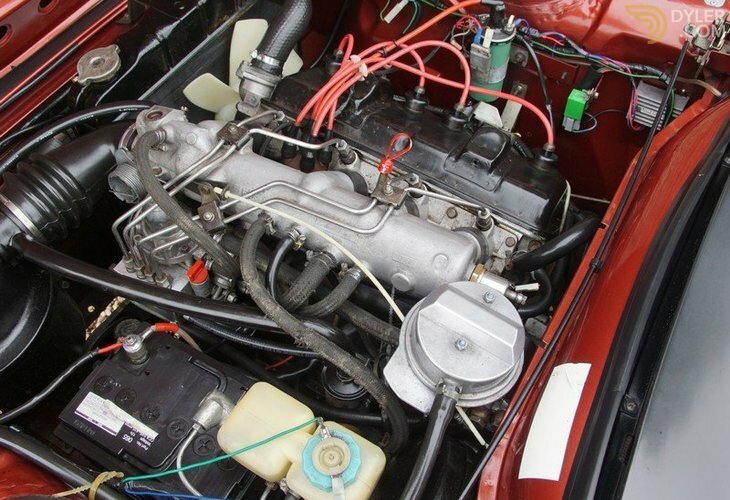 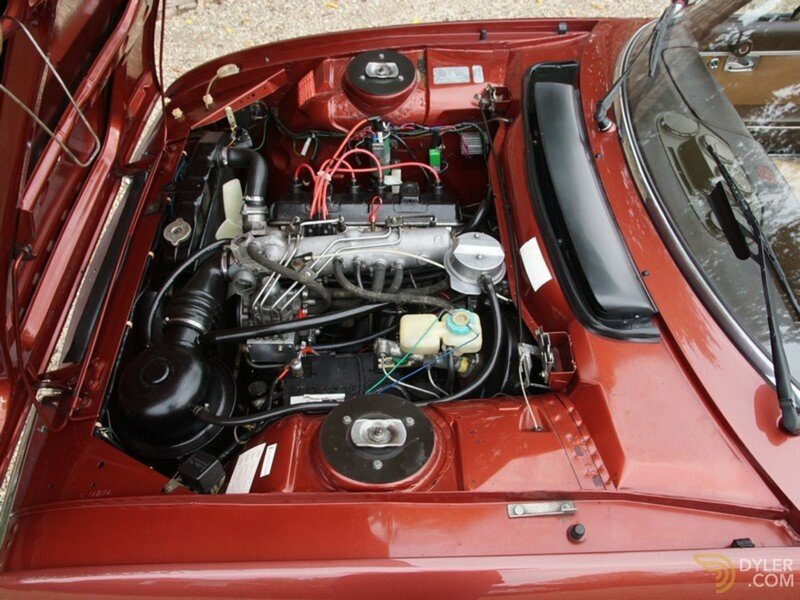 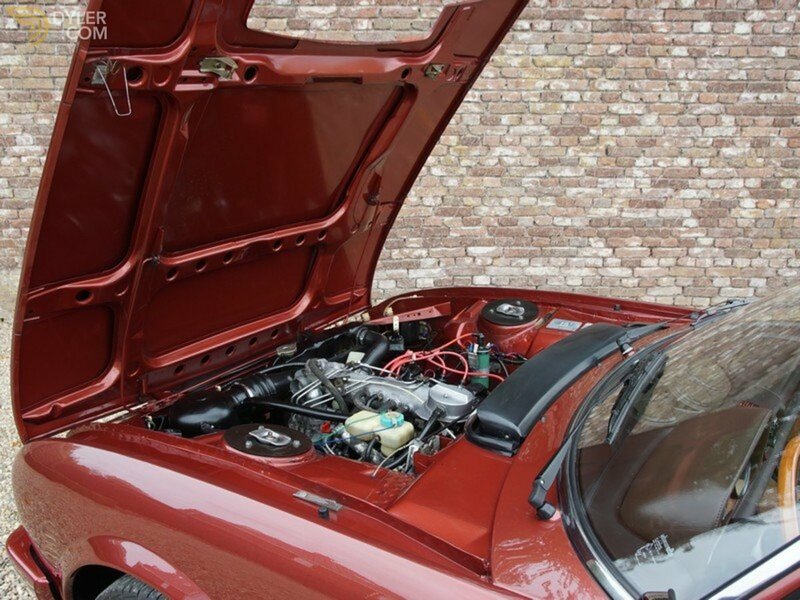 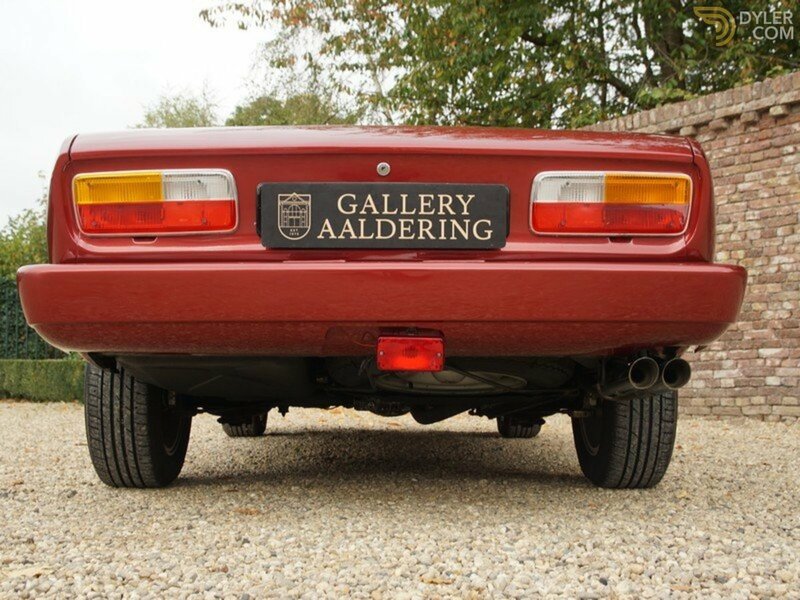 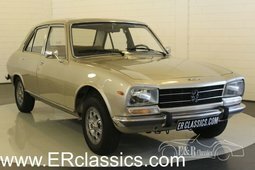 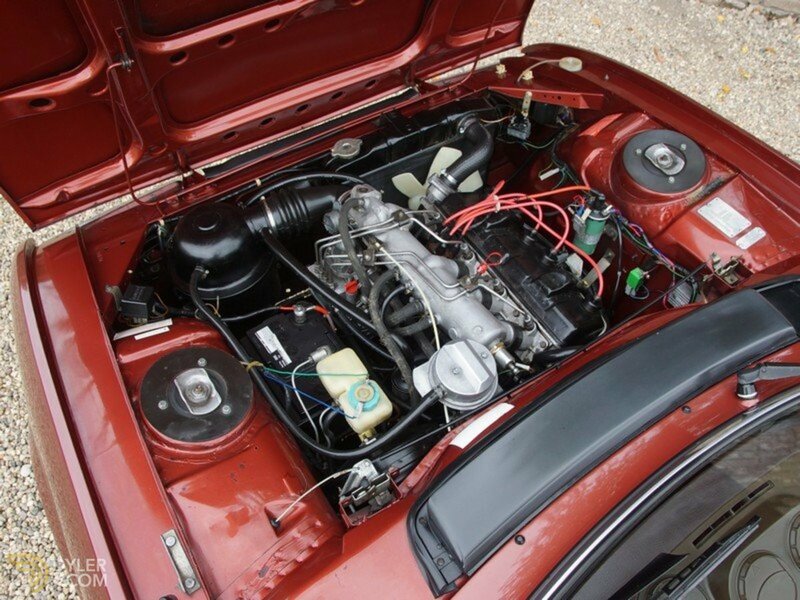 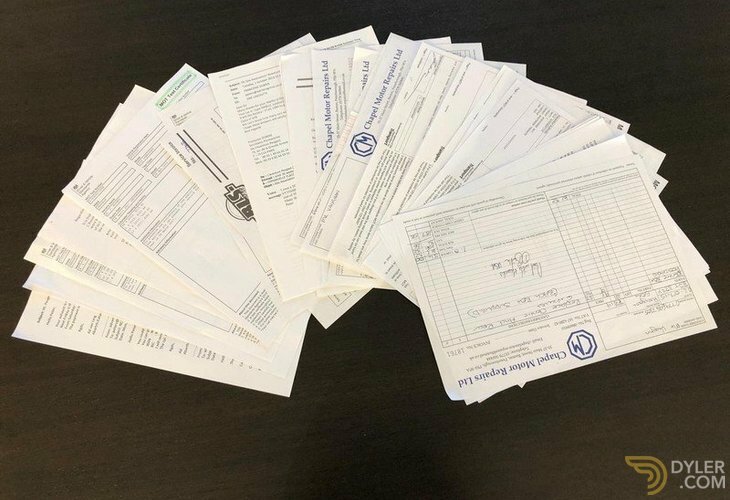 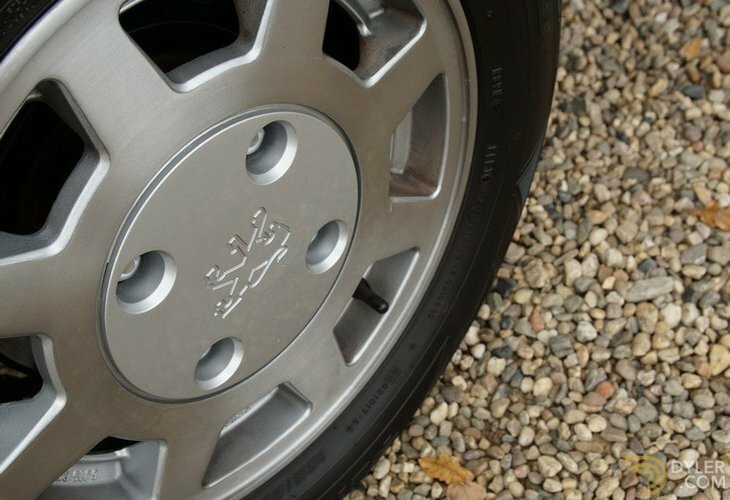 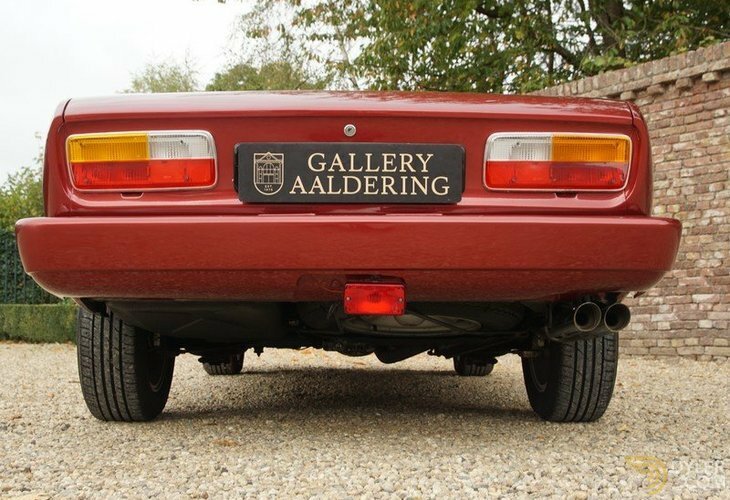 This 504 has excellent documentation with every invoice and MOT present as well as the initial German registration document. 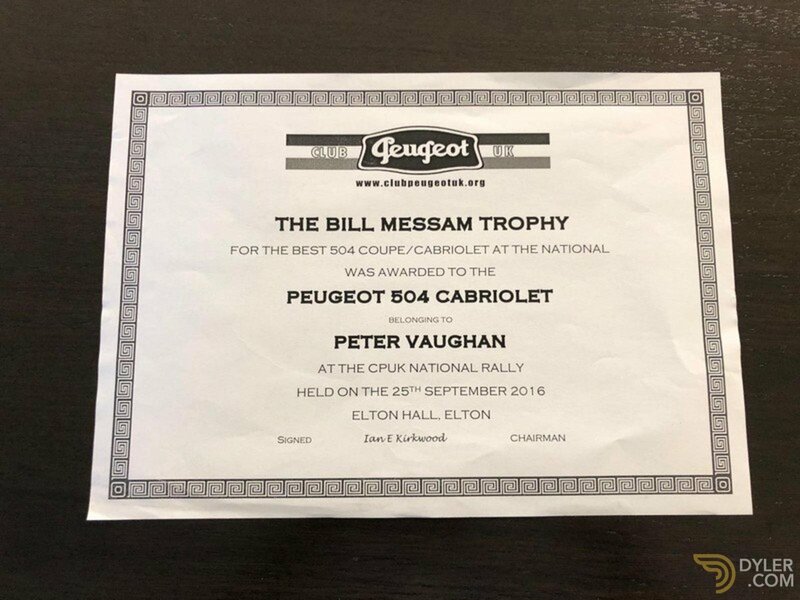 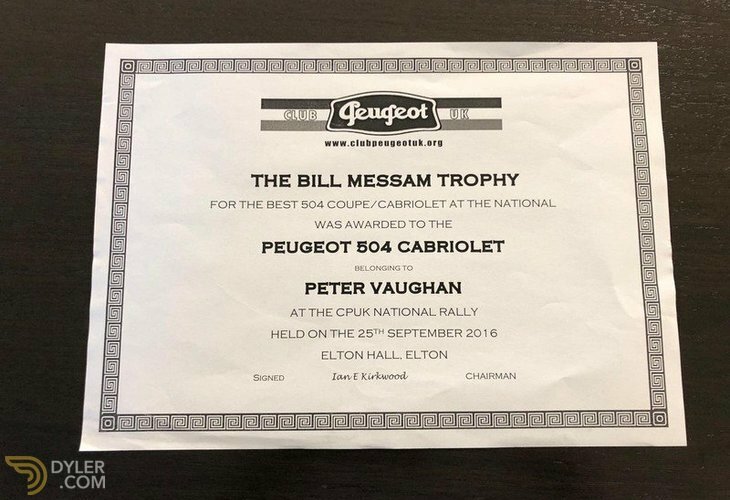 This 504 is the proud winner of the 2016 Bill Messam Trophy! 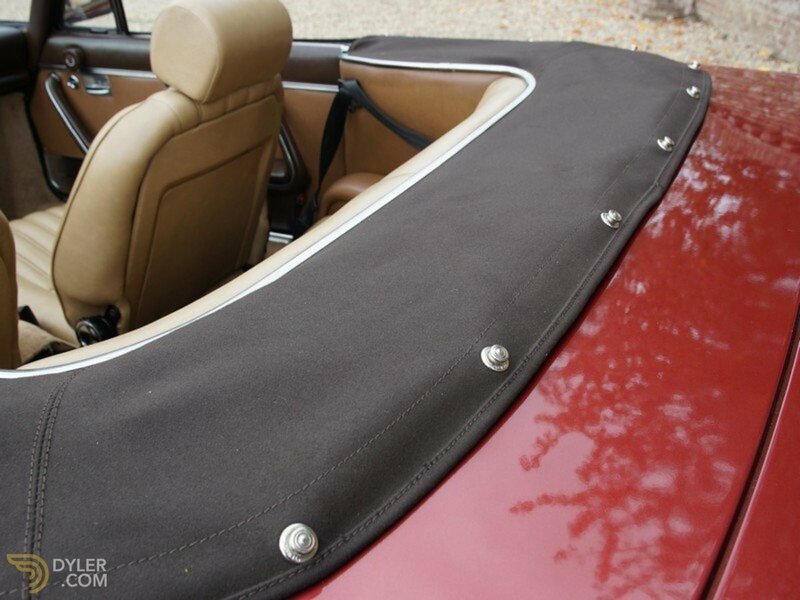 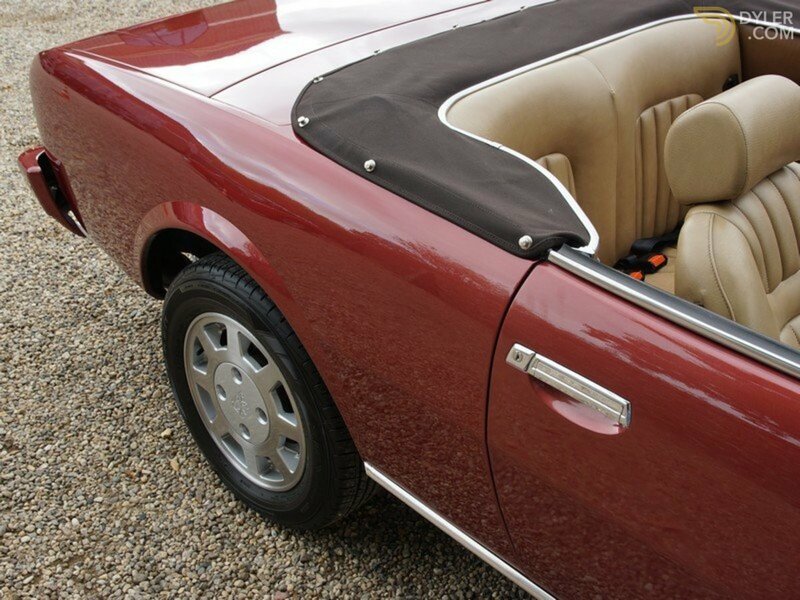 Finished in Amaryllis metallic red with tan trim and a good black hood. 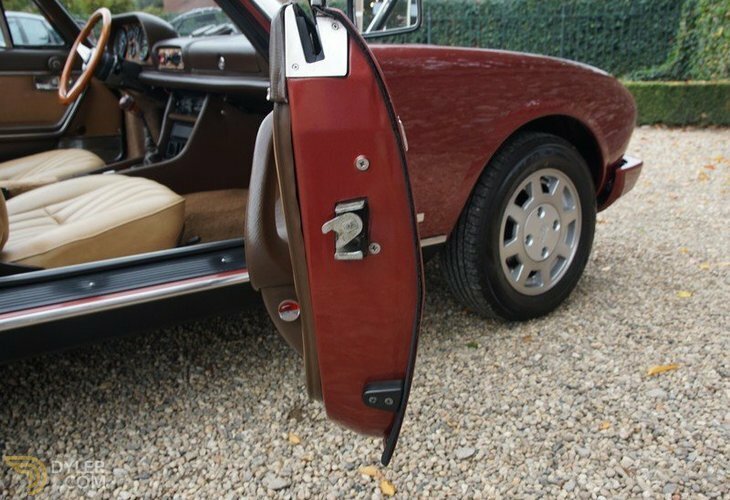 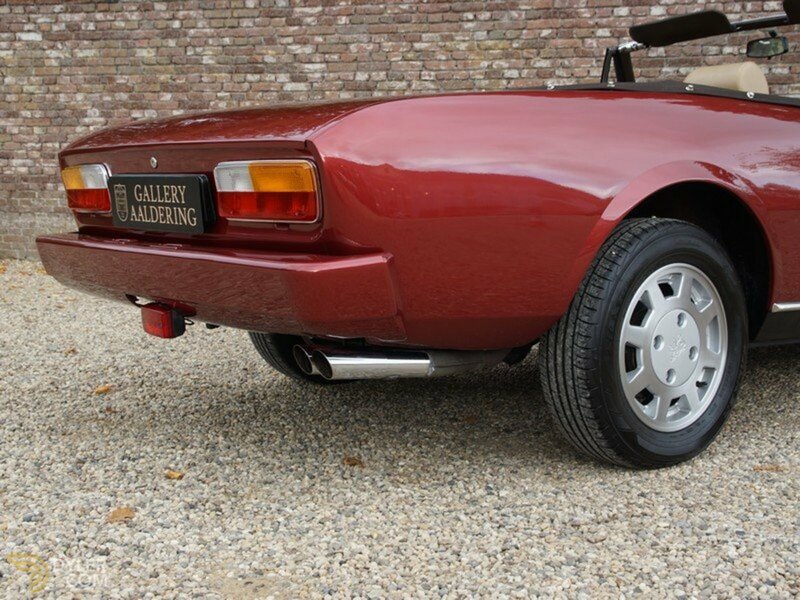 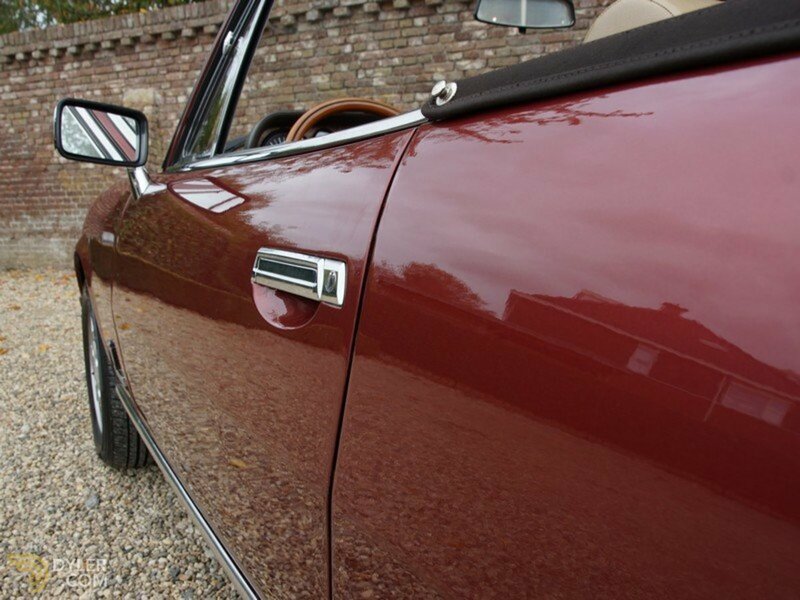 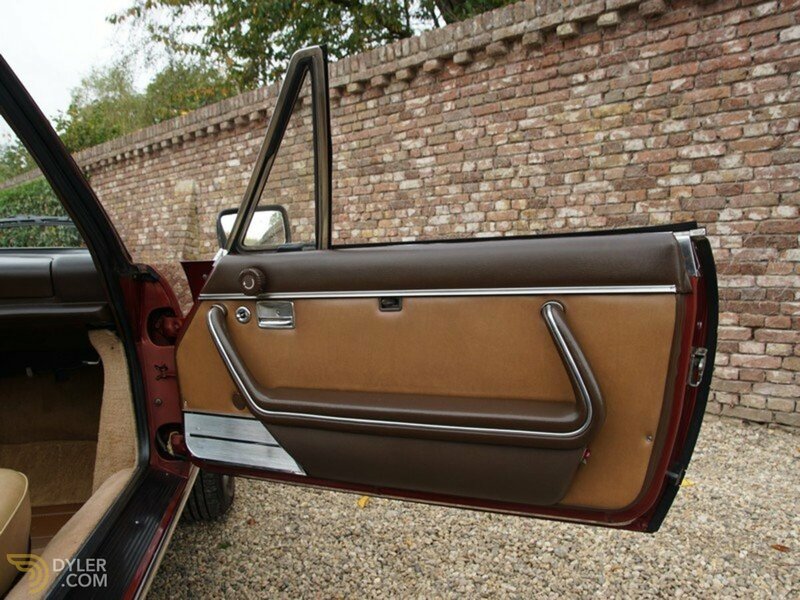 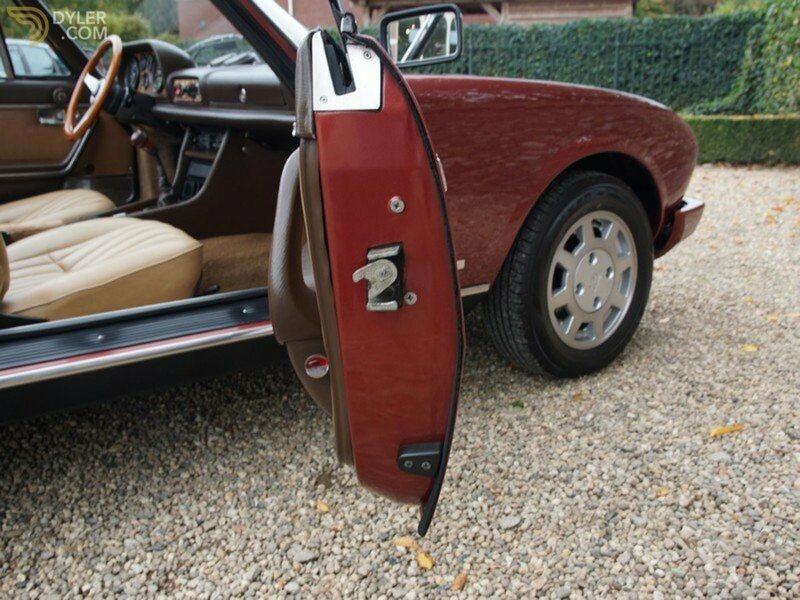 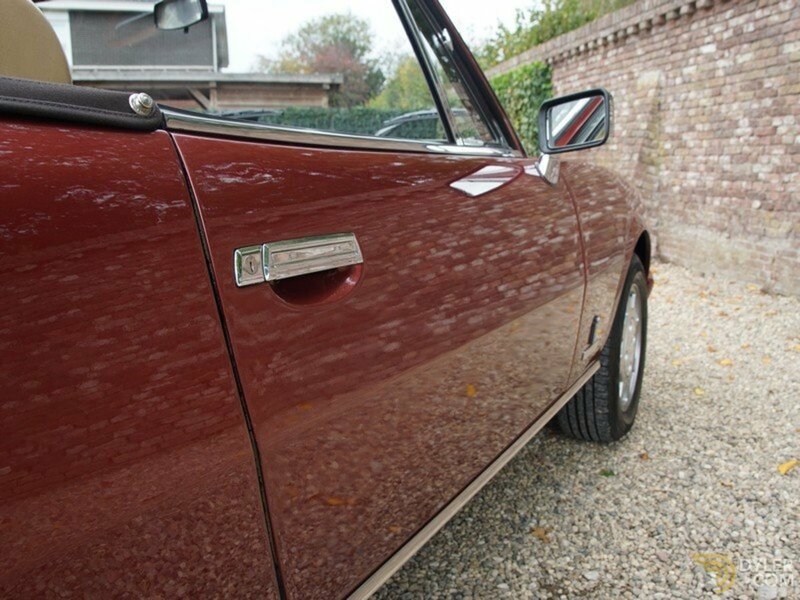 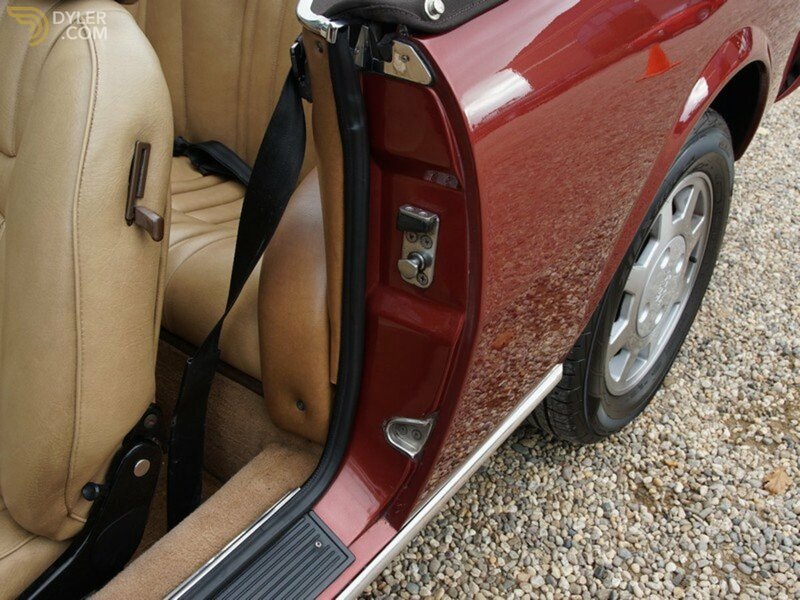 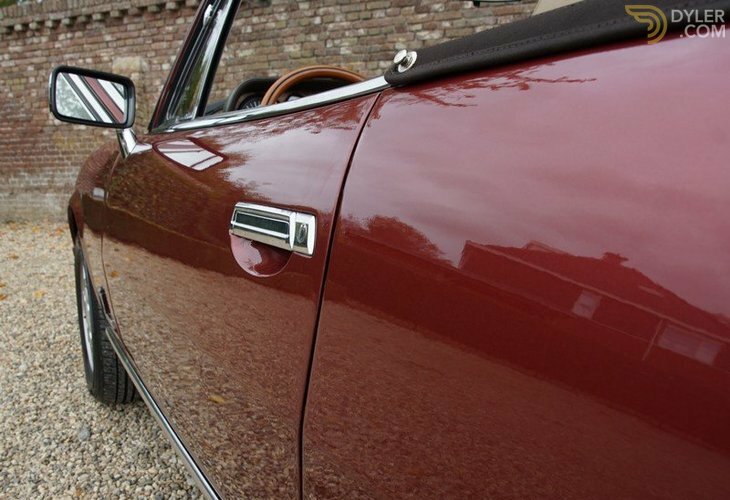 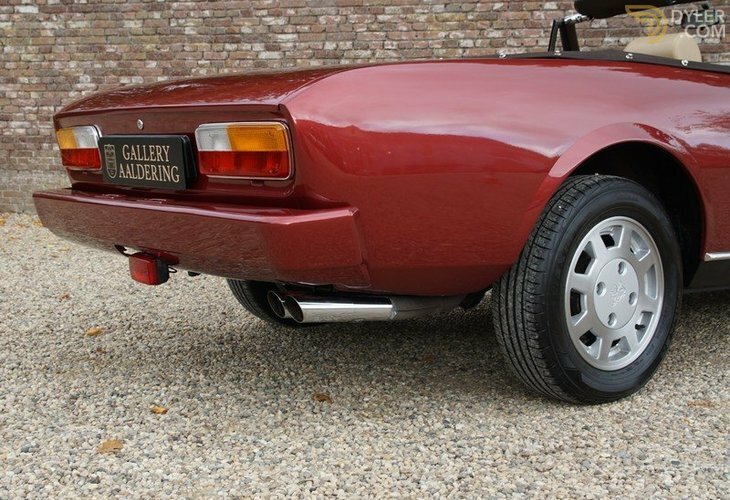 The bodywork is as straight as an arrow and in excellent condition. 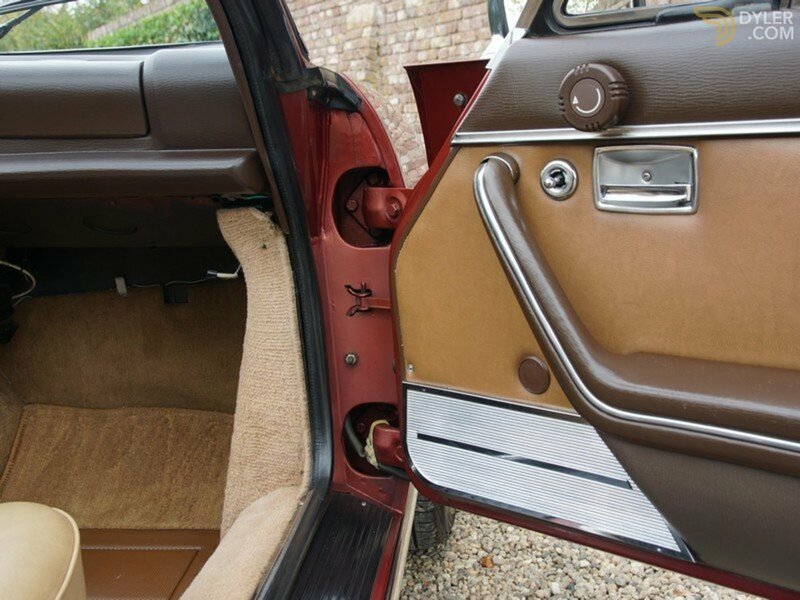 The body panels are a perfect fit. 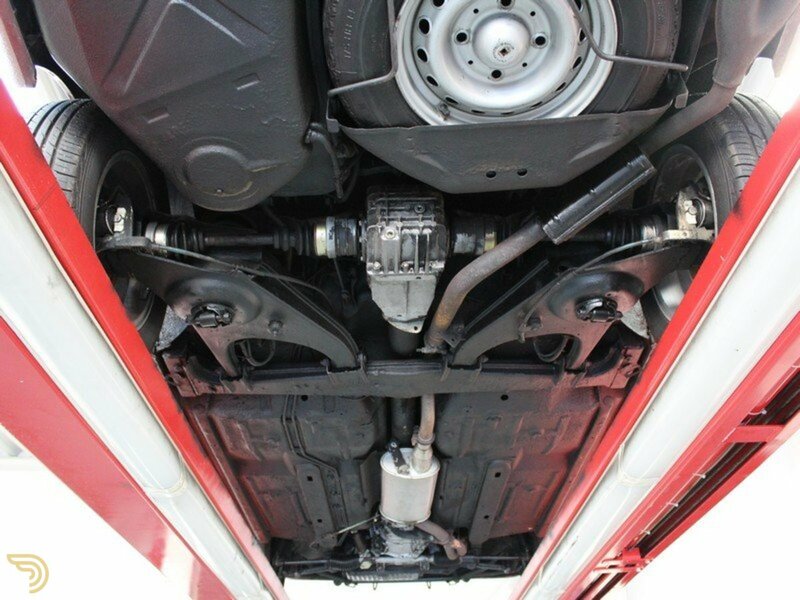 The original underbody is completely rust-free! 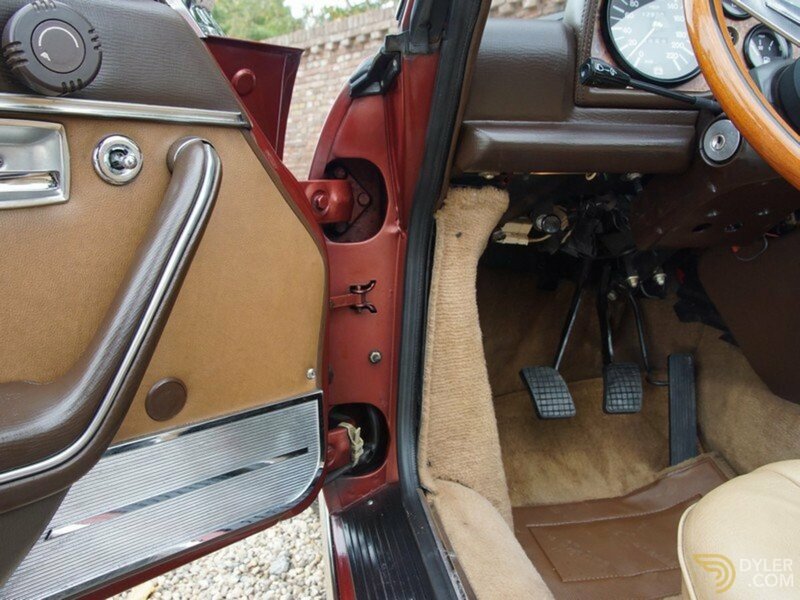 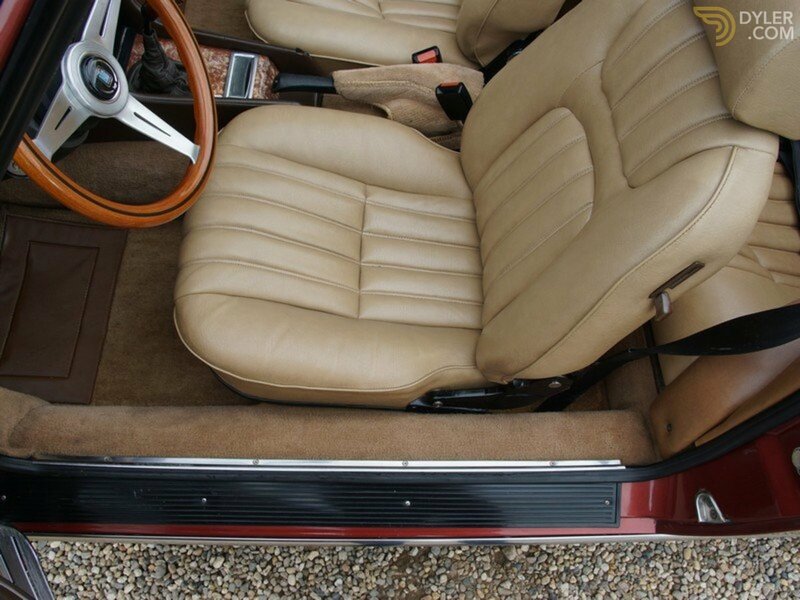 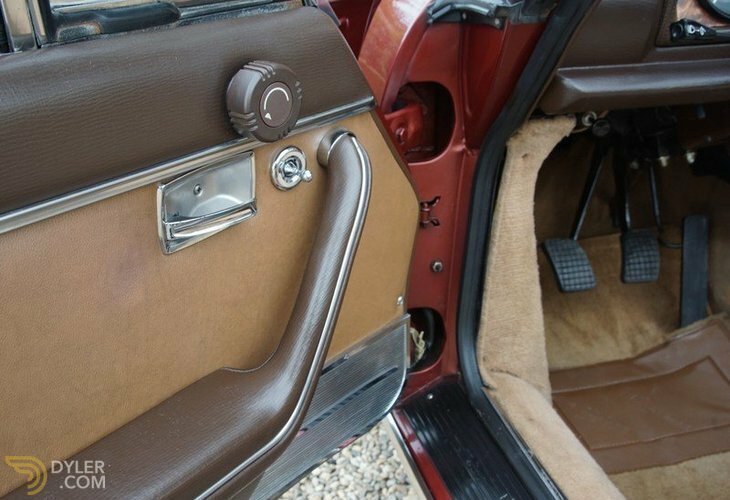 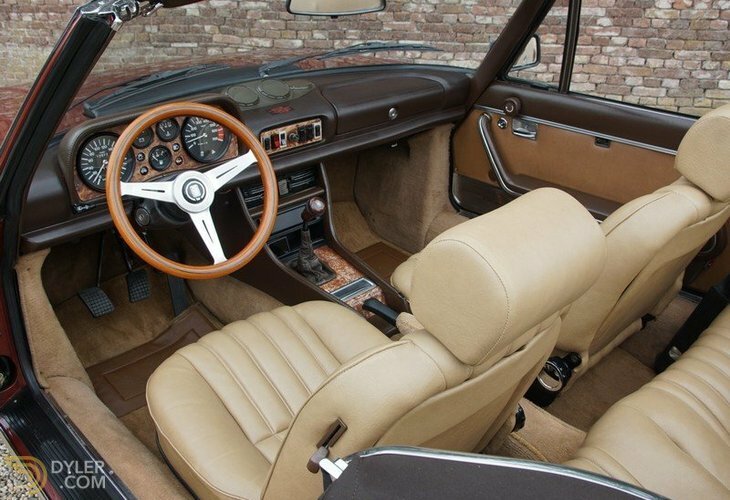 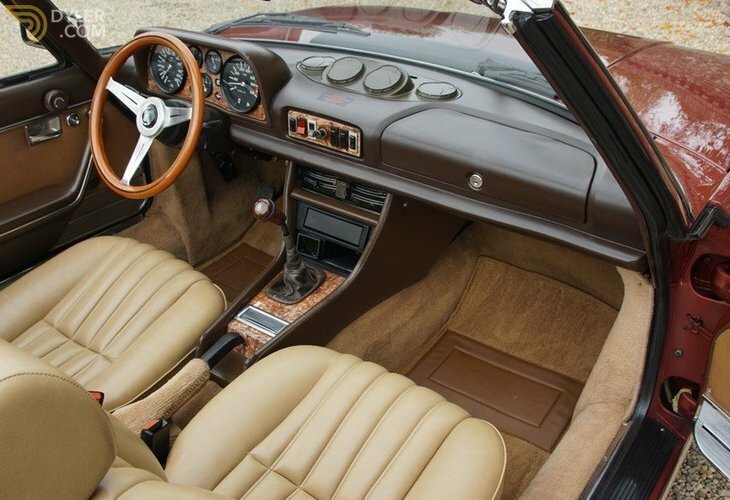 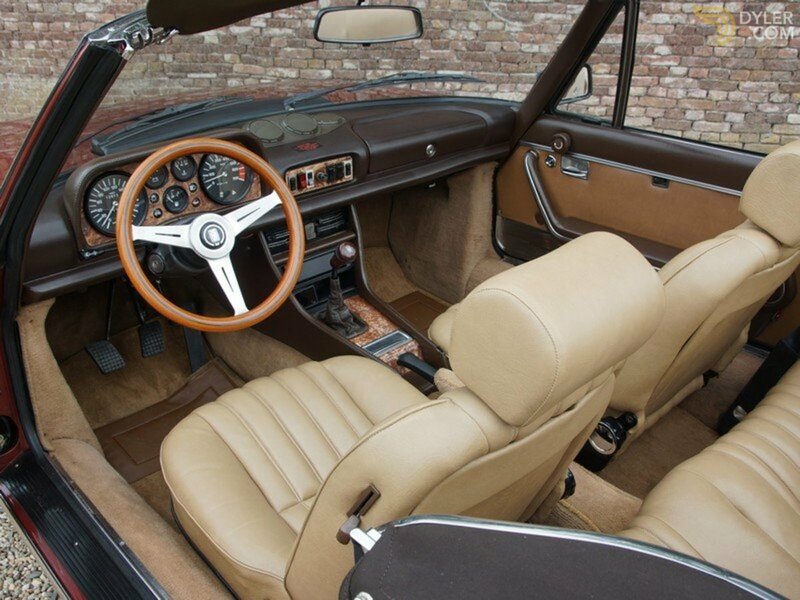 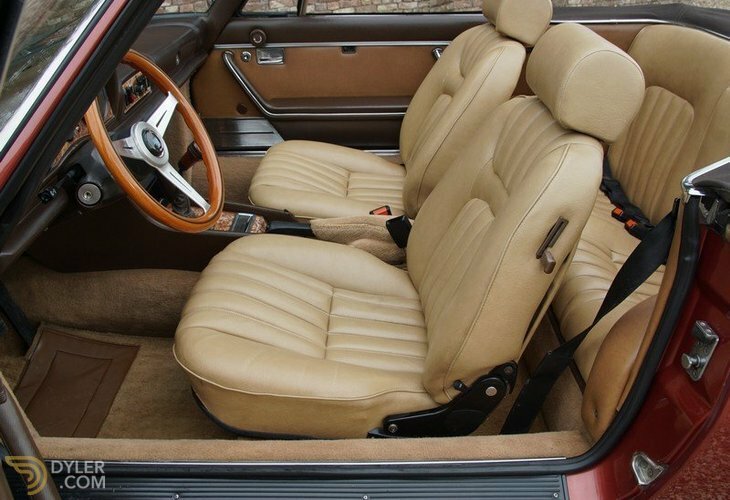 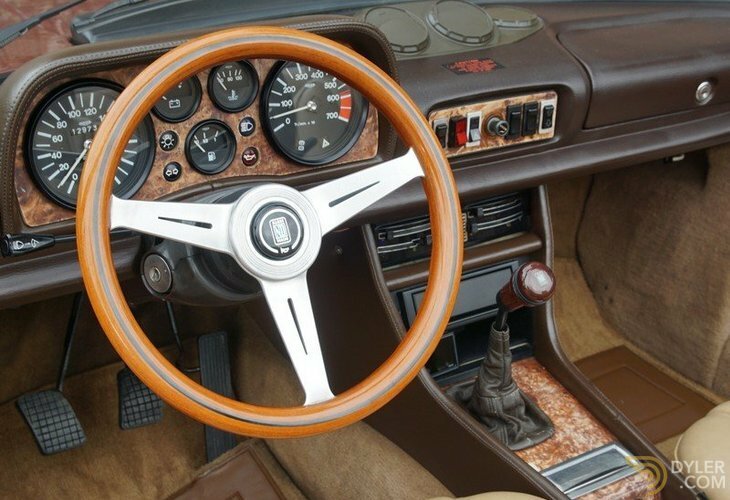 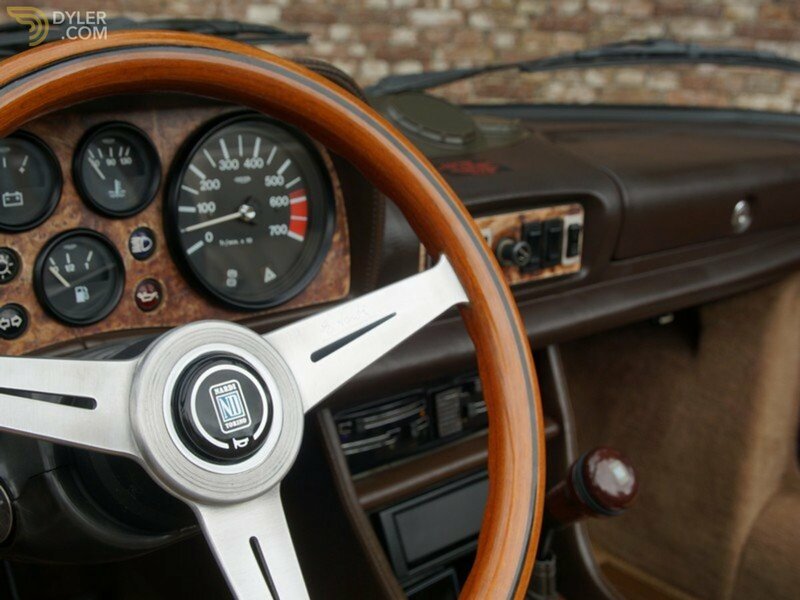 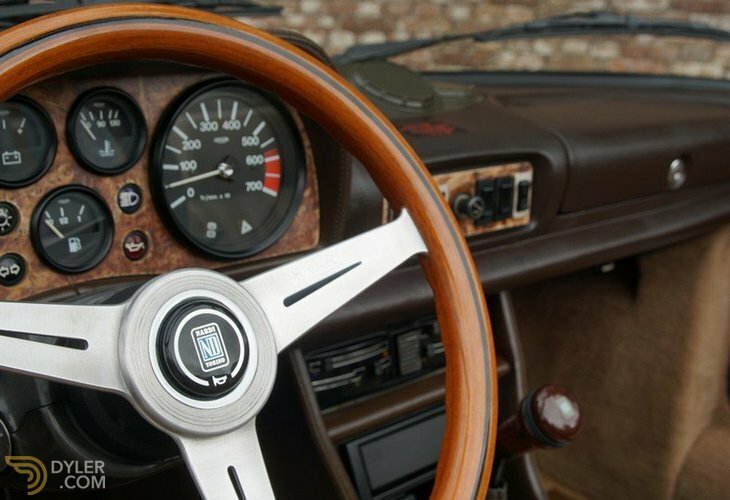 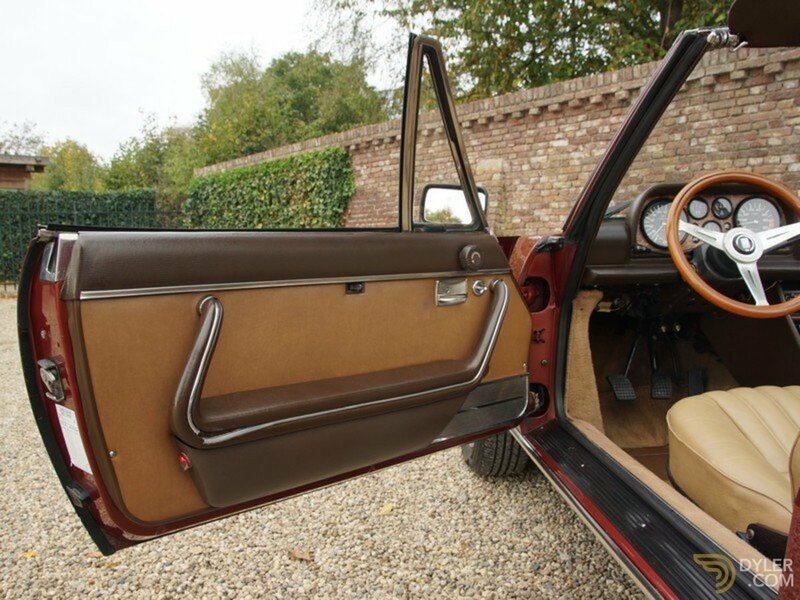 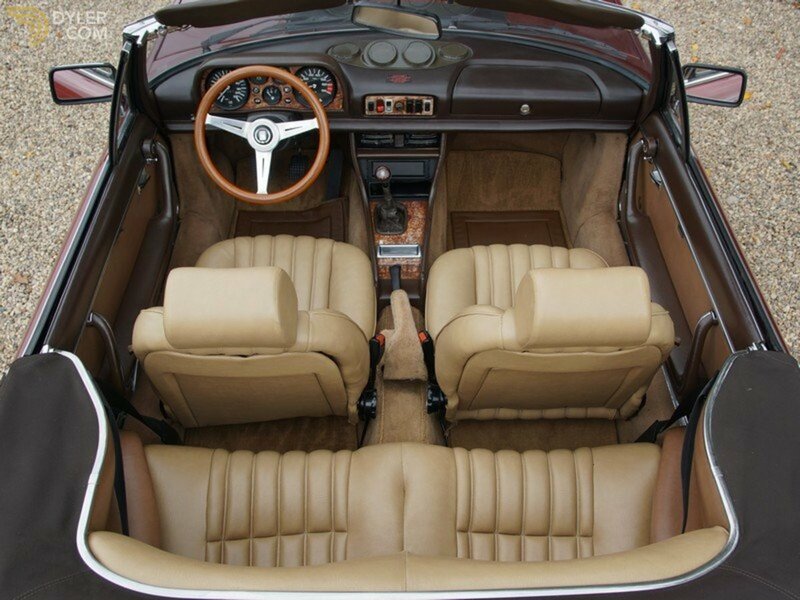 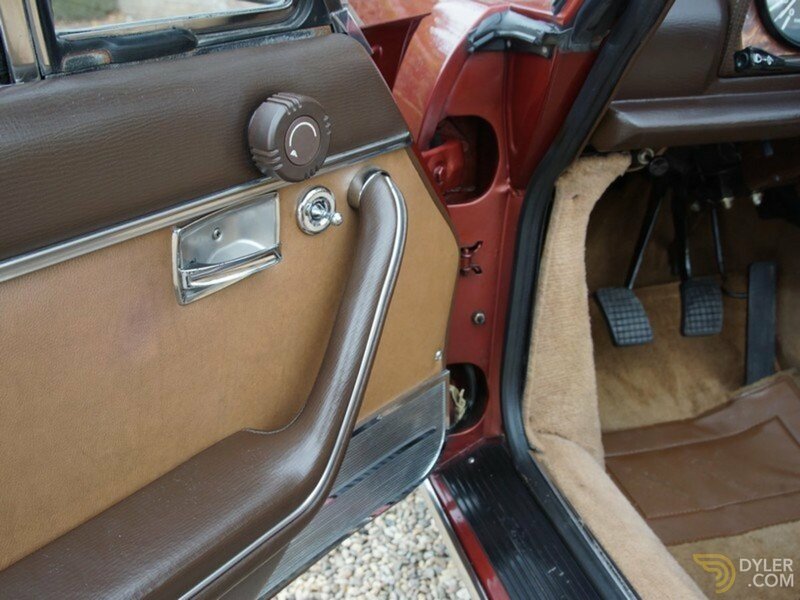 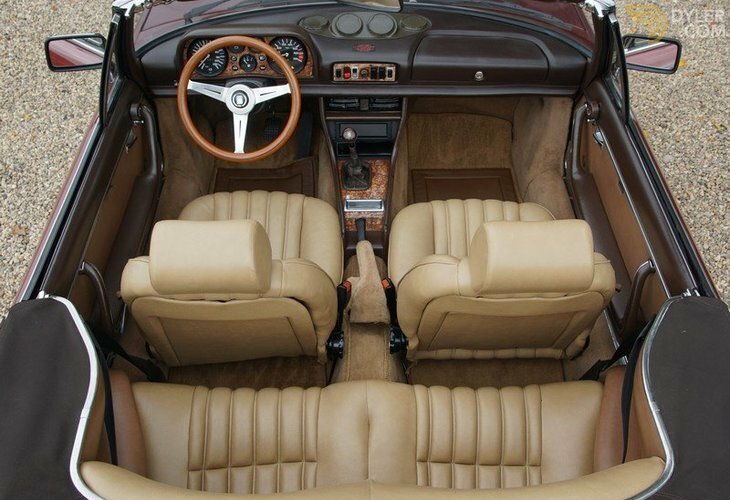 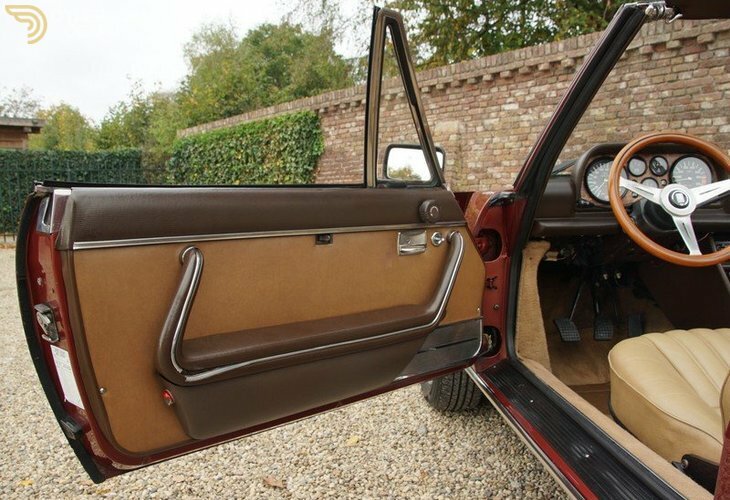 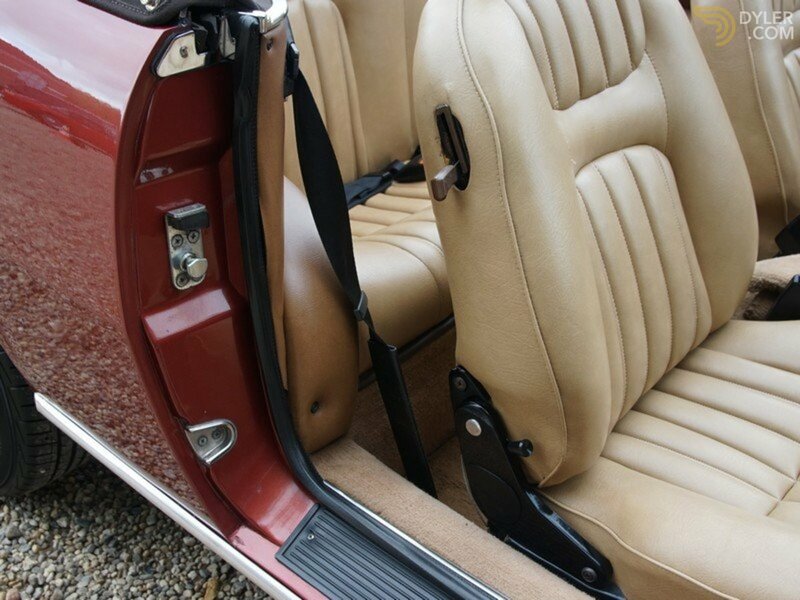 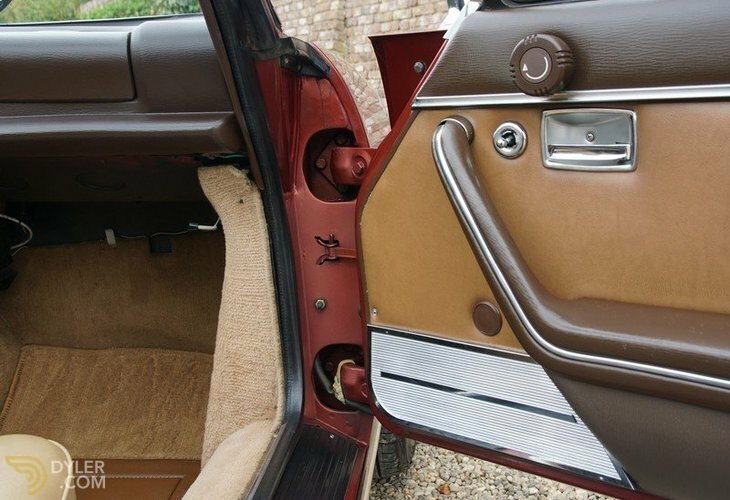 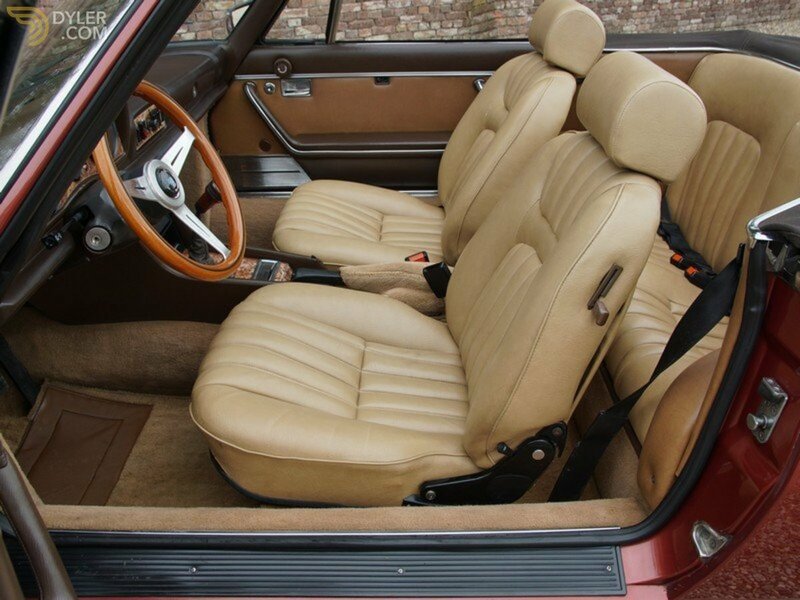 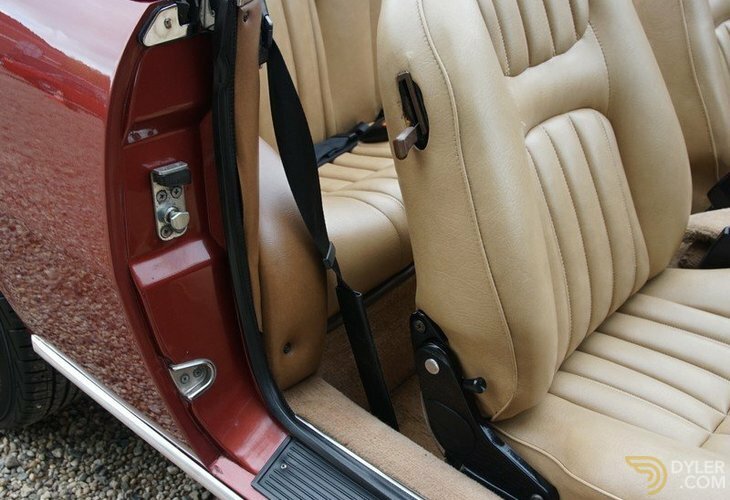 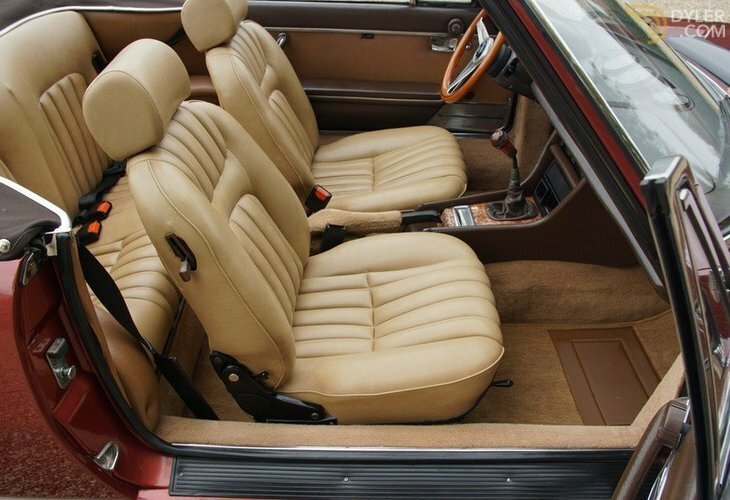 The wonderfully preserved car interior is brilliant. 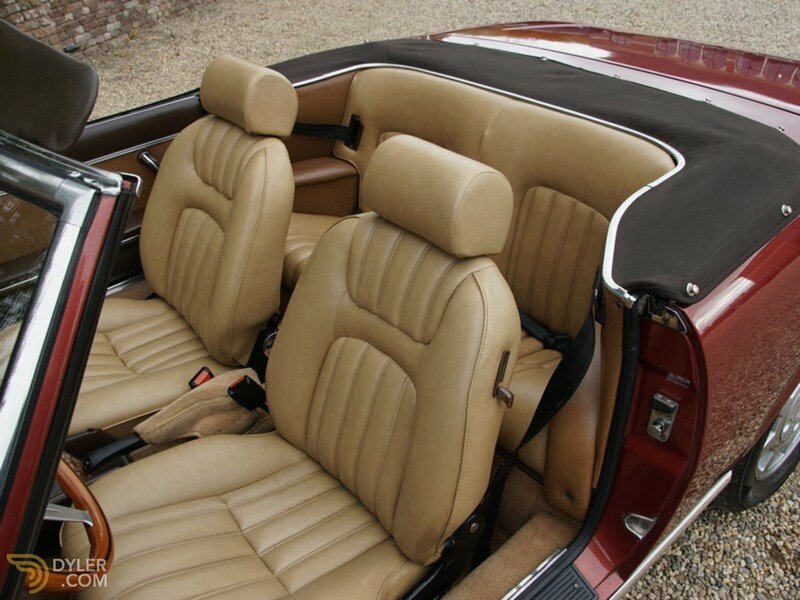 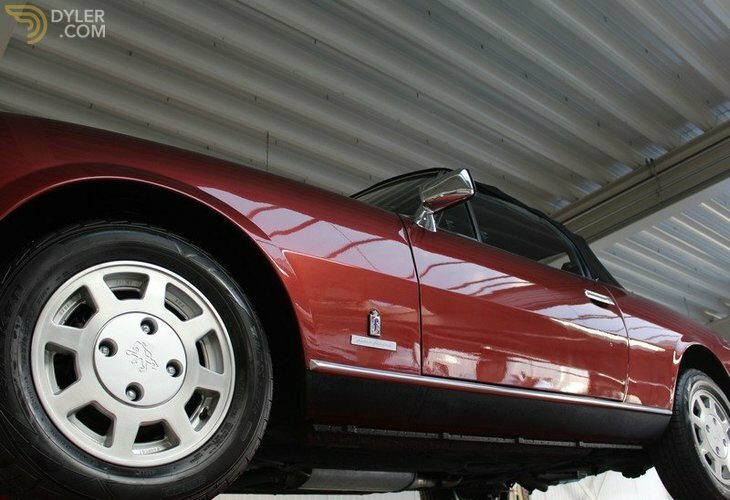 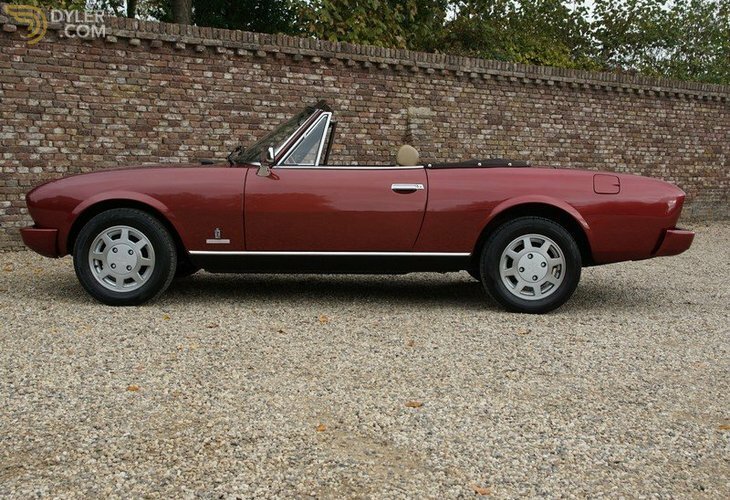 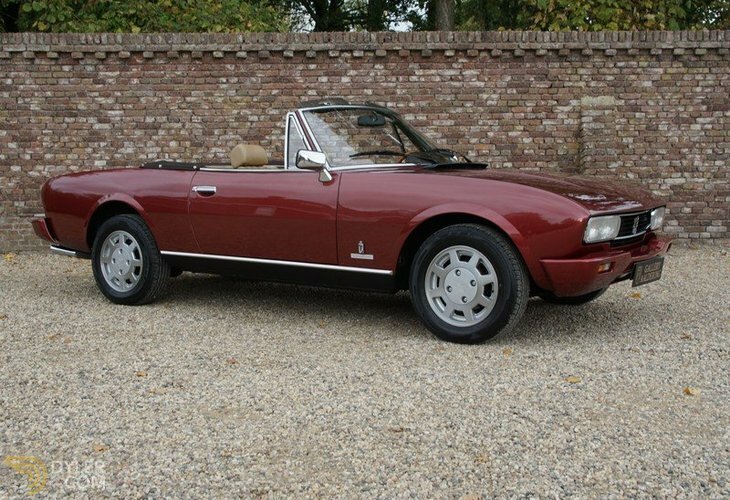 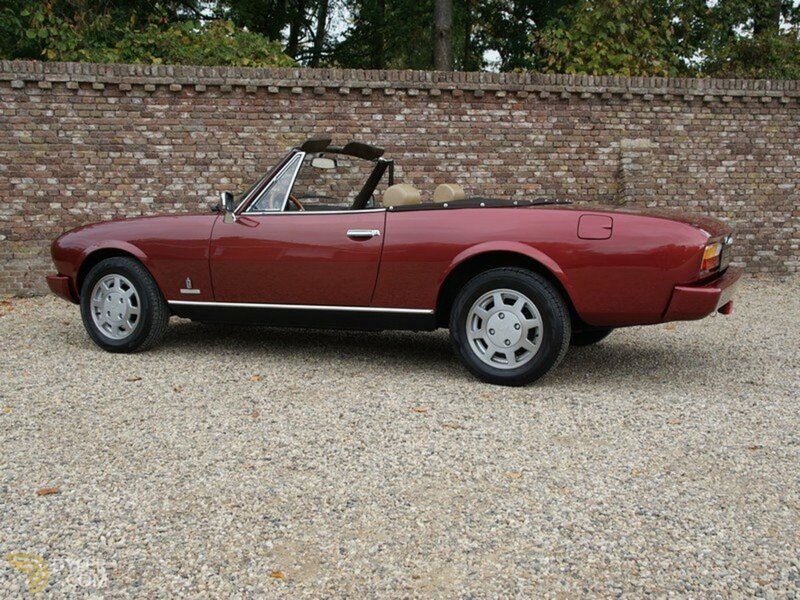 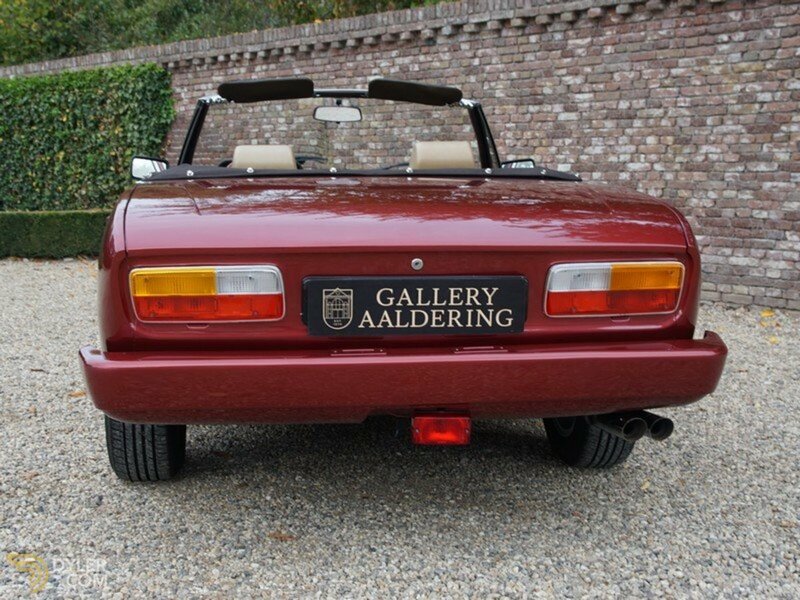 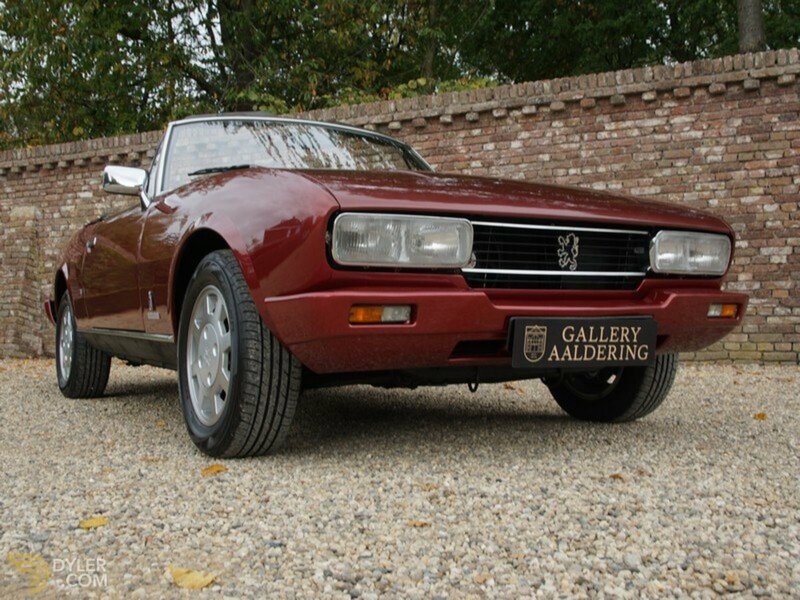 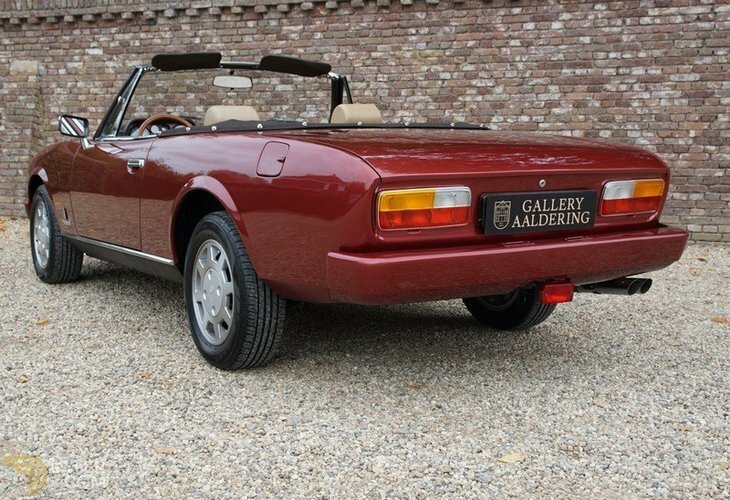 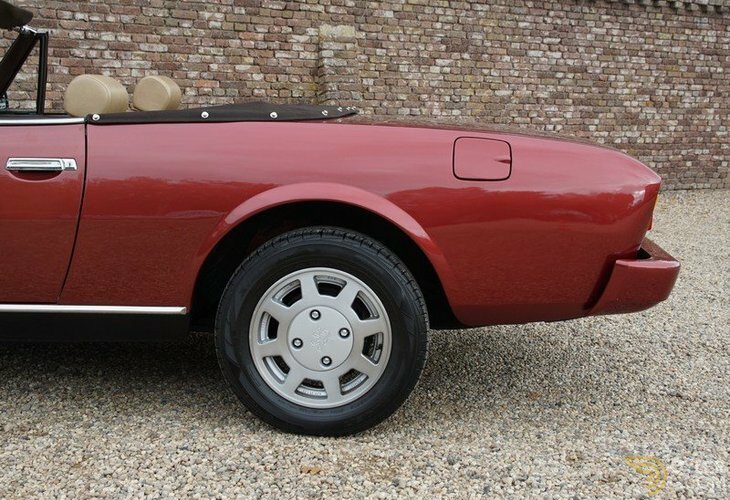 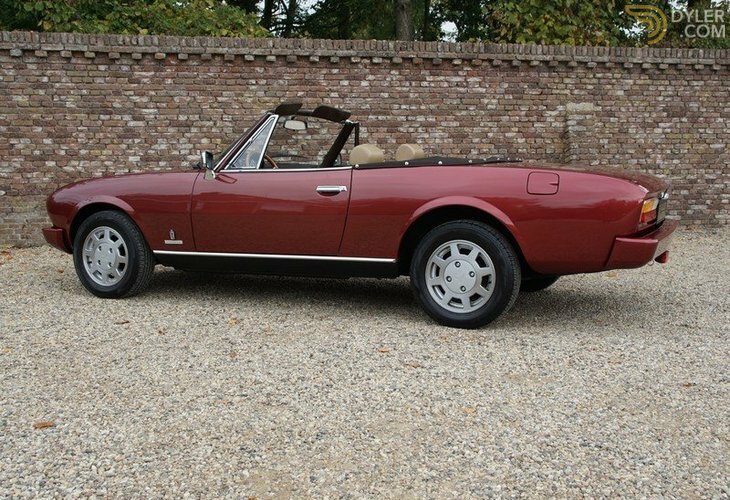 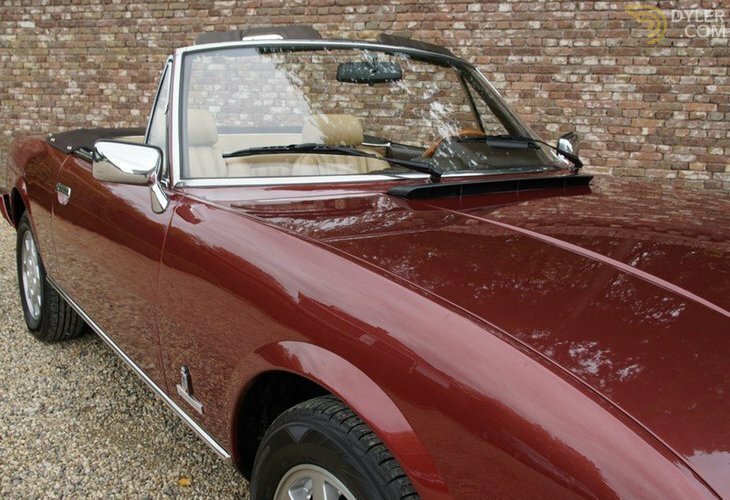 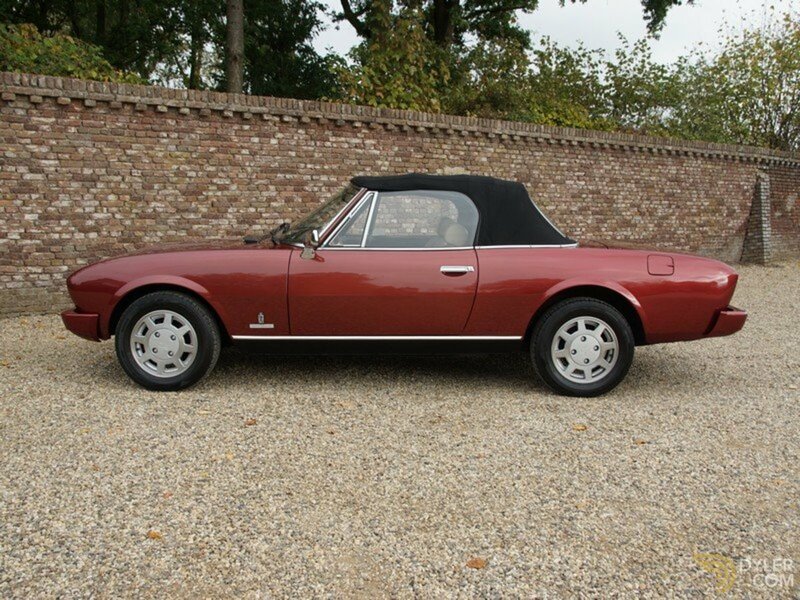 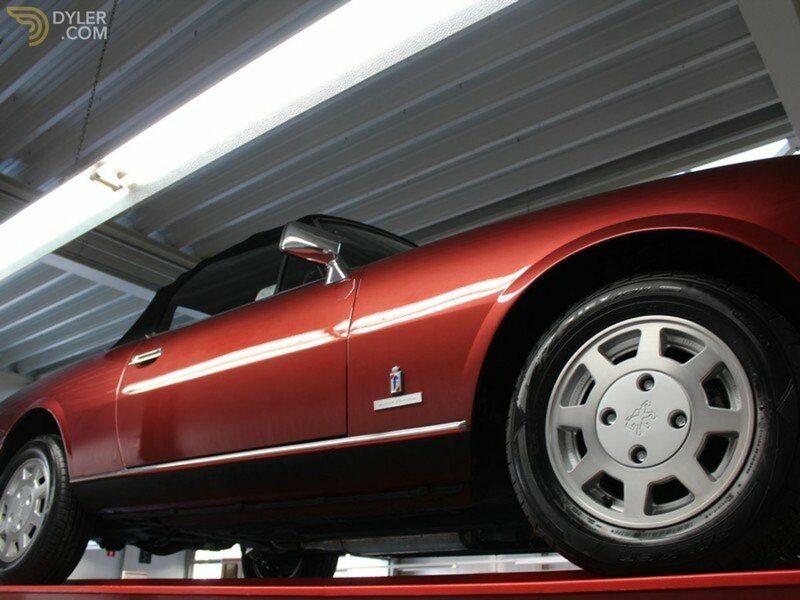 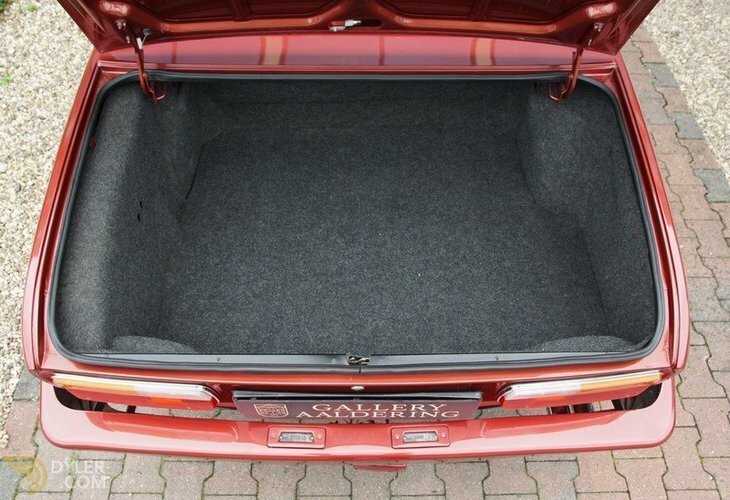 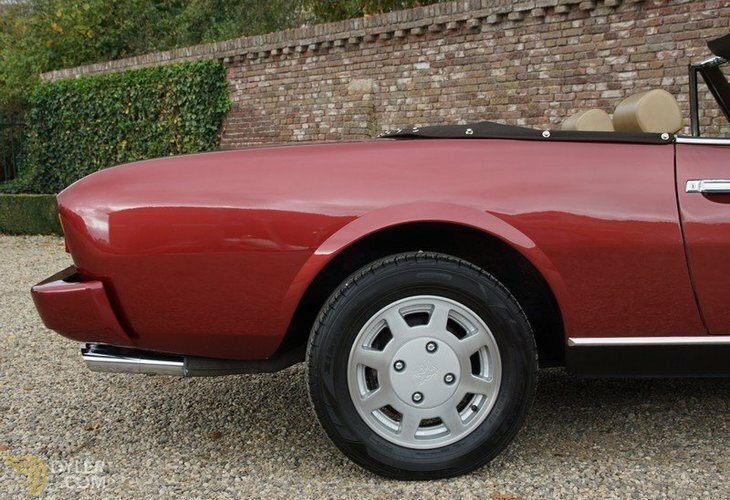 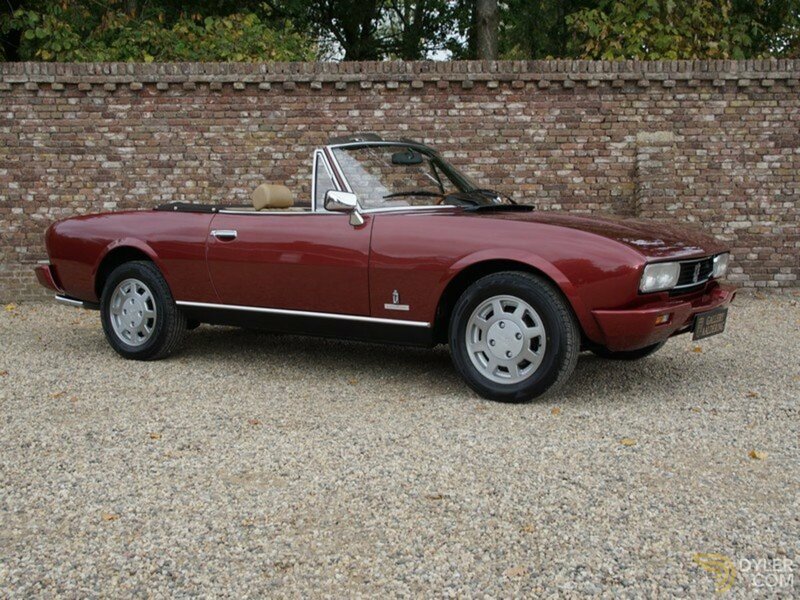 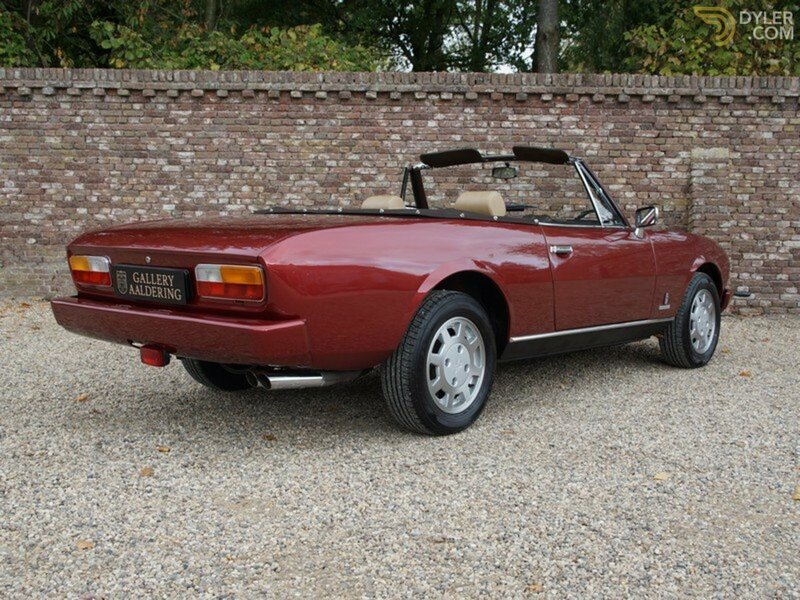 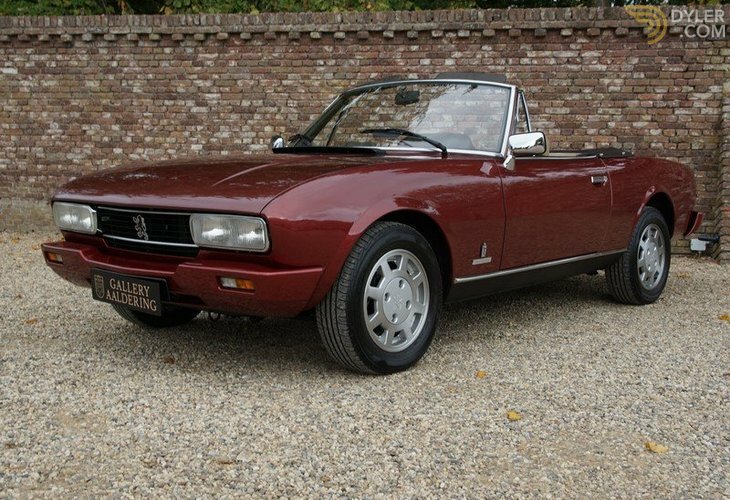 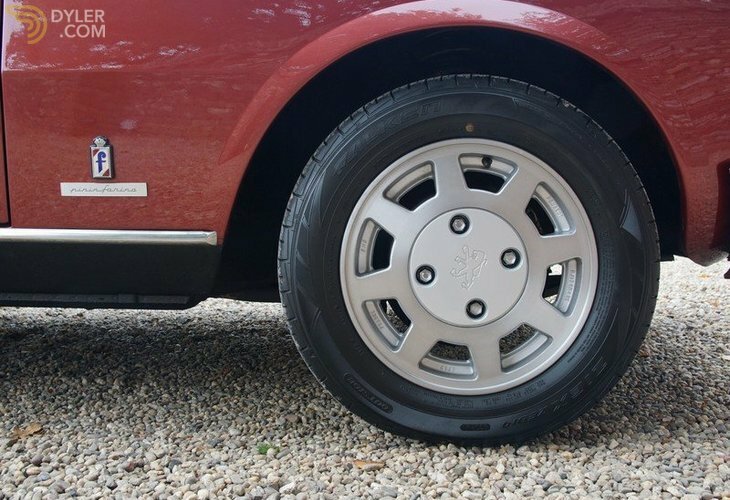 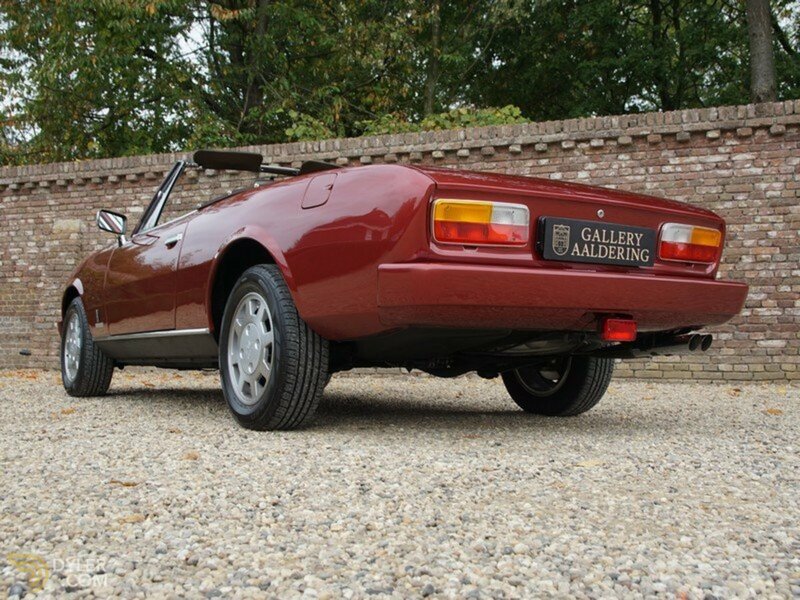 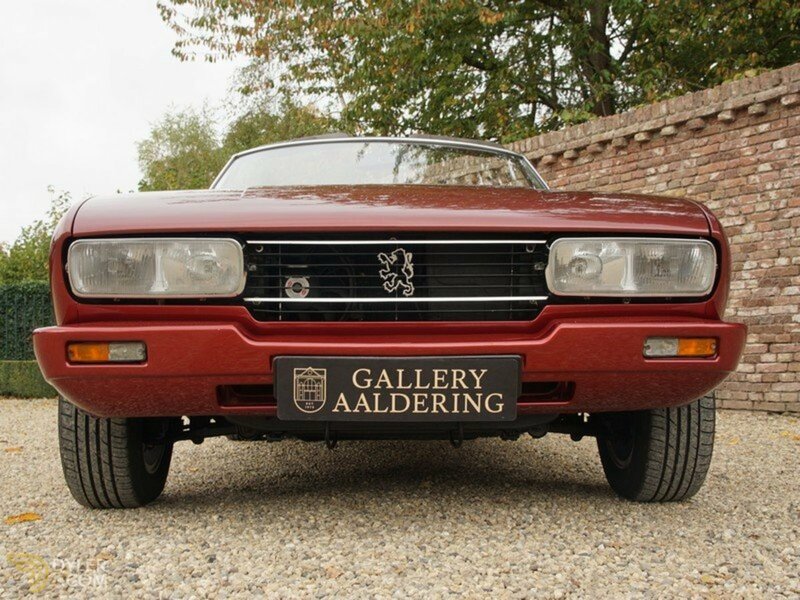 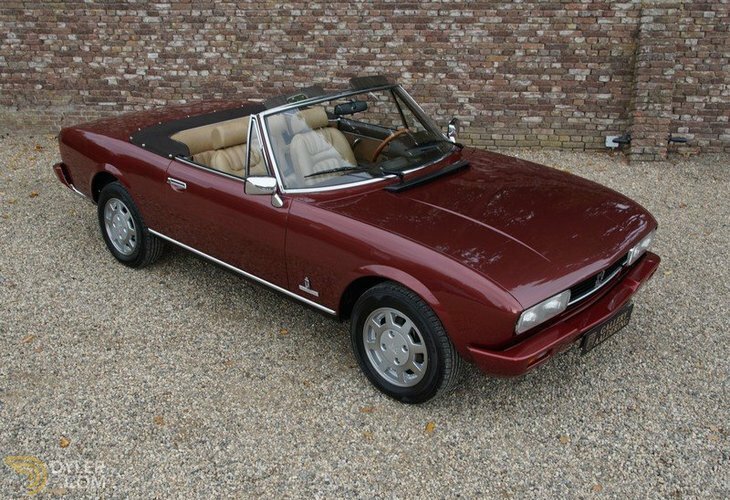 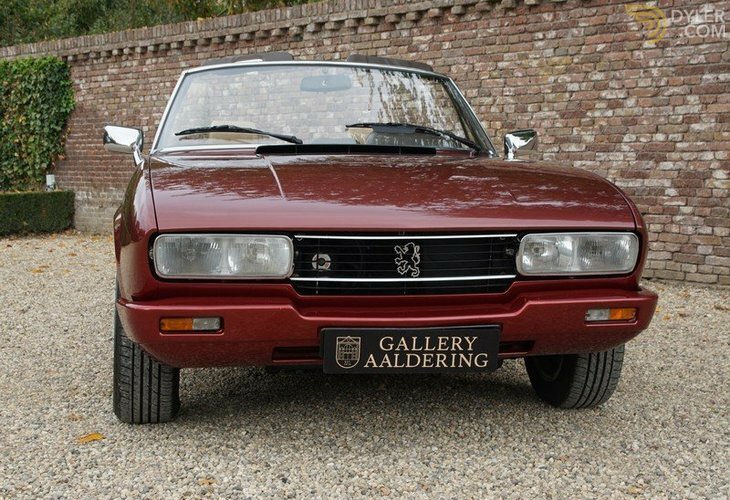 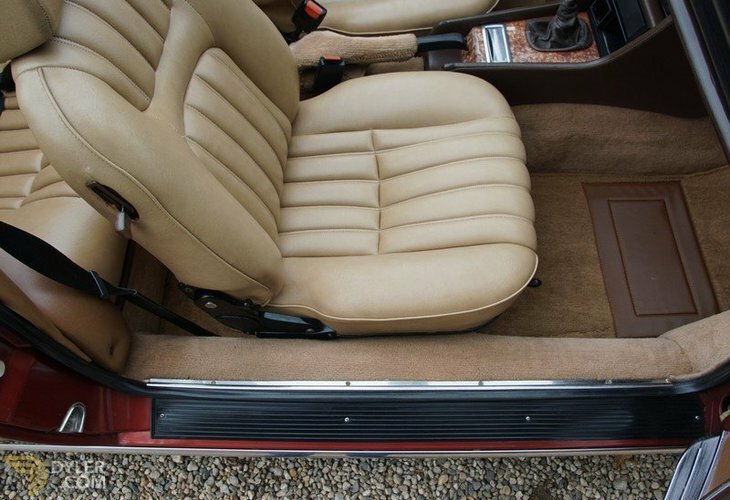 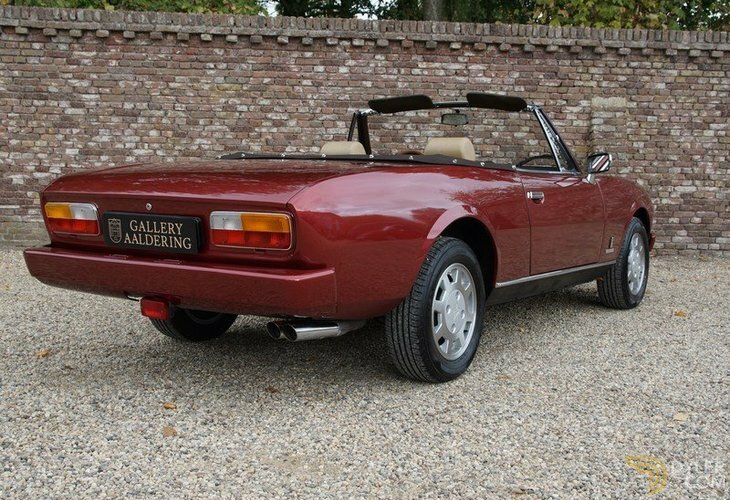 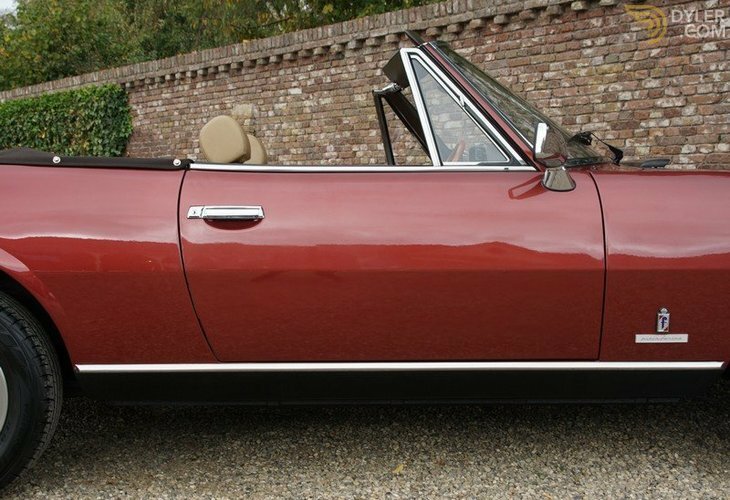 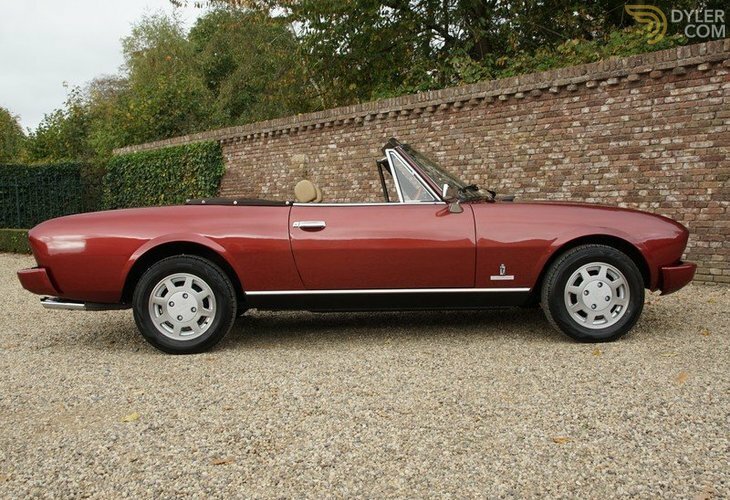 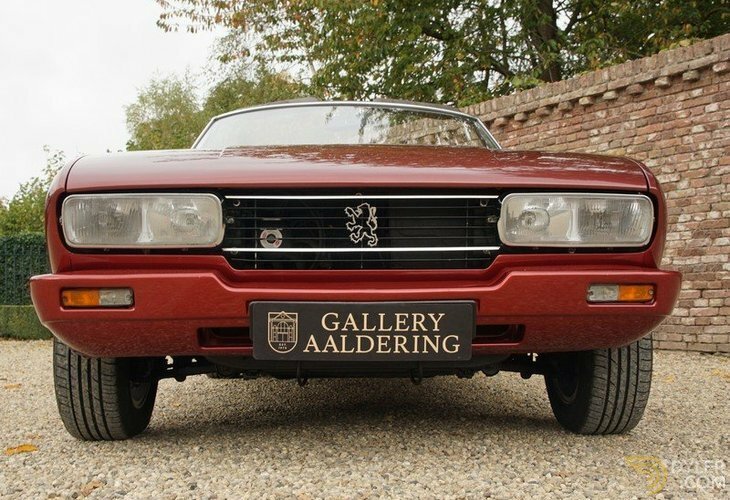 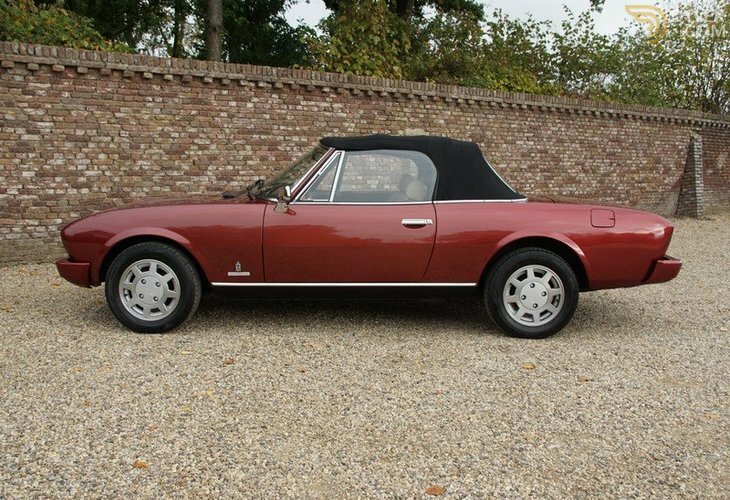 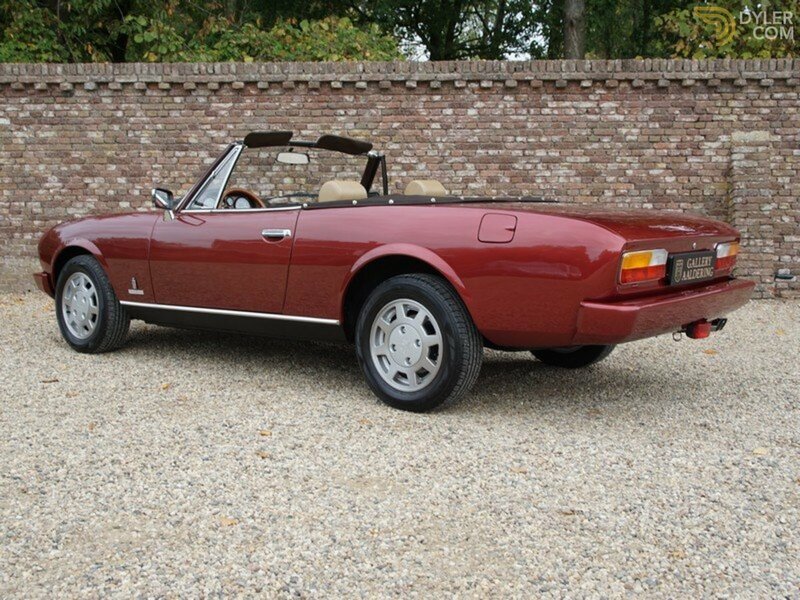 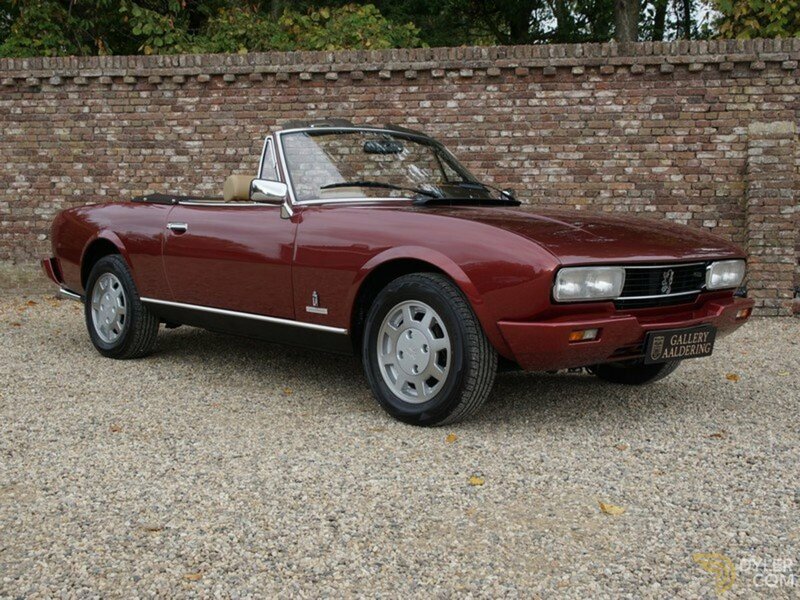 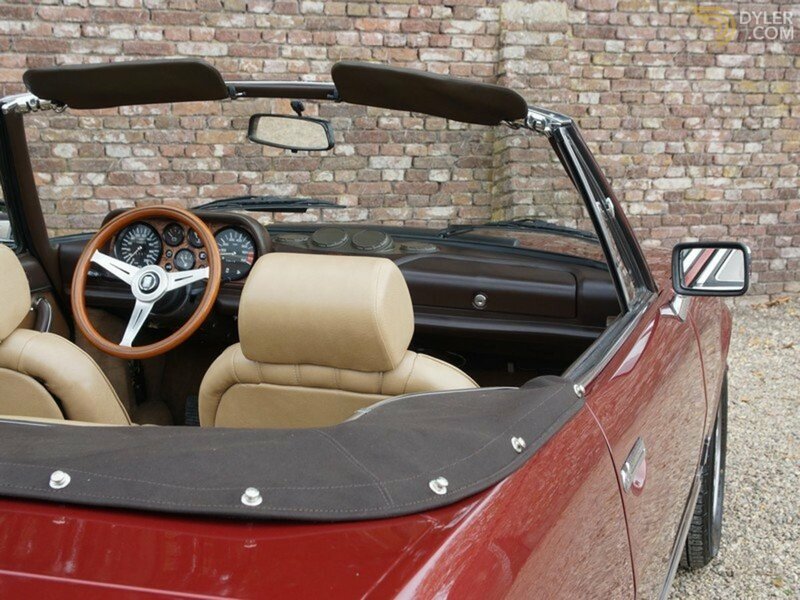 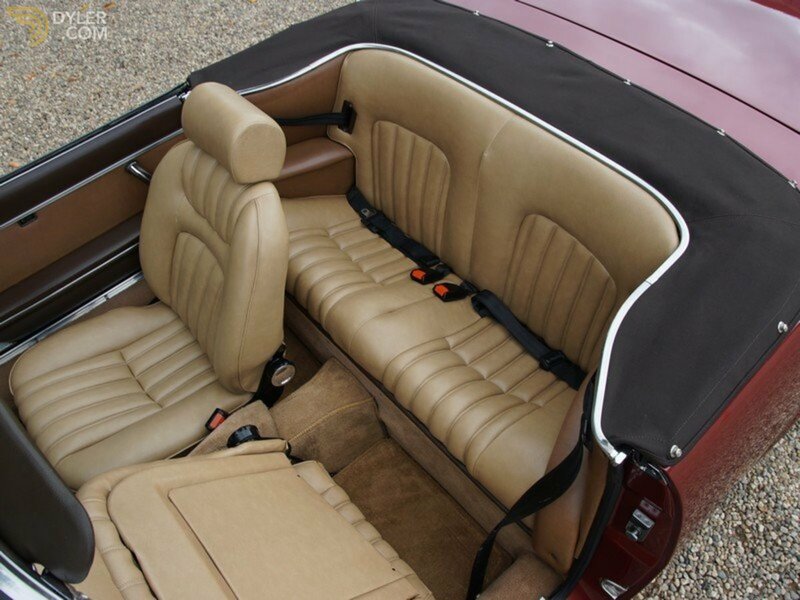 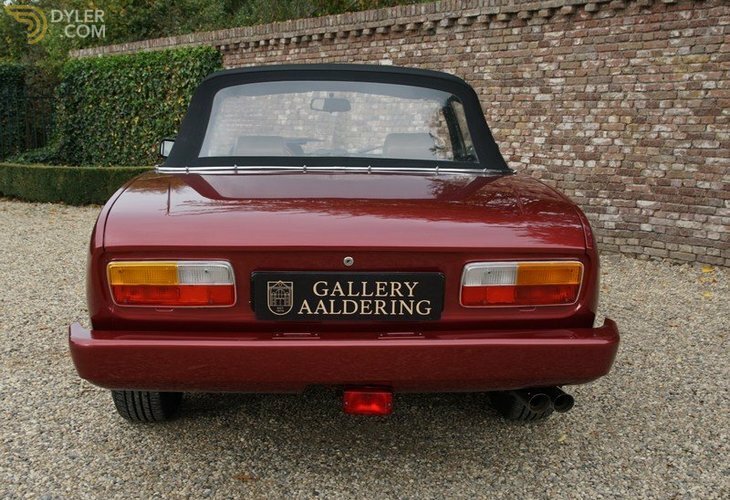 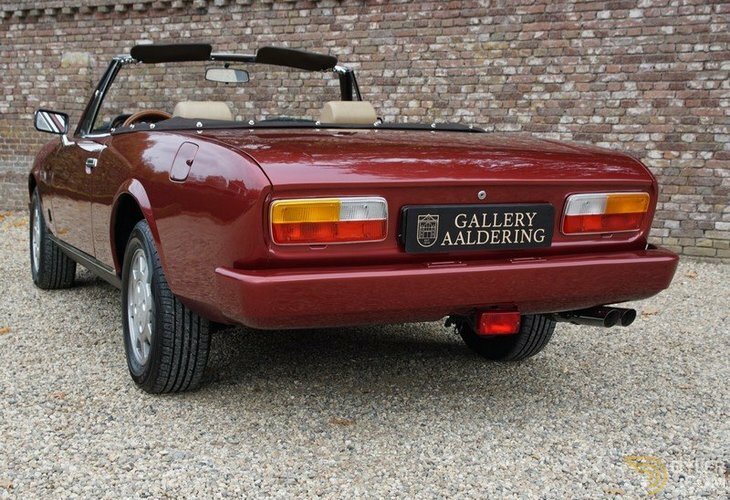 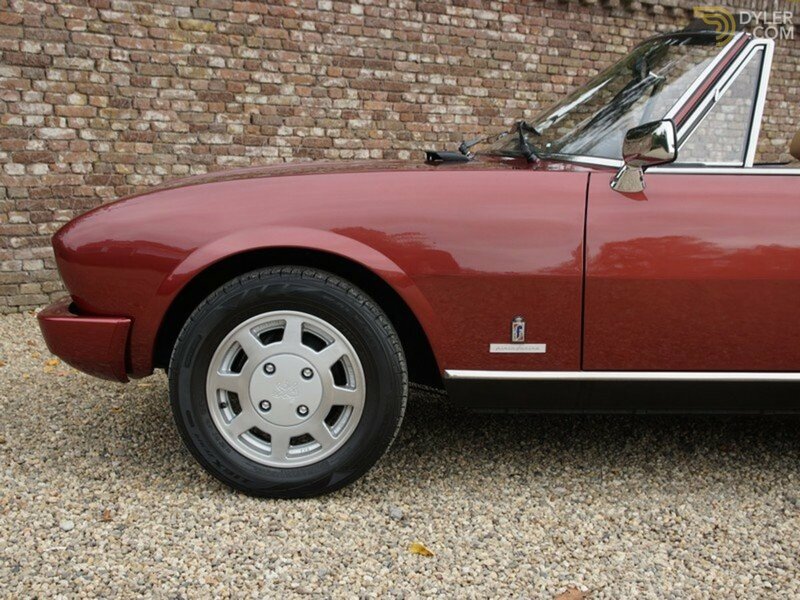 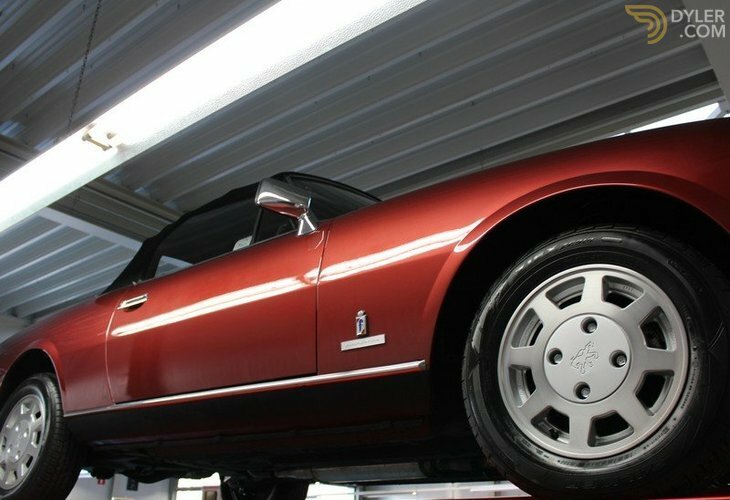 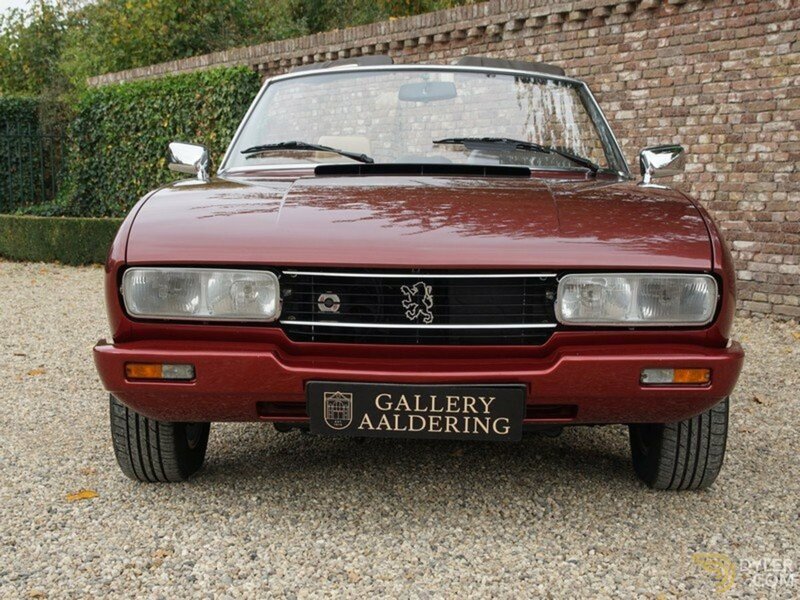 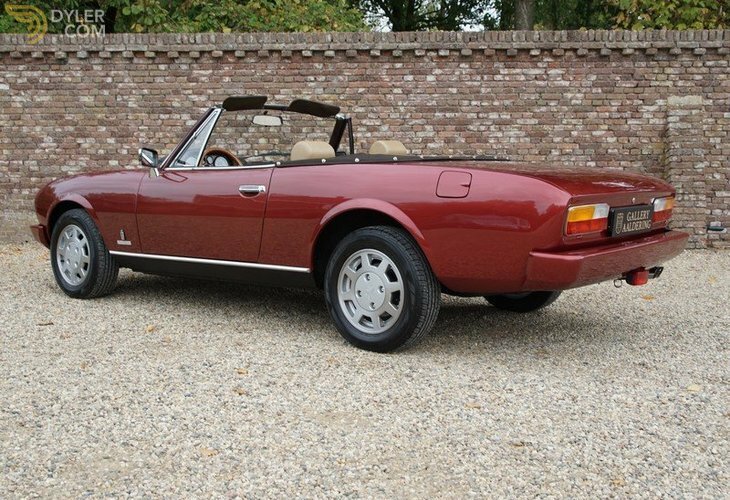 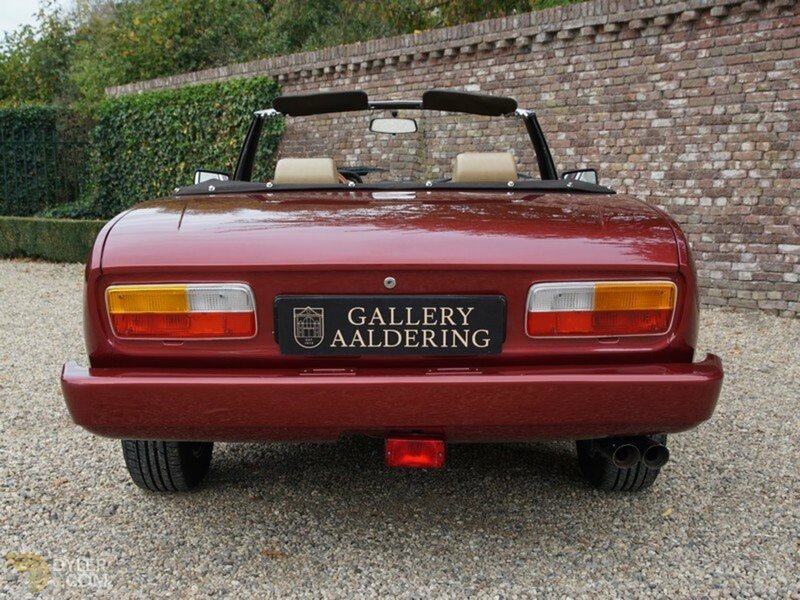 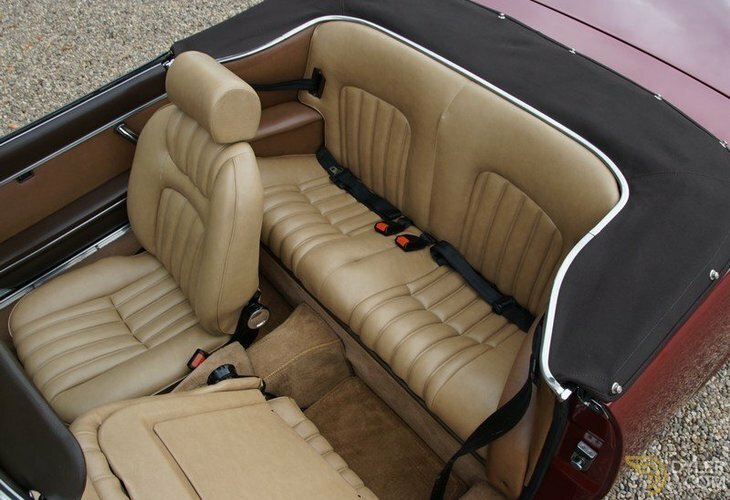 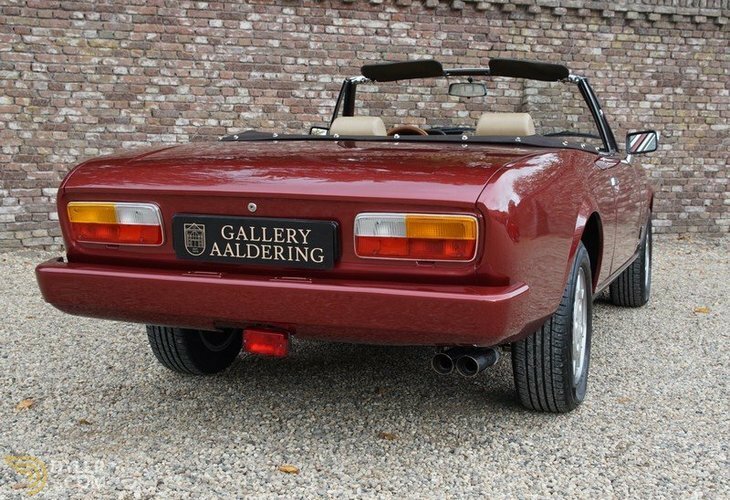 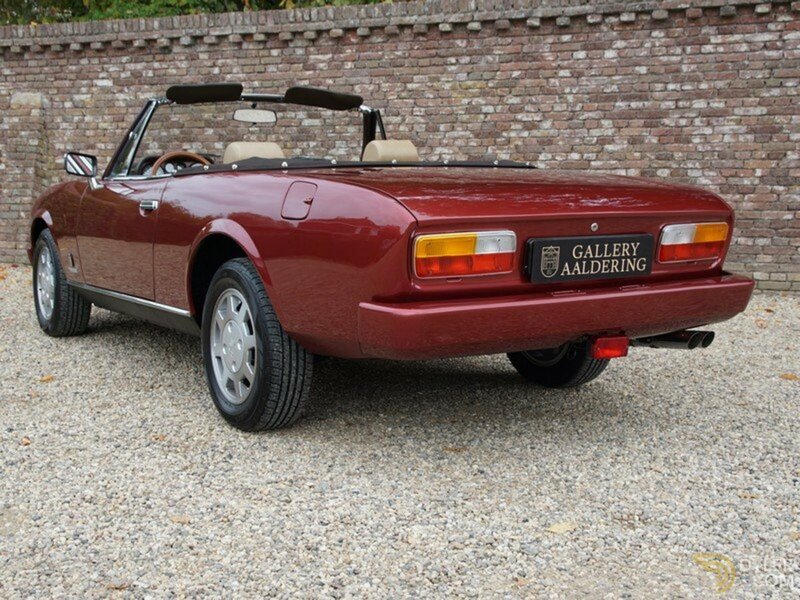 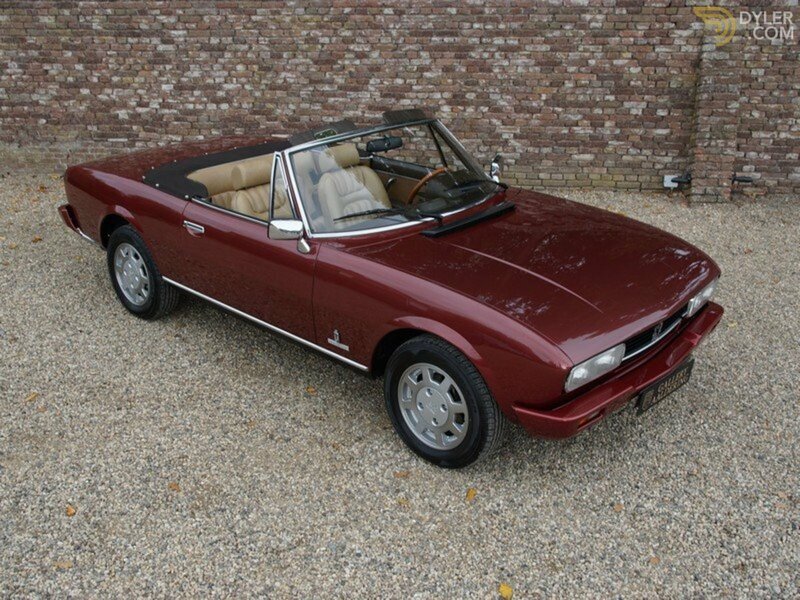 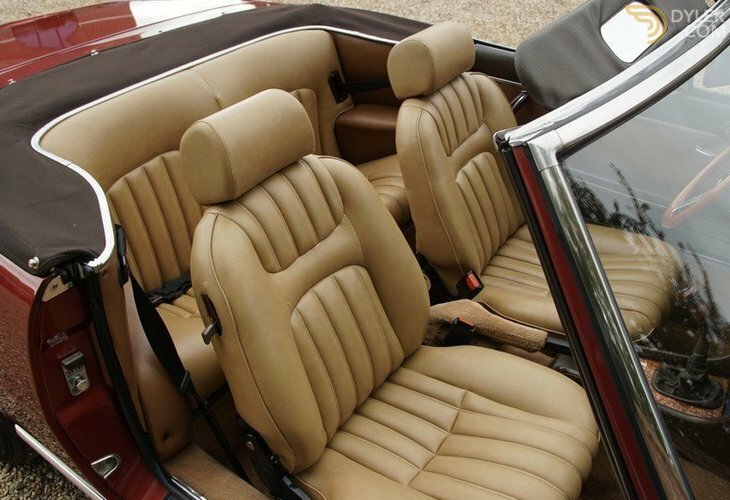 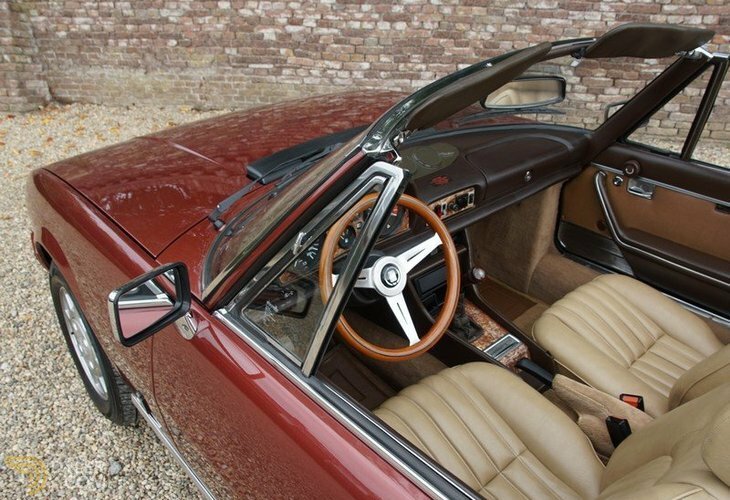 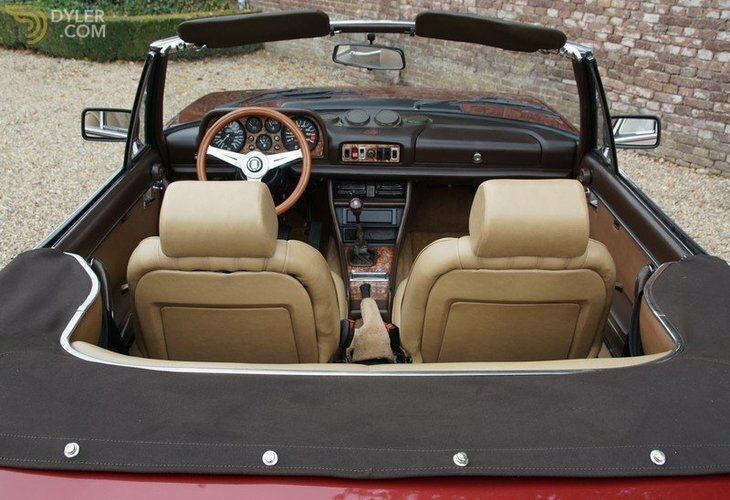 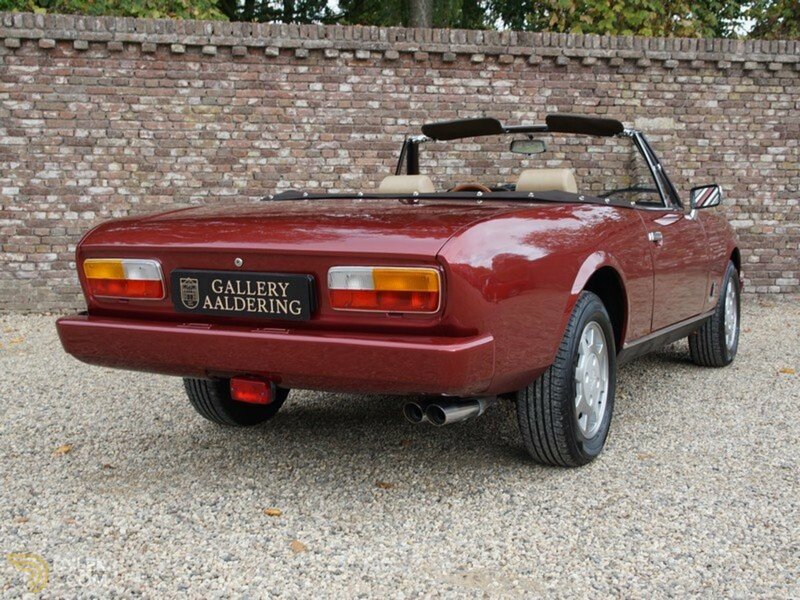 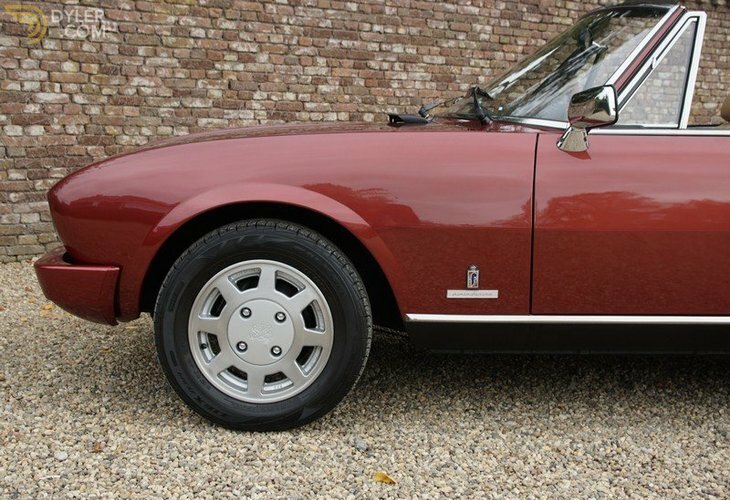 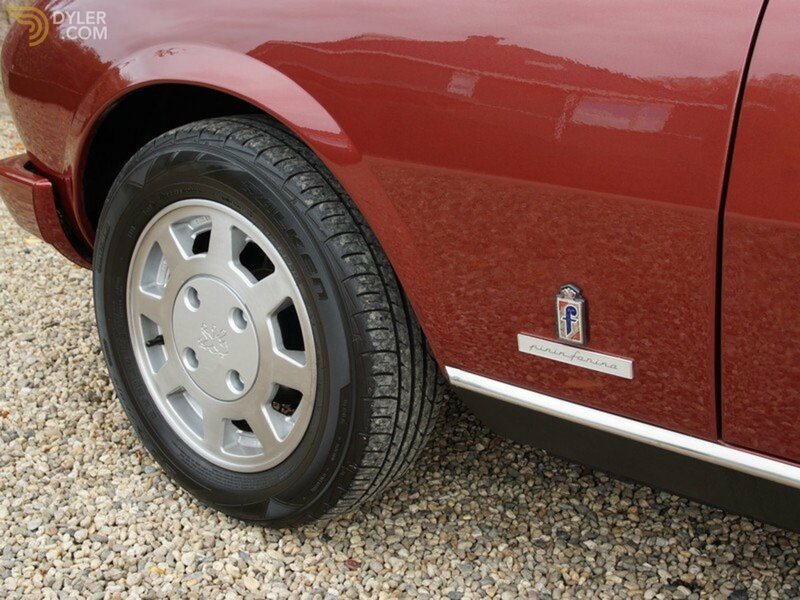 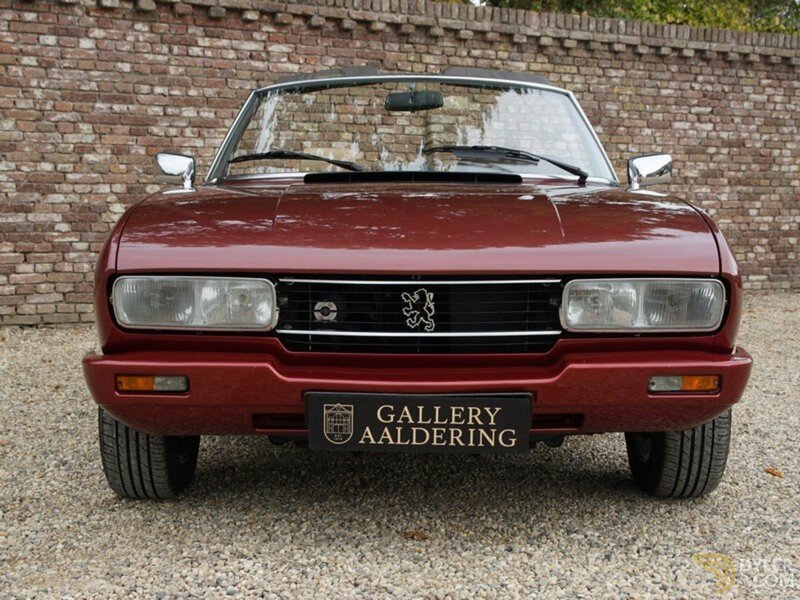 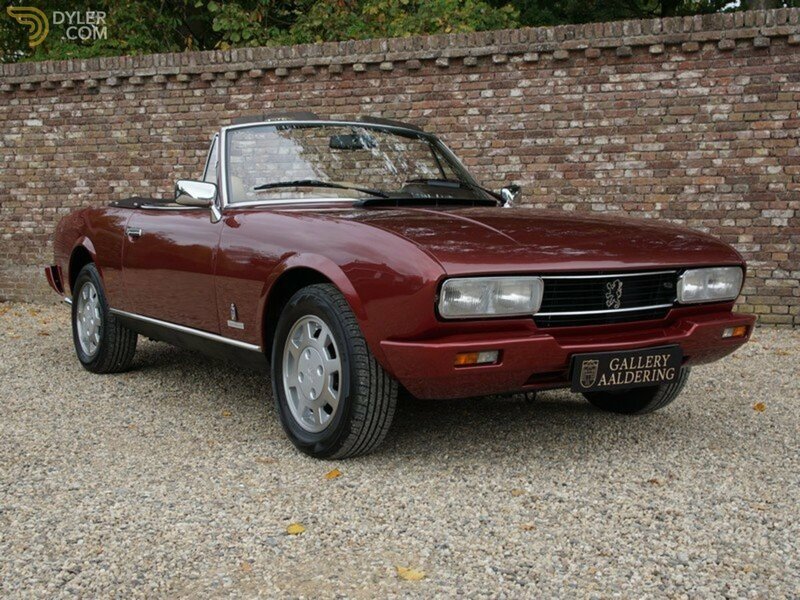 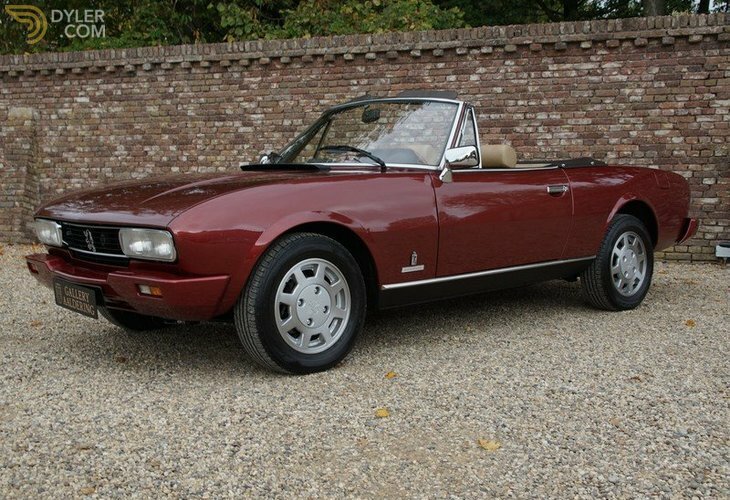 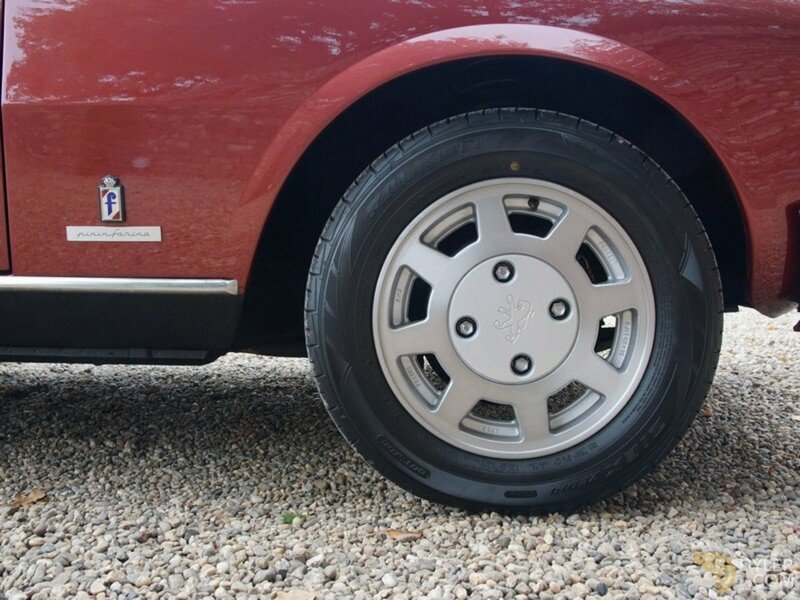 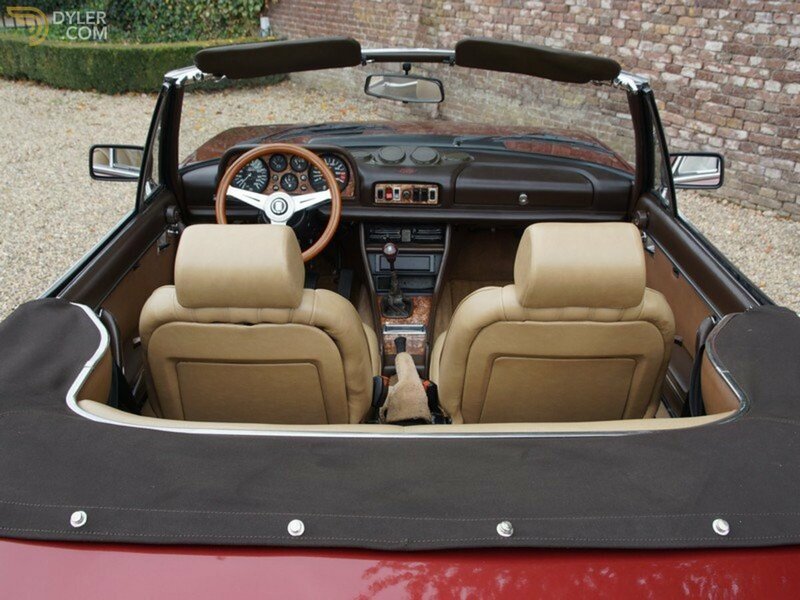 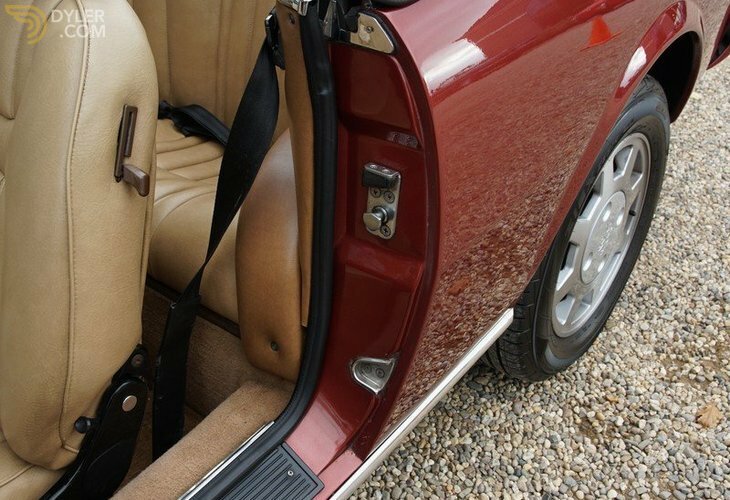 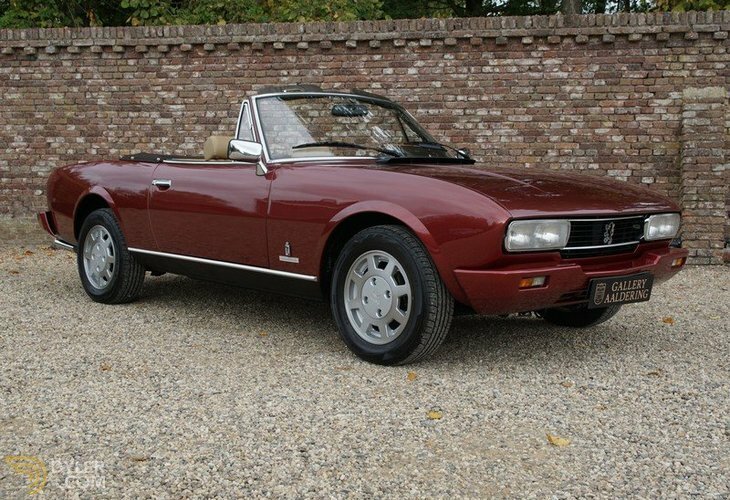 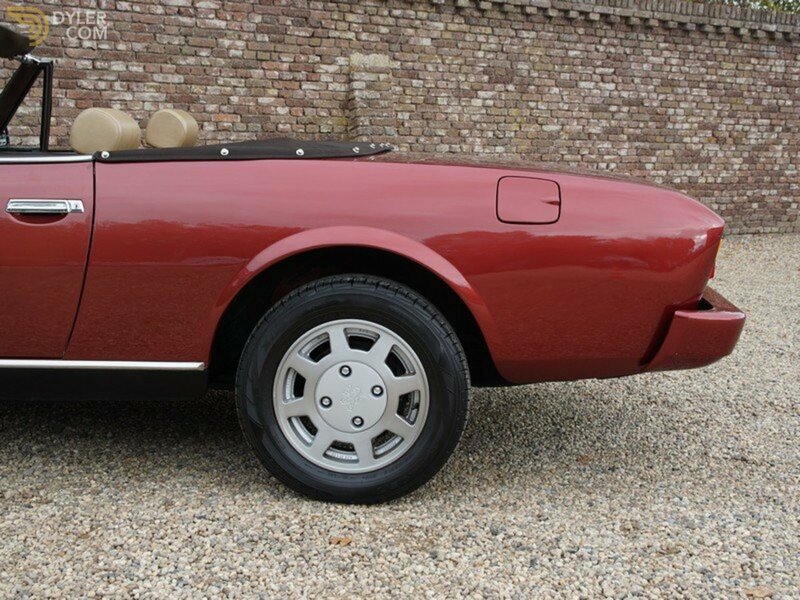 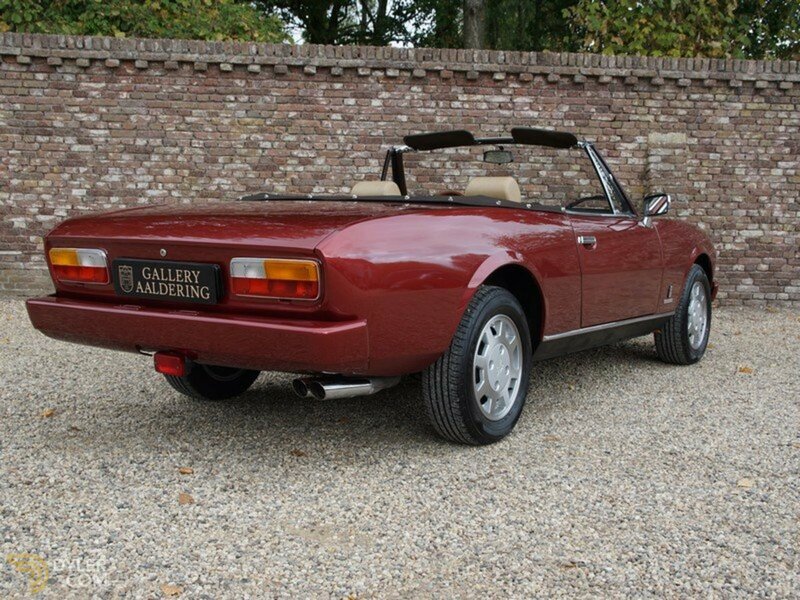 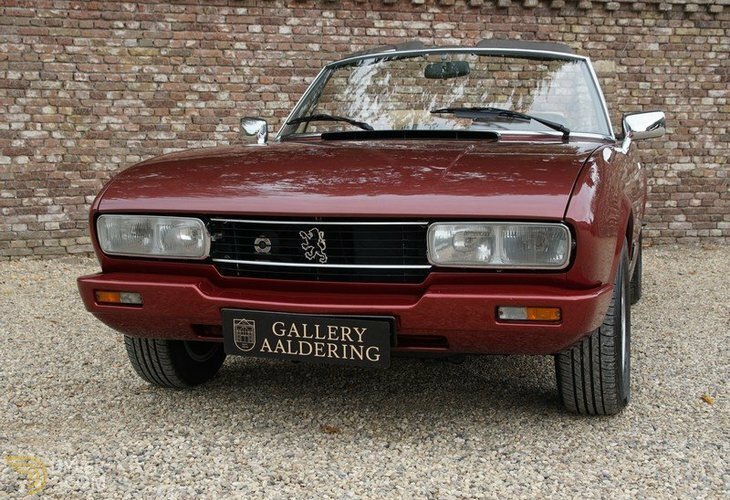 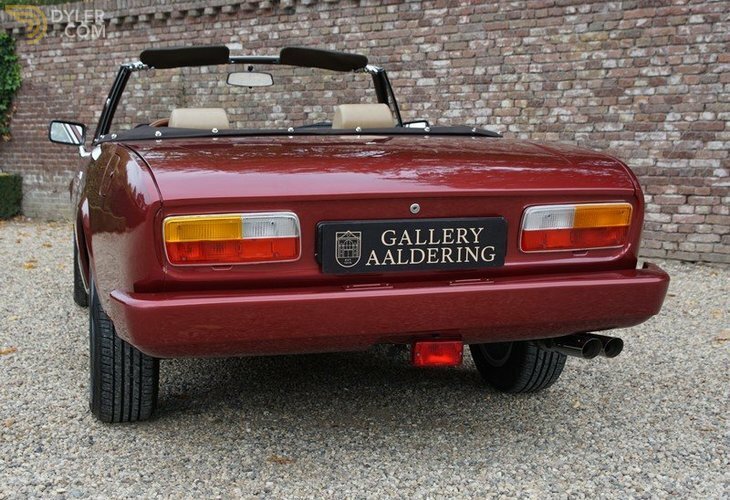 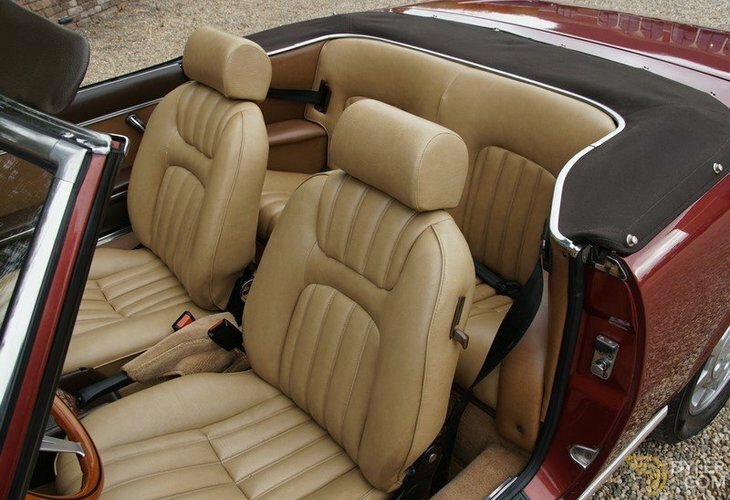 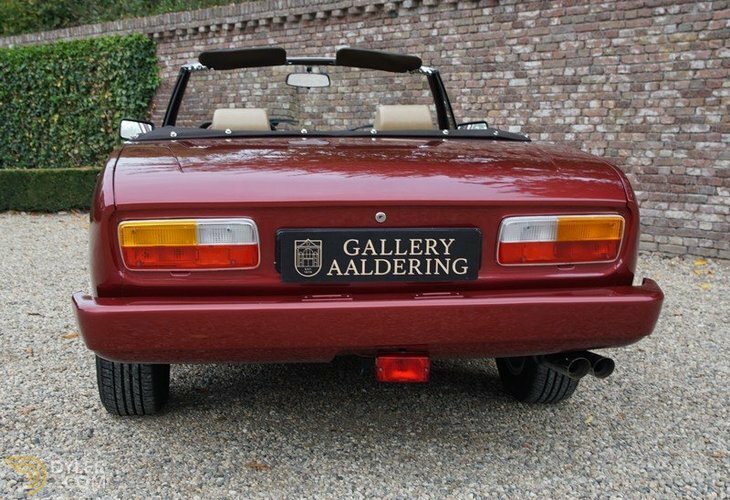 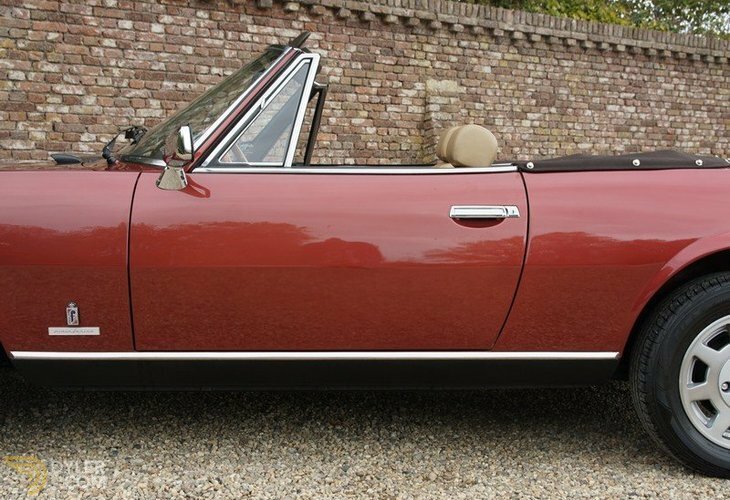 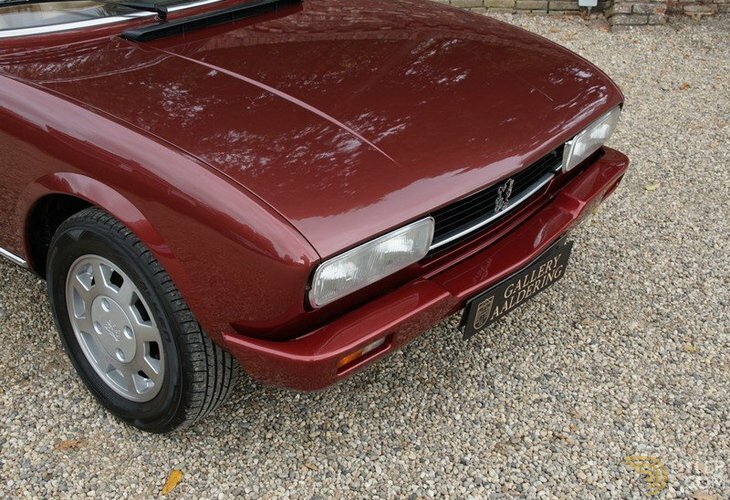 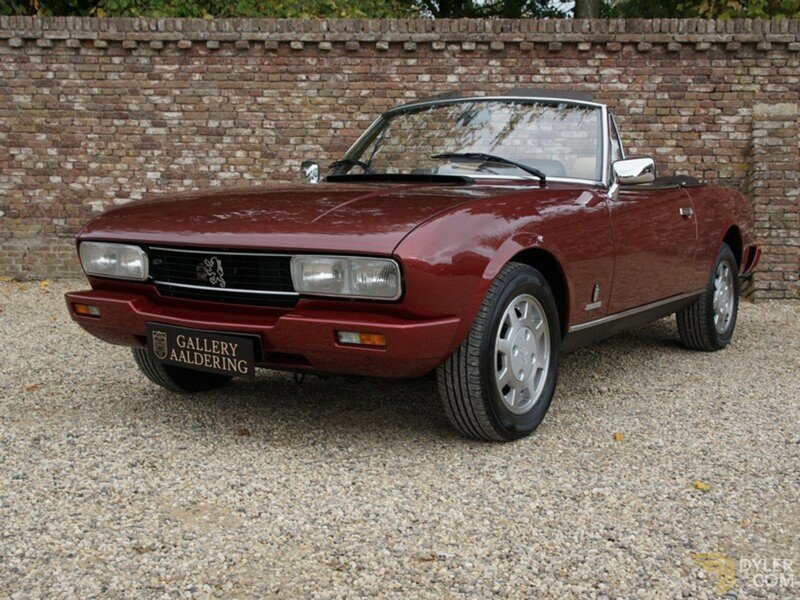 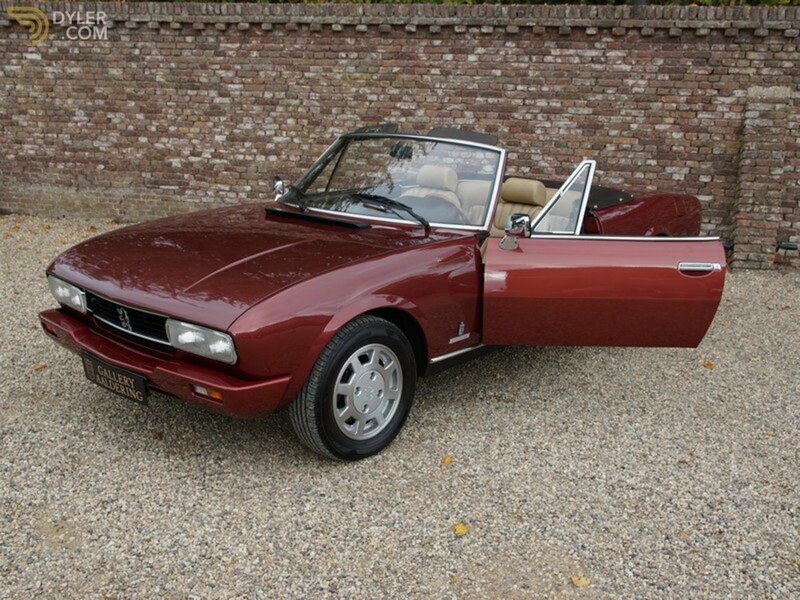 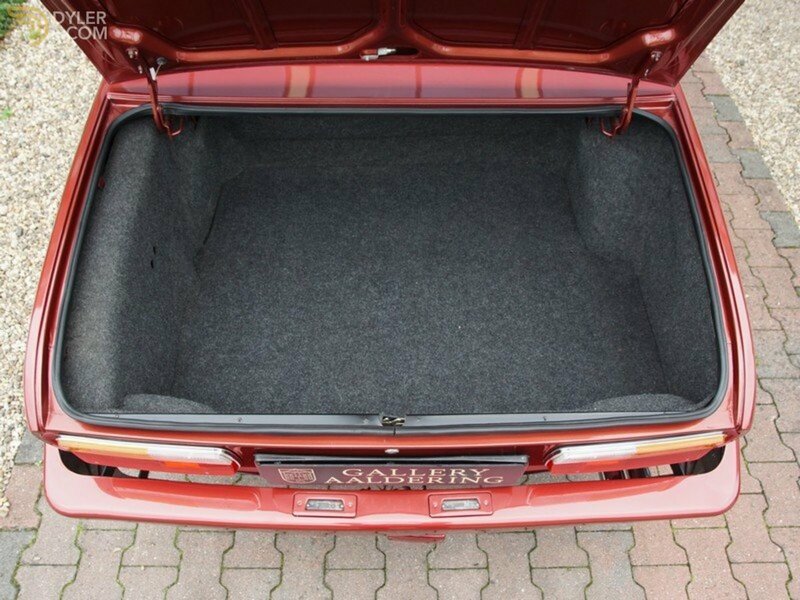 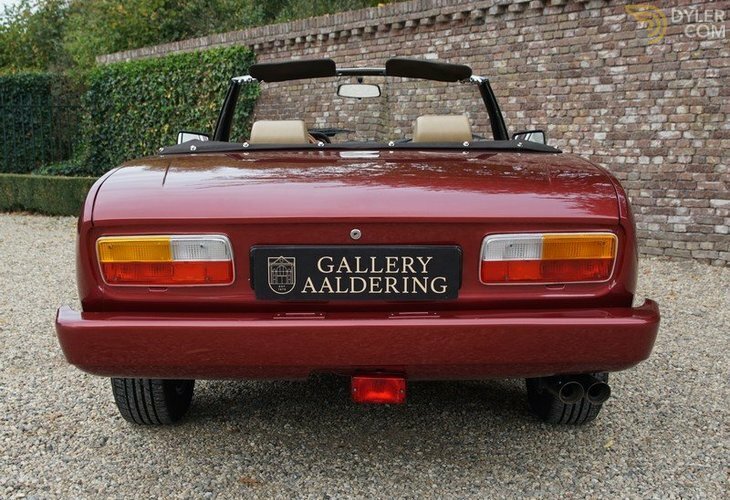 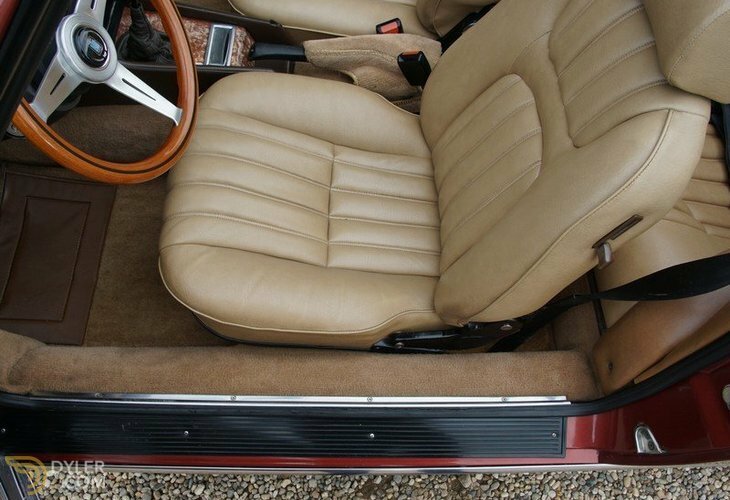 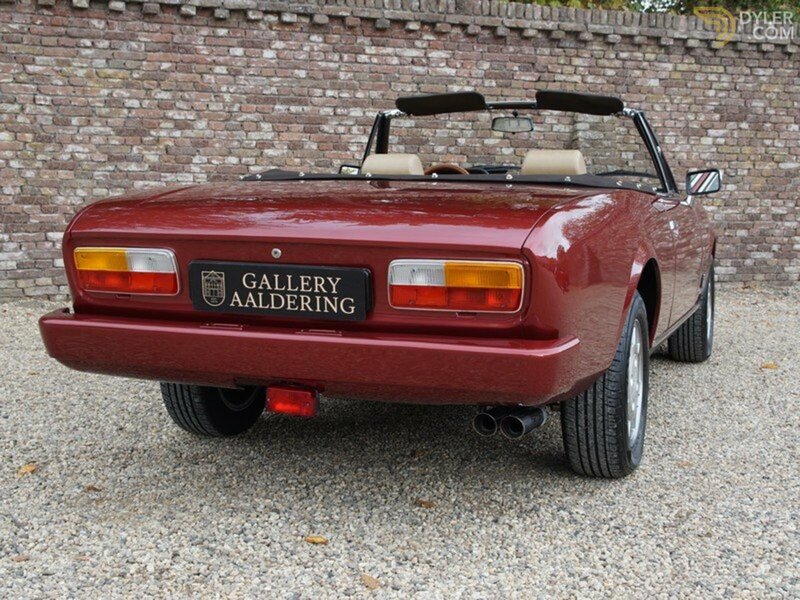 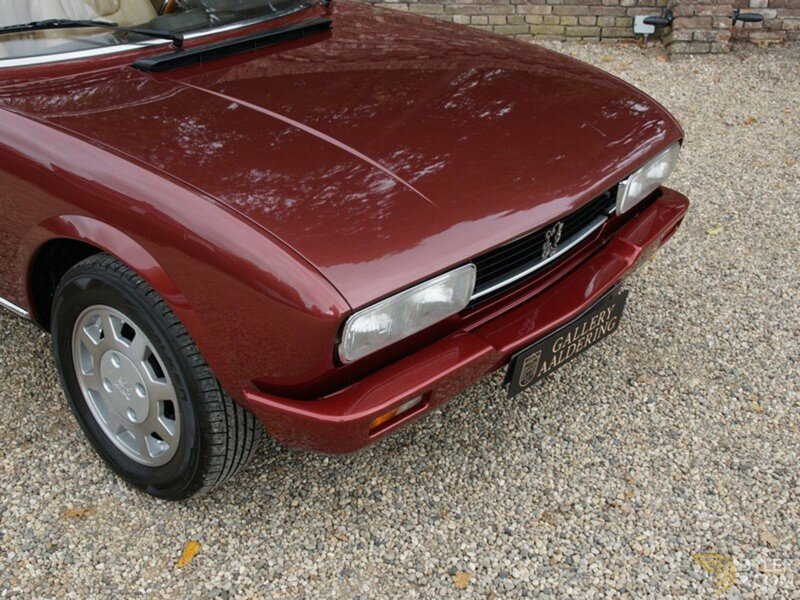 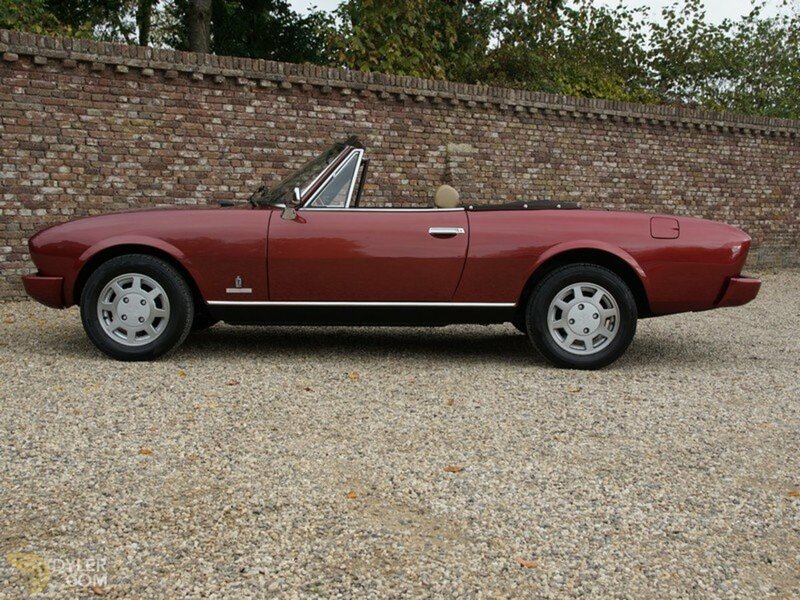 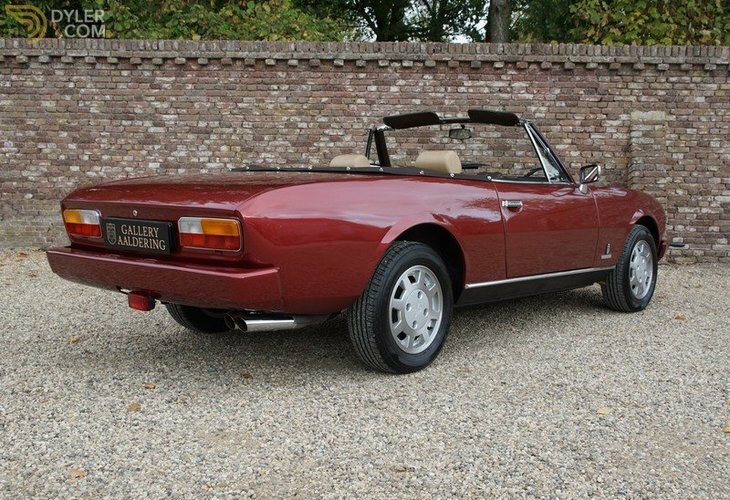 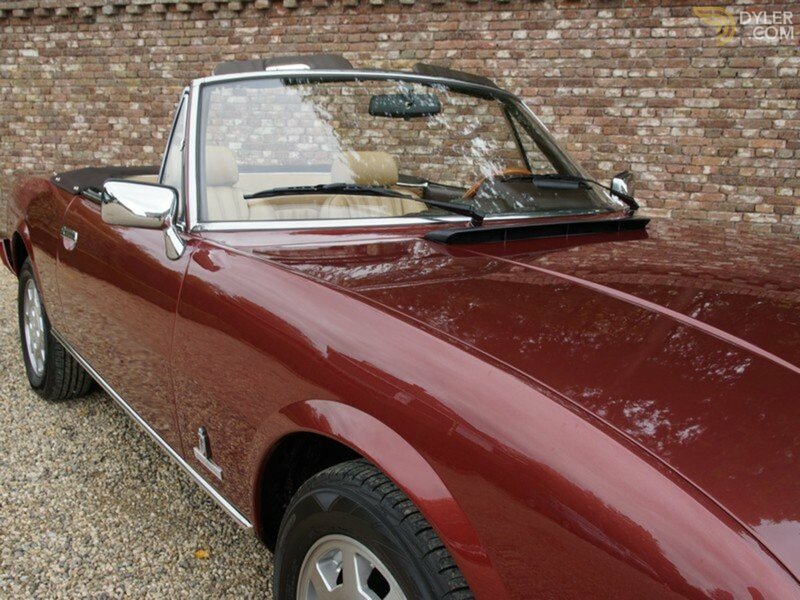 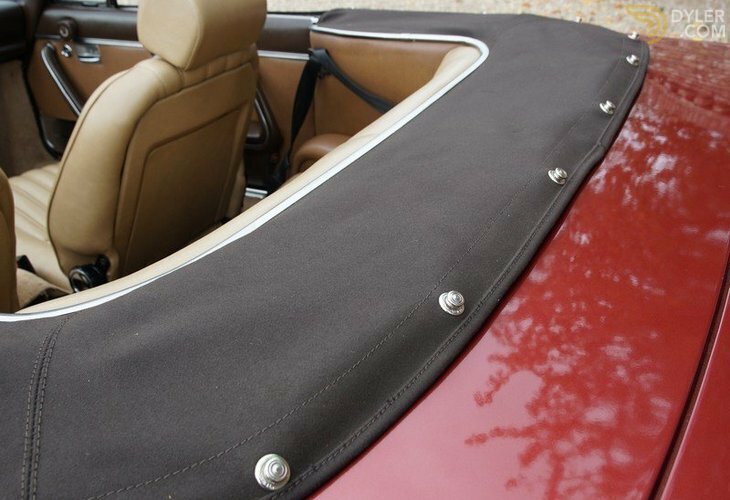 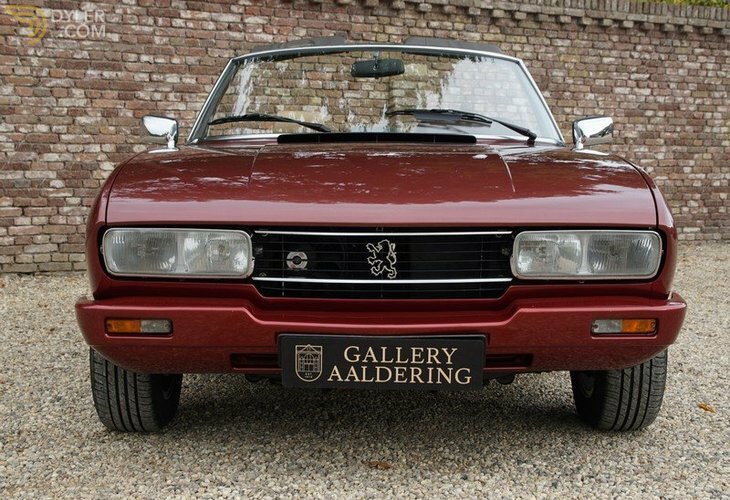 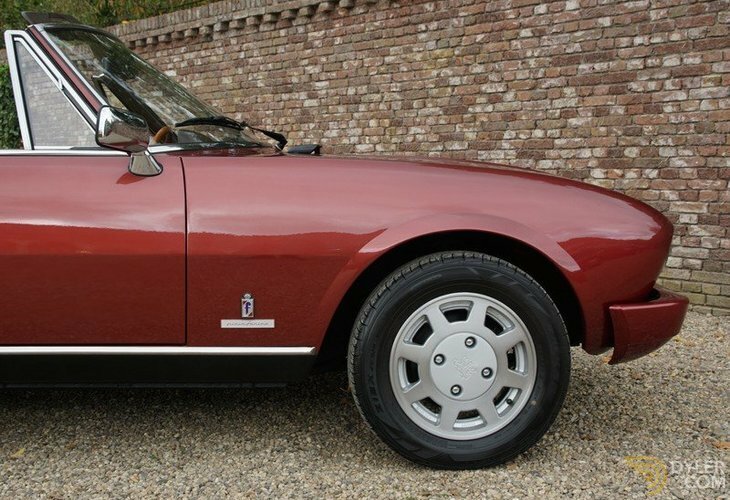 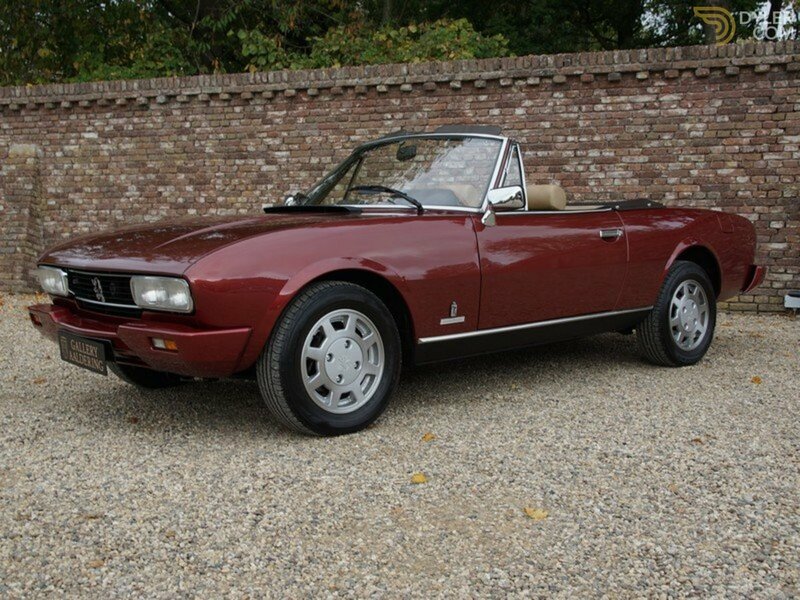 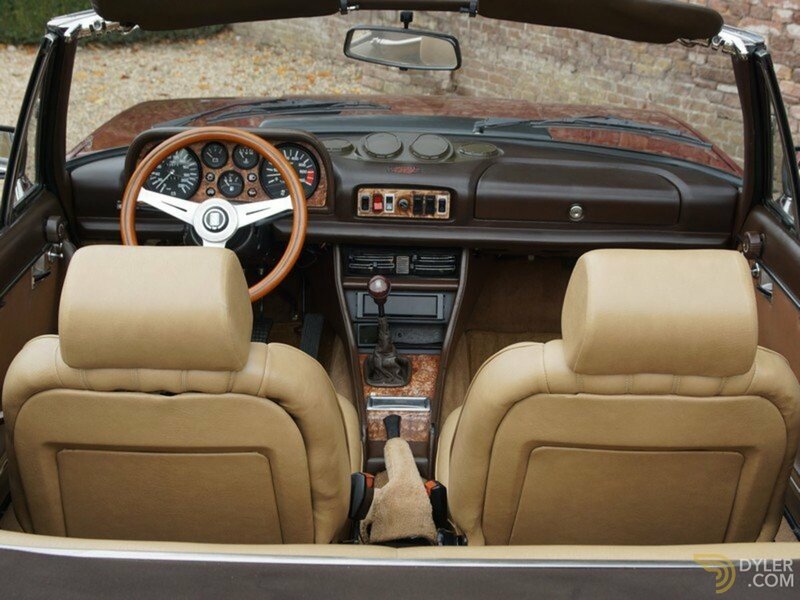 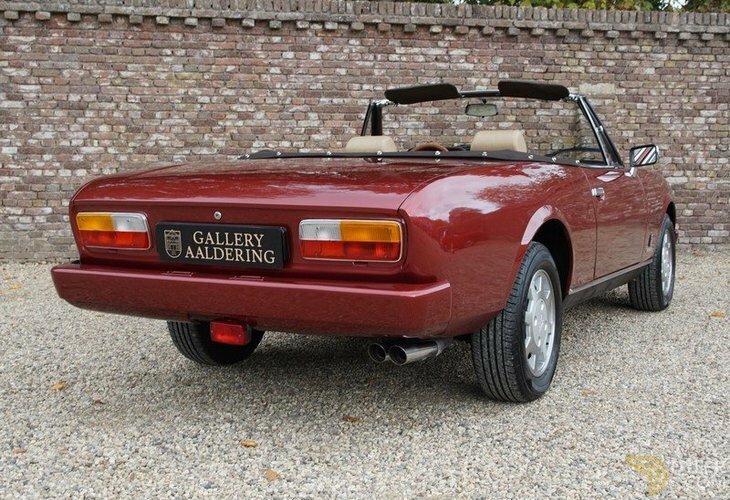 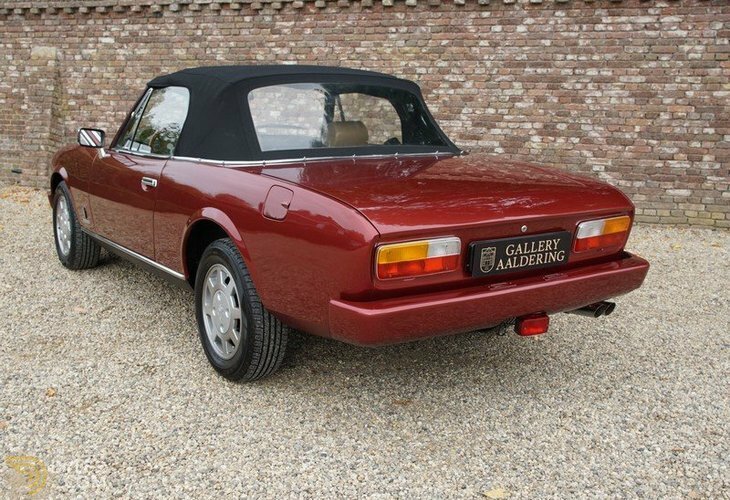 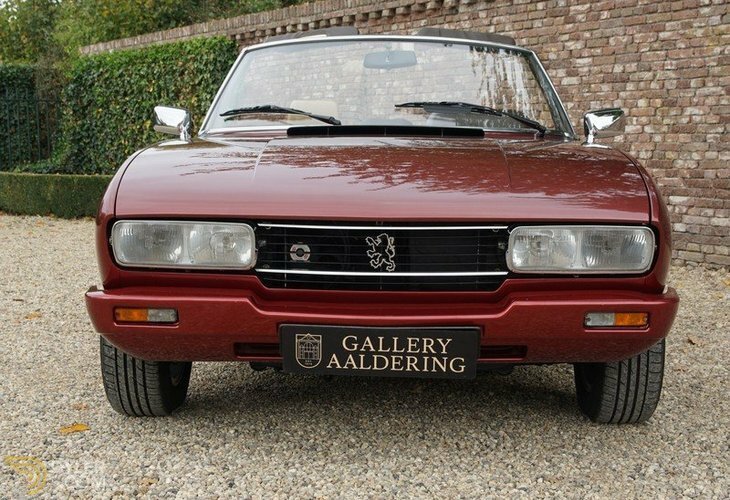 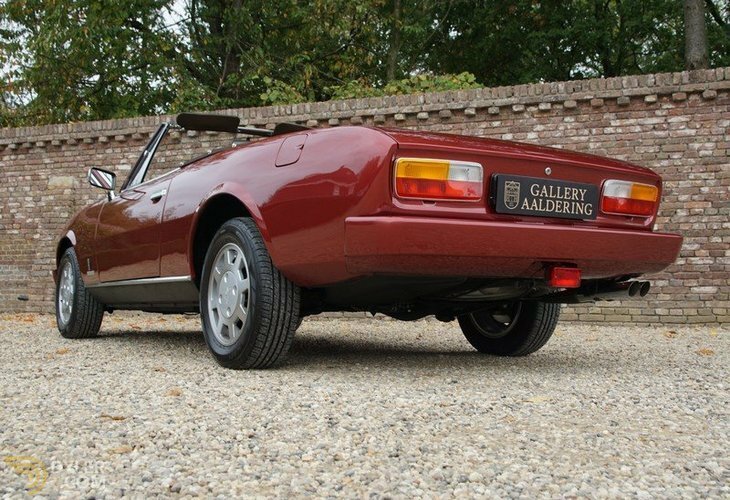 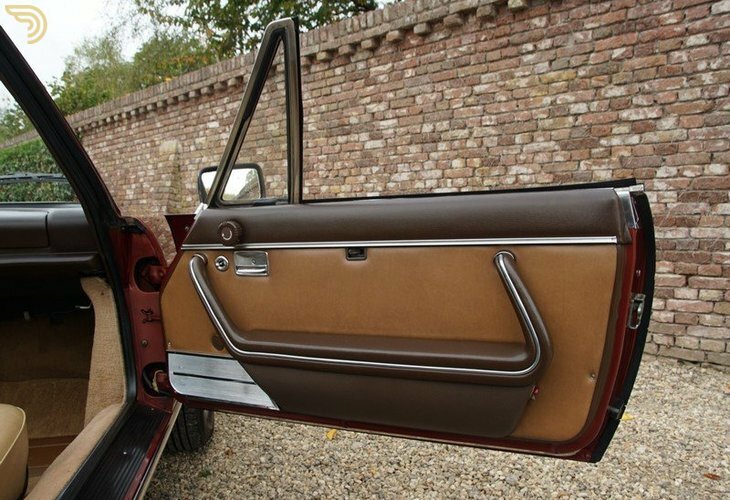 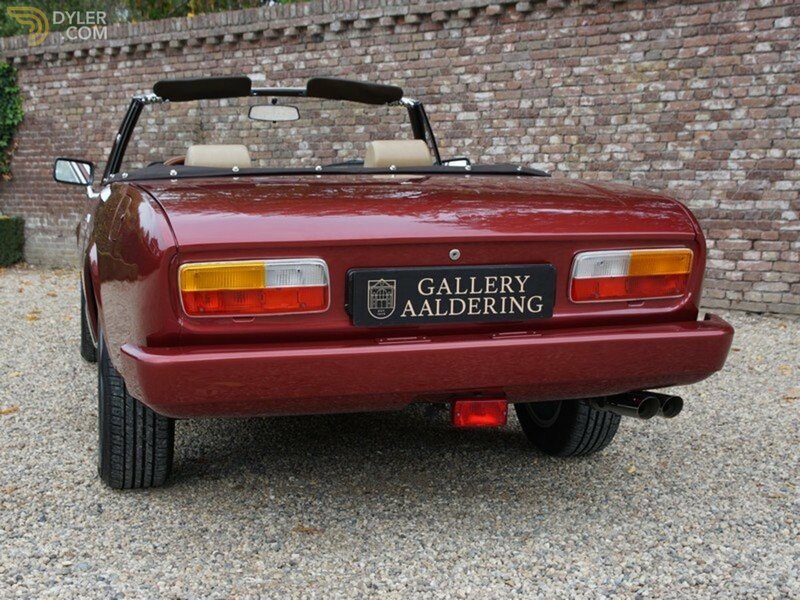 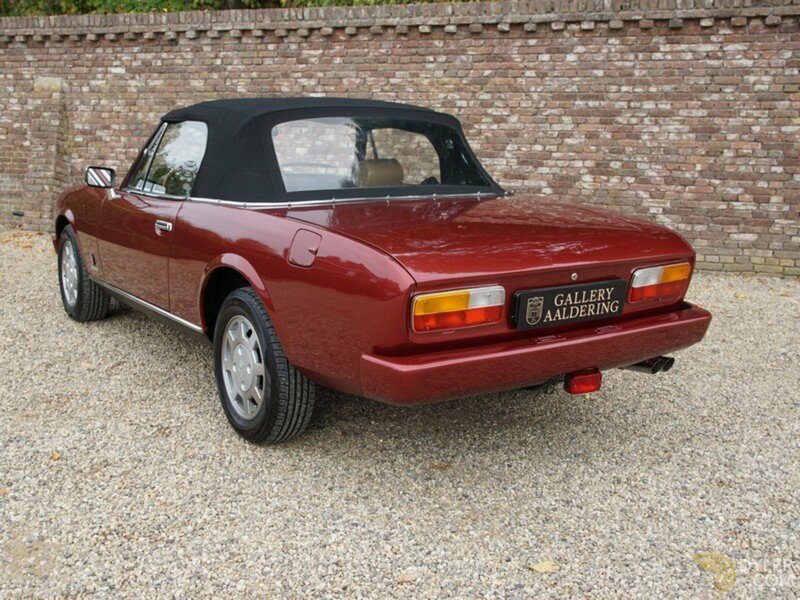 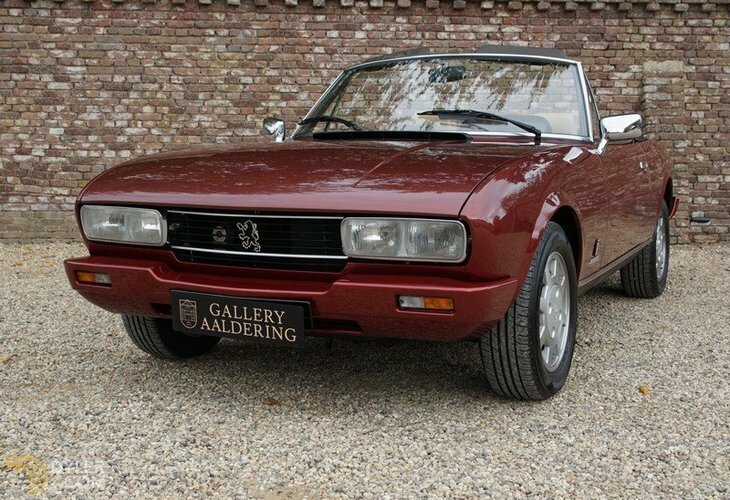 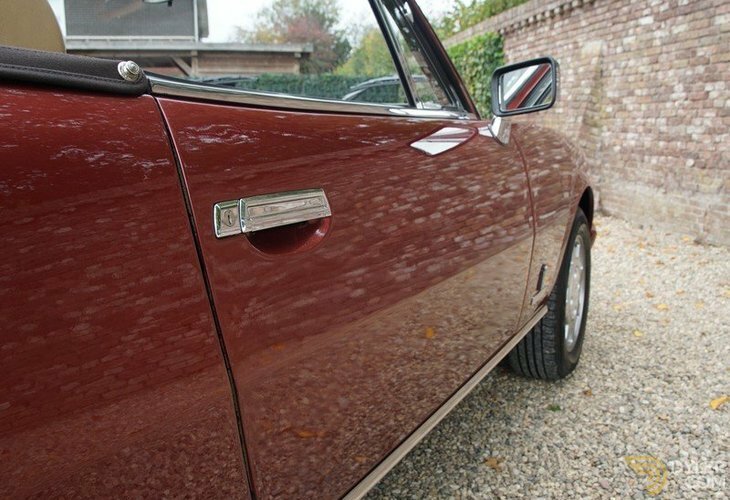 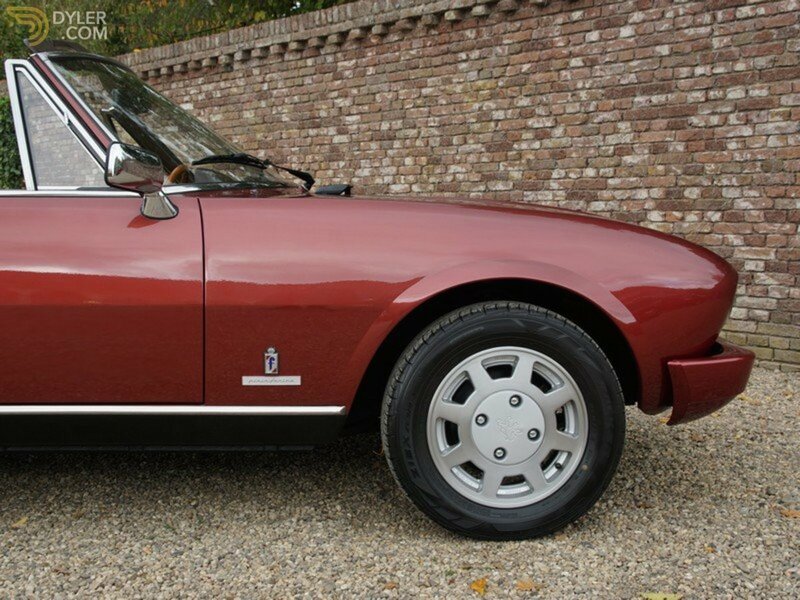 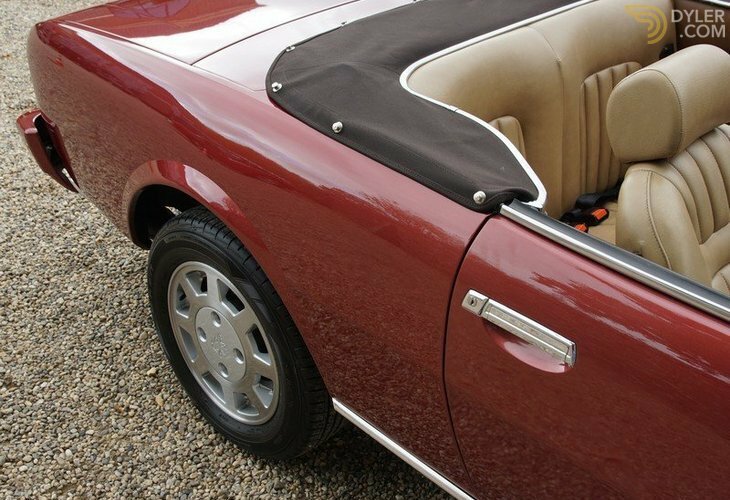 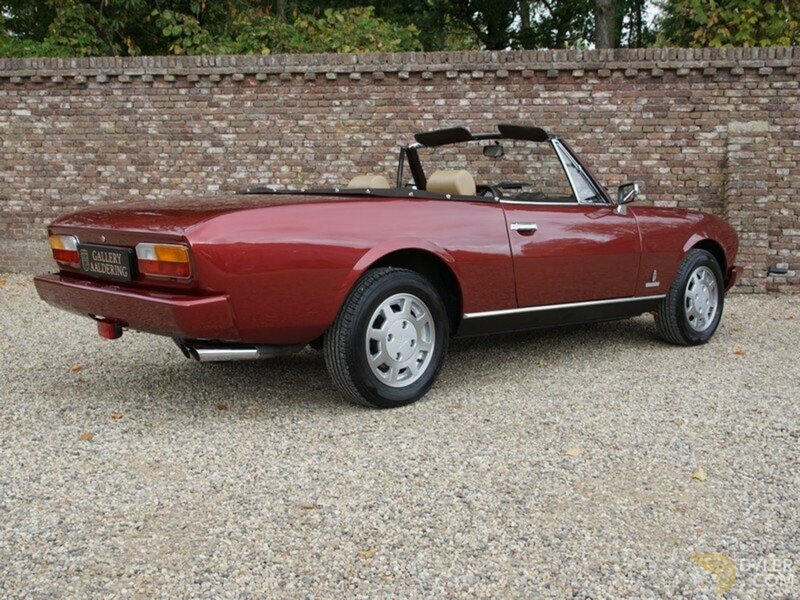 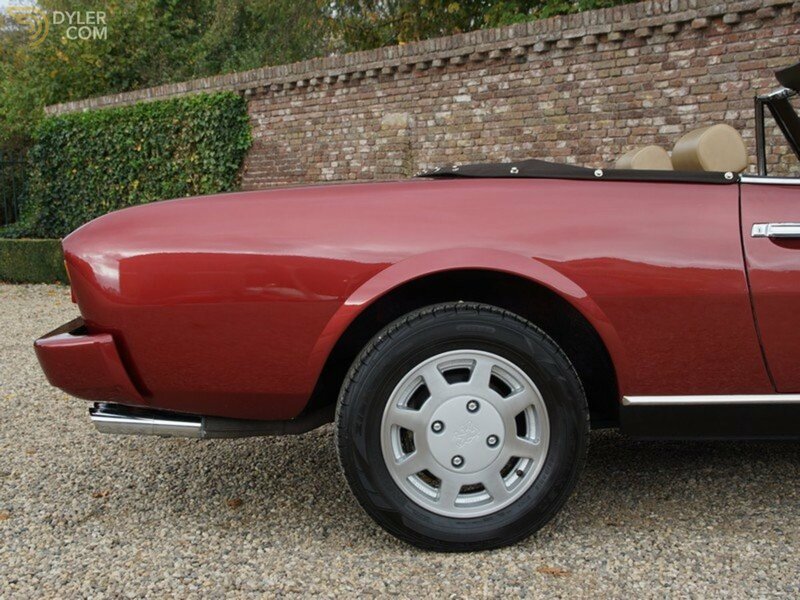 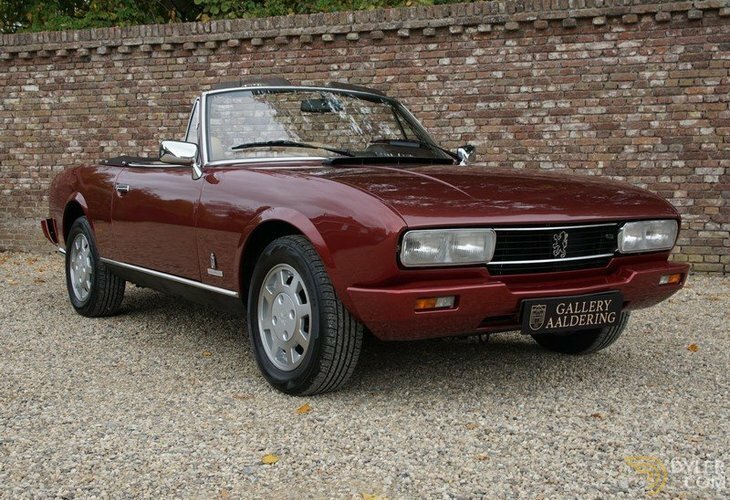 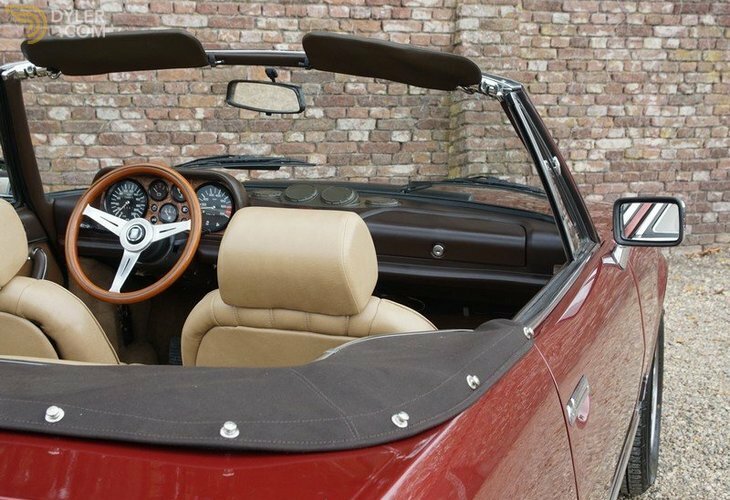 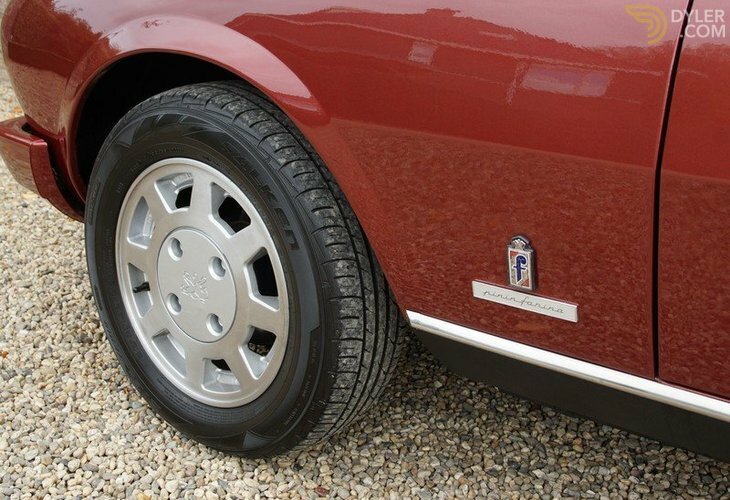 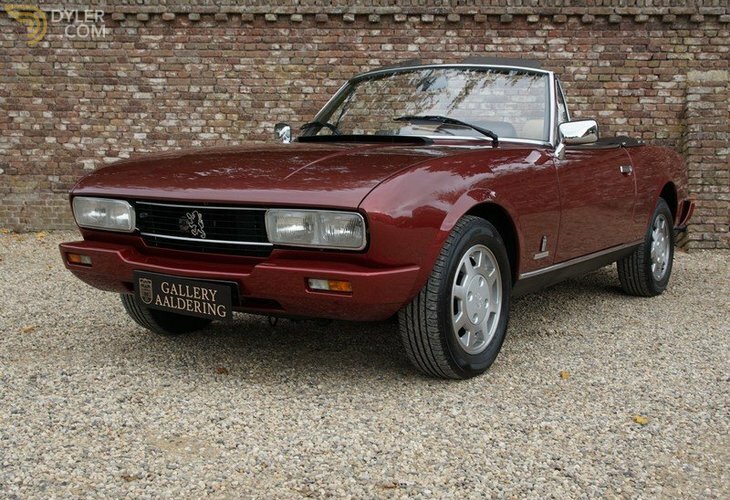 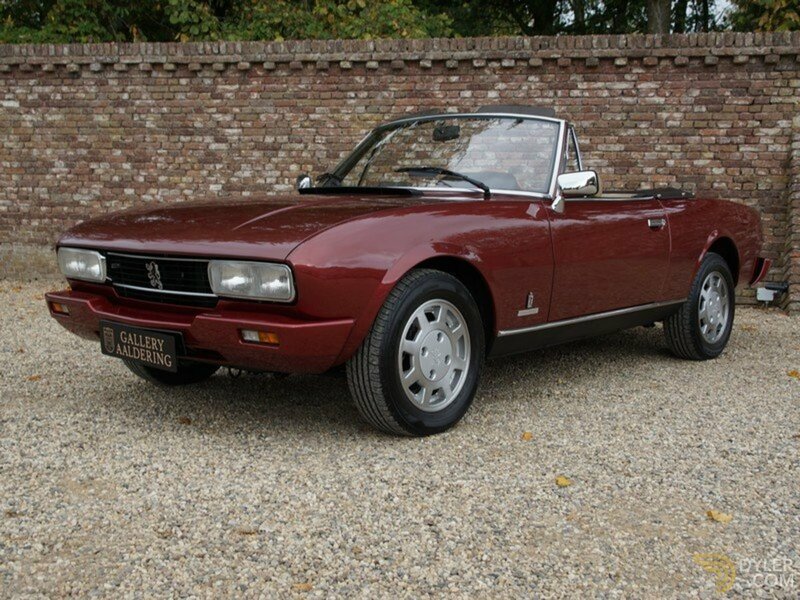 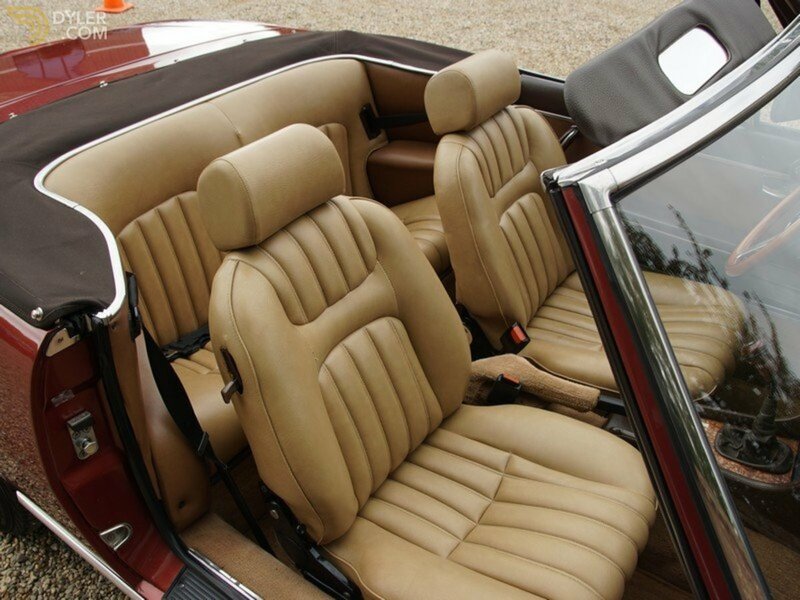 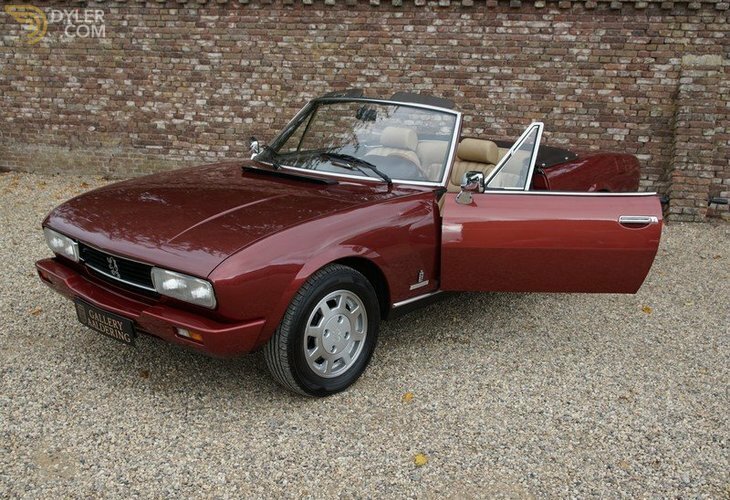 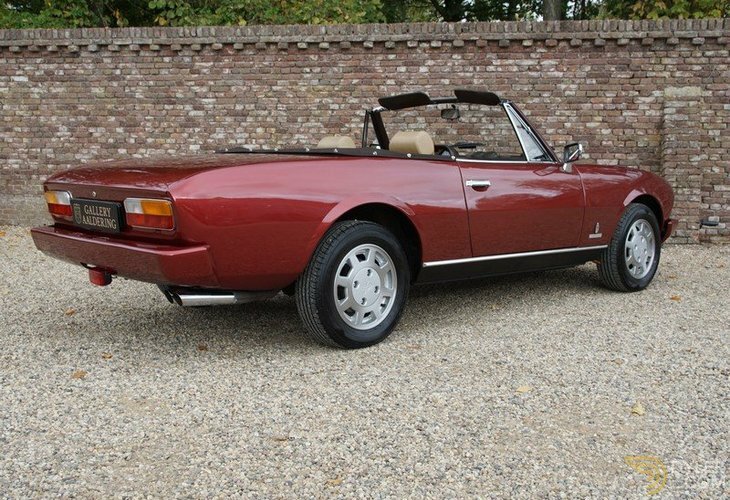 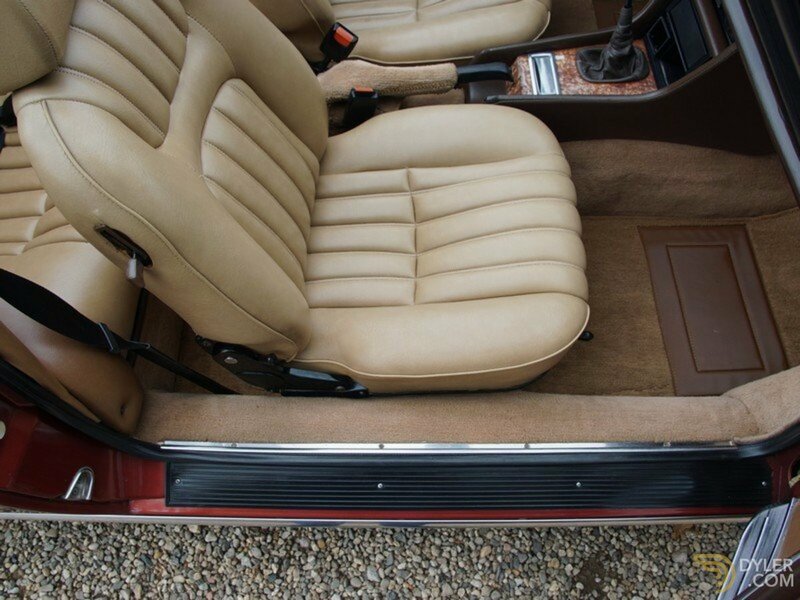 This is an elegant 4-person convertible with a clear provenance and low mileage designed by no one less than Pininfarina.